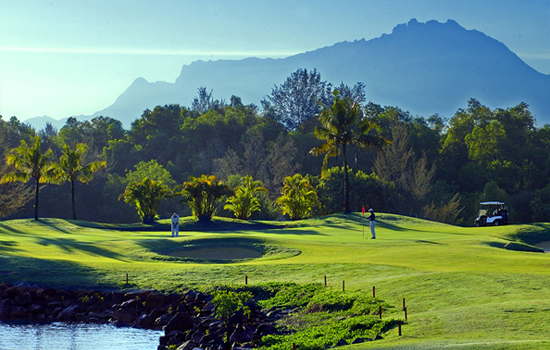 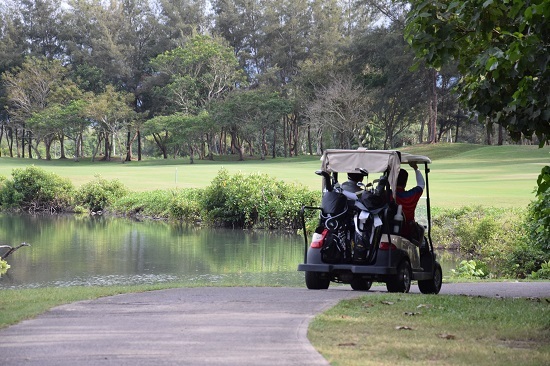 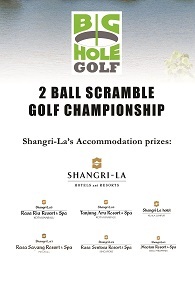 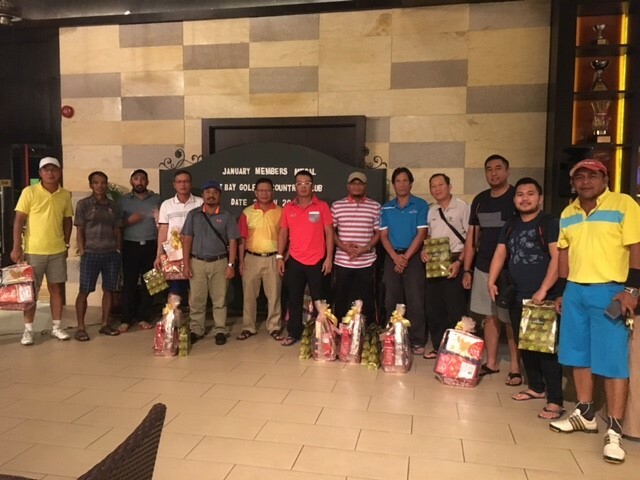 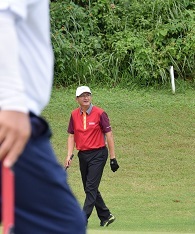 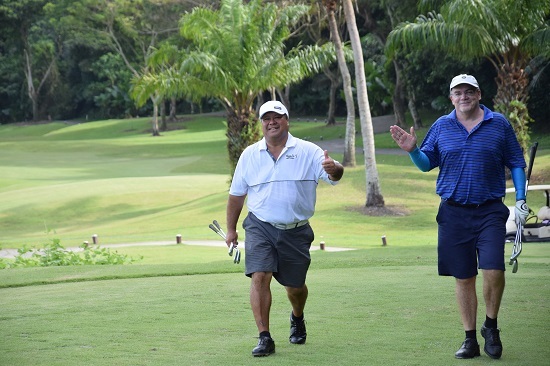 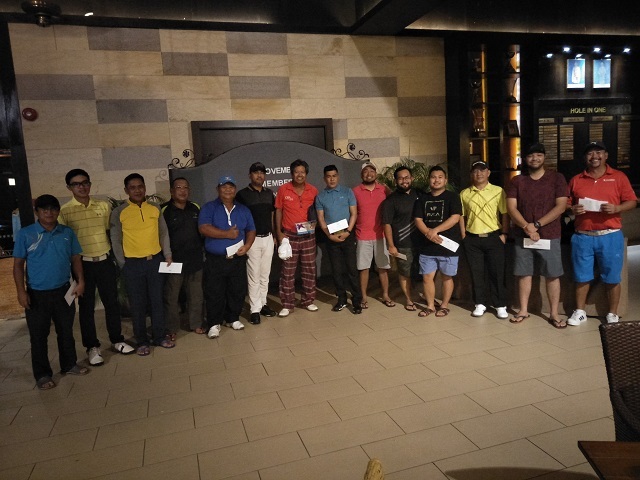 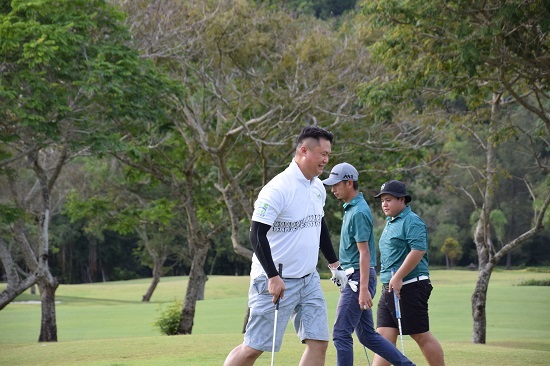 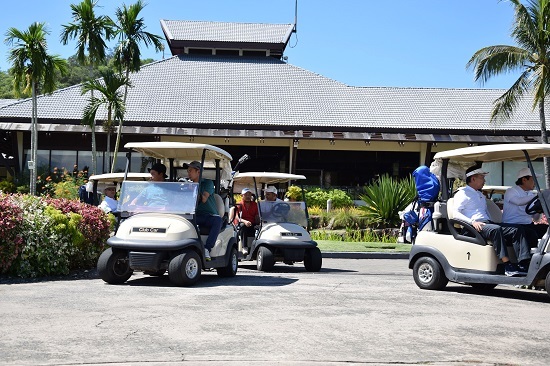 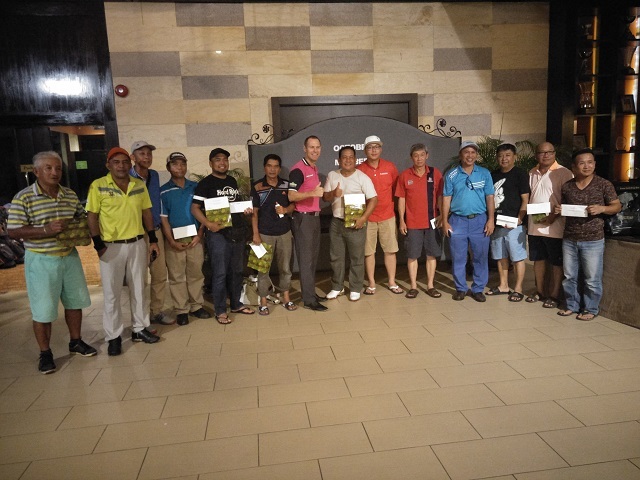 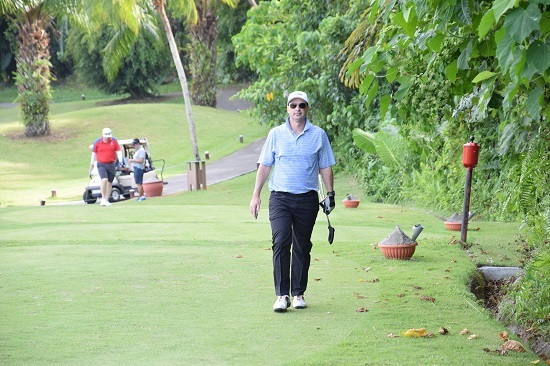 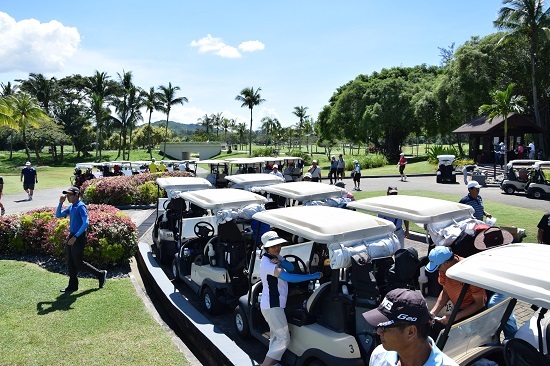 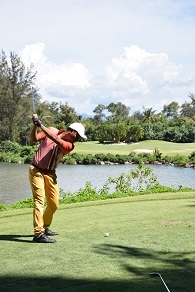 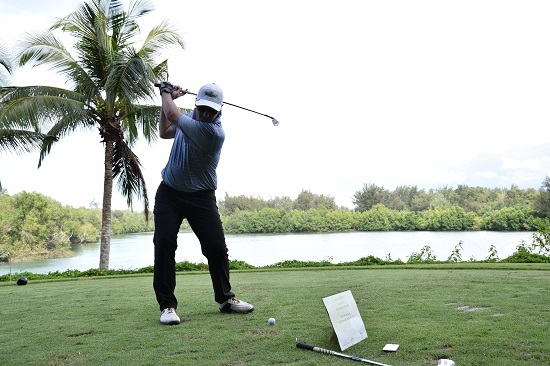 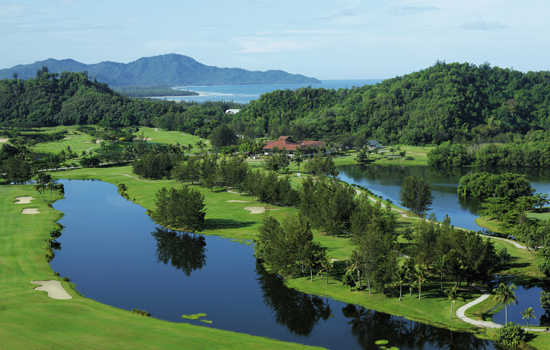 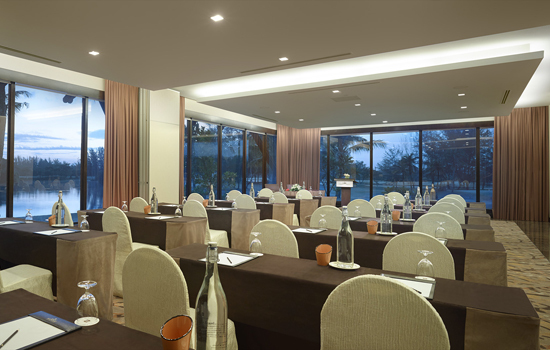 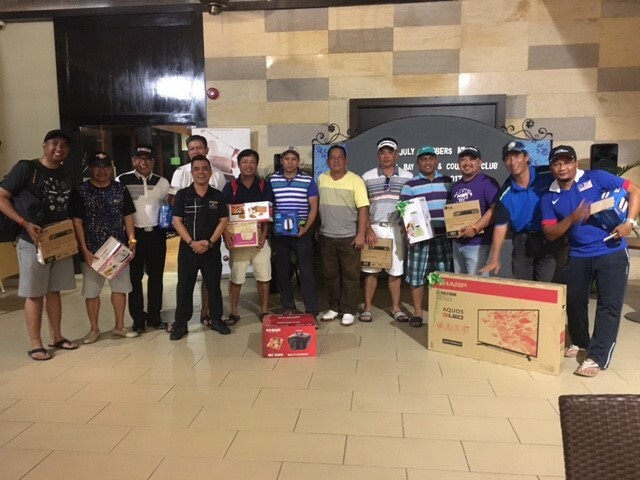 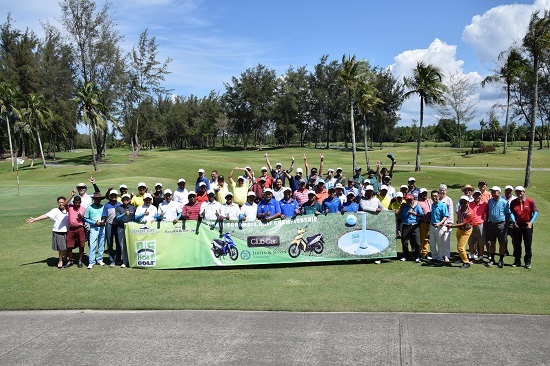 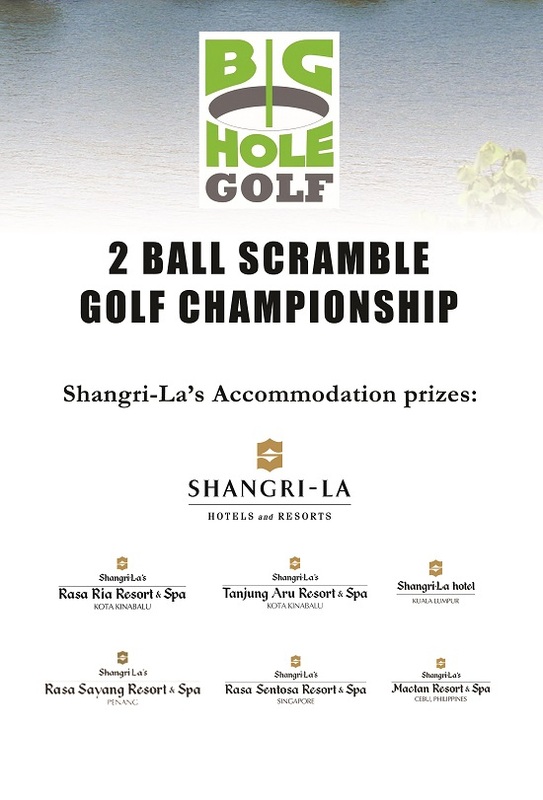 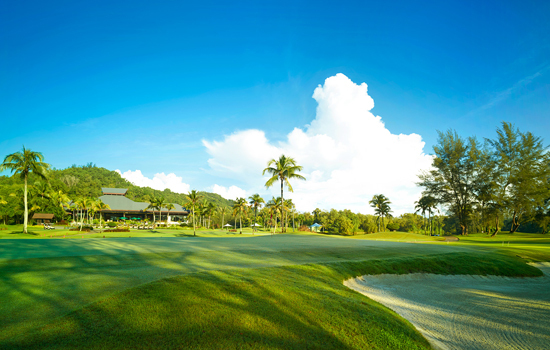 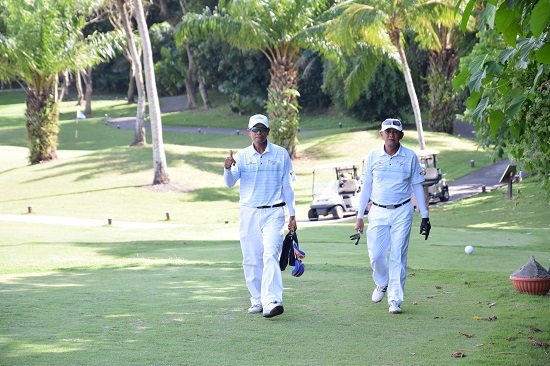 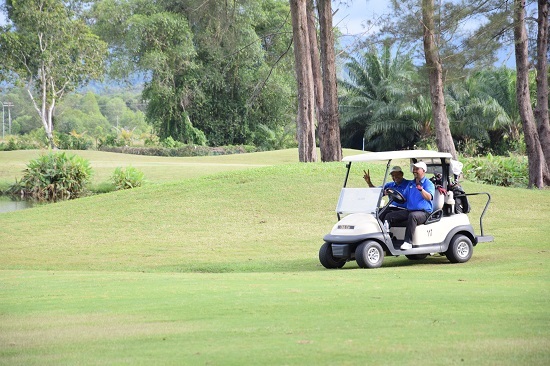 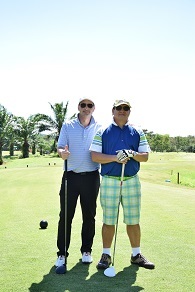 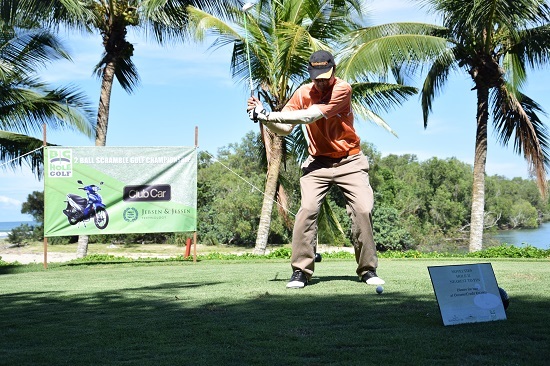 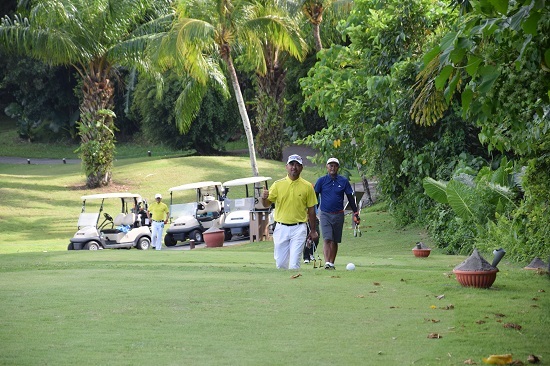 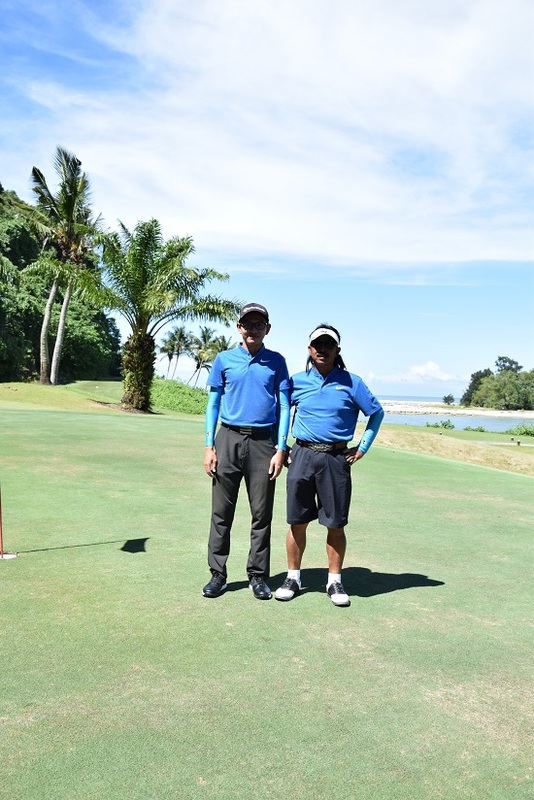 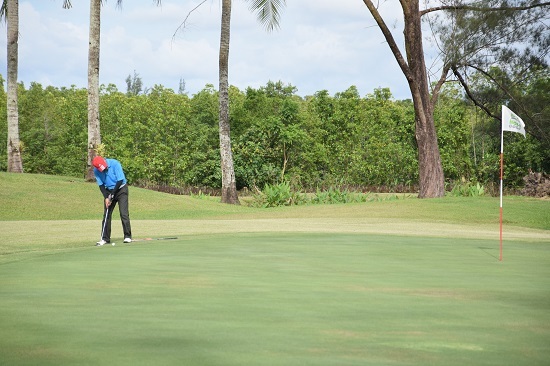 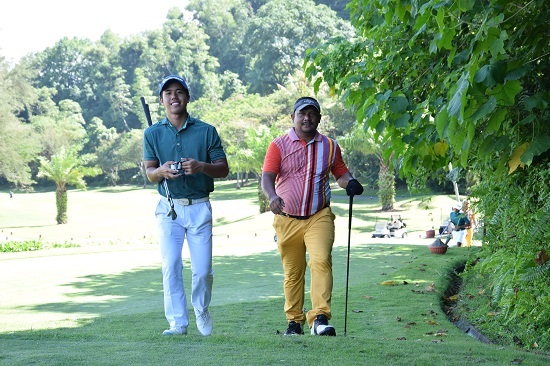 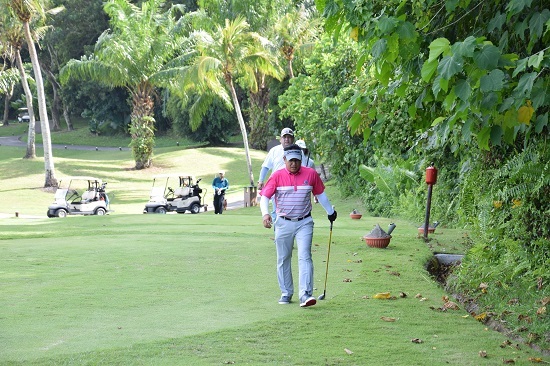 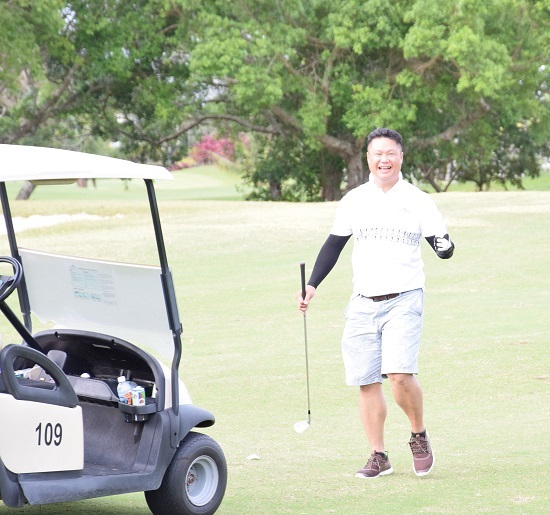 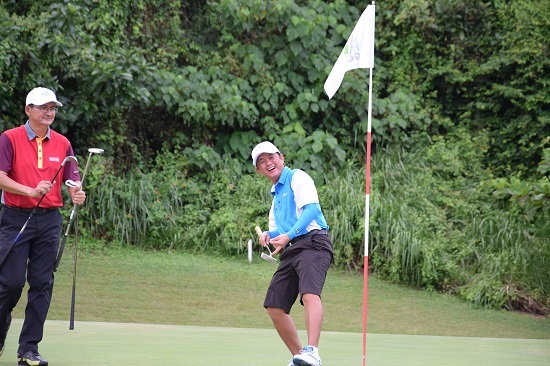 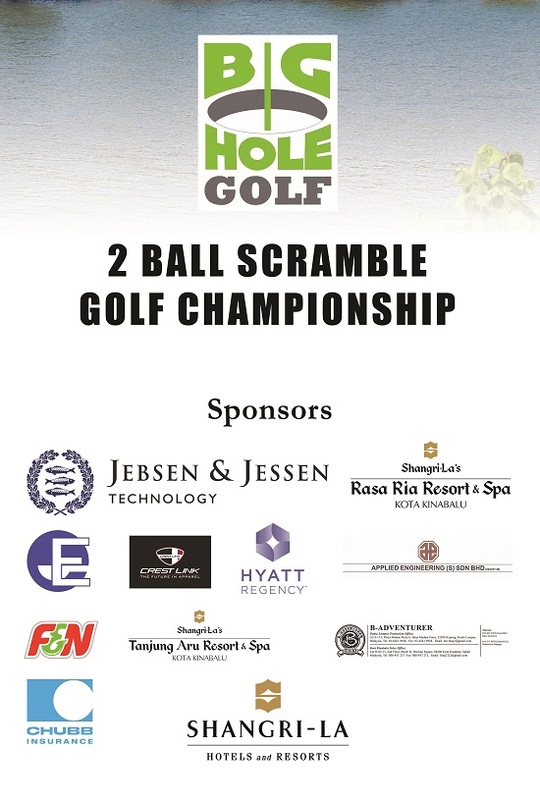 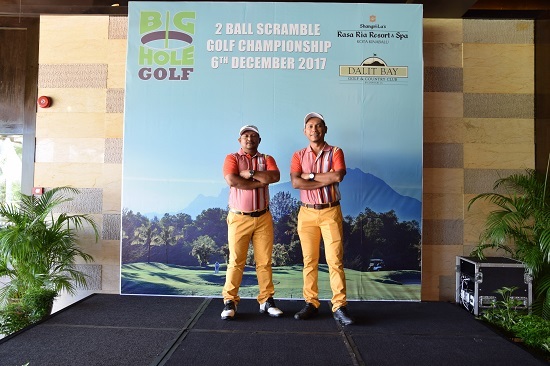 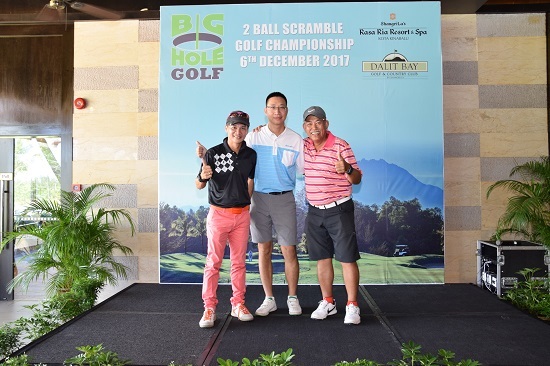 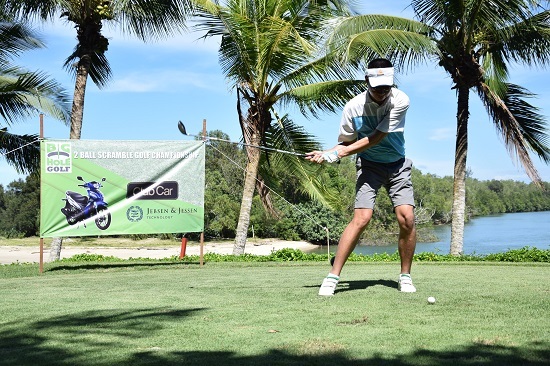 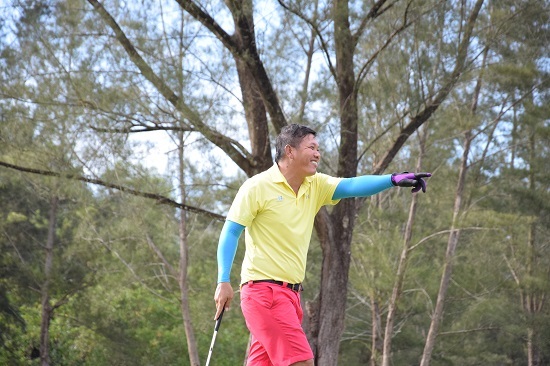 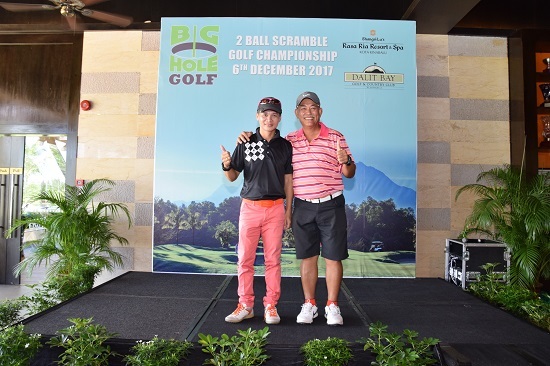 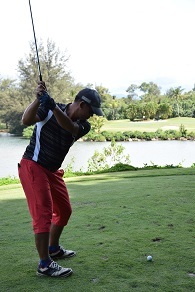 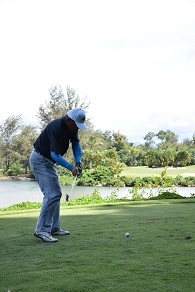 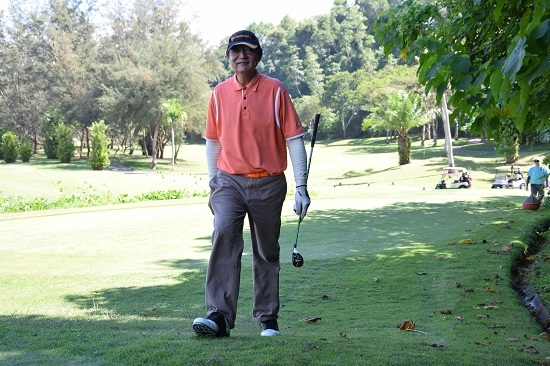 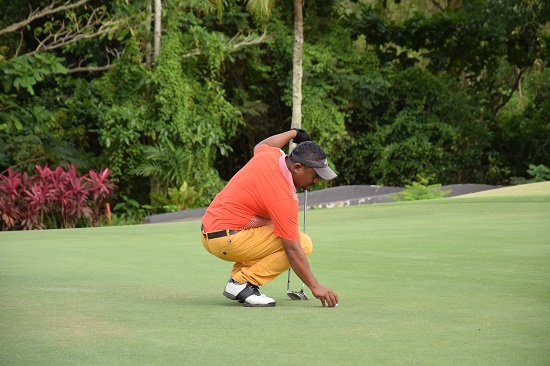 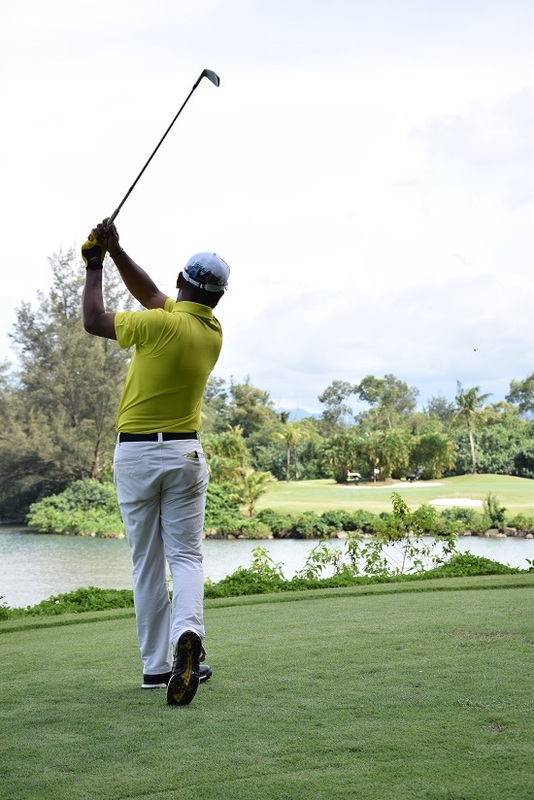 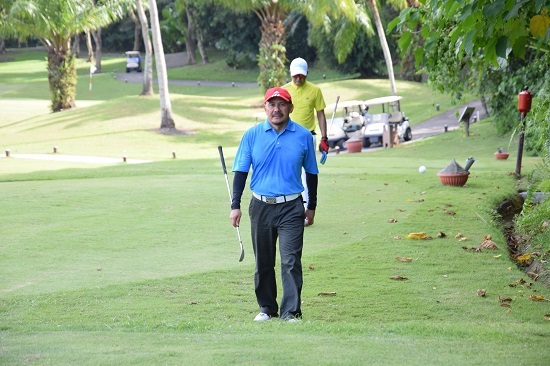 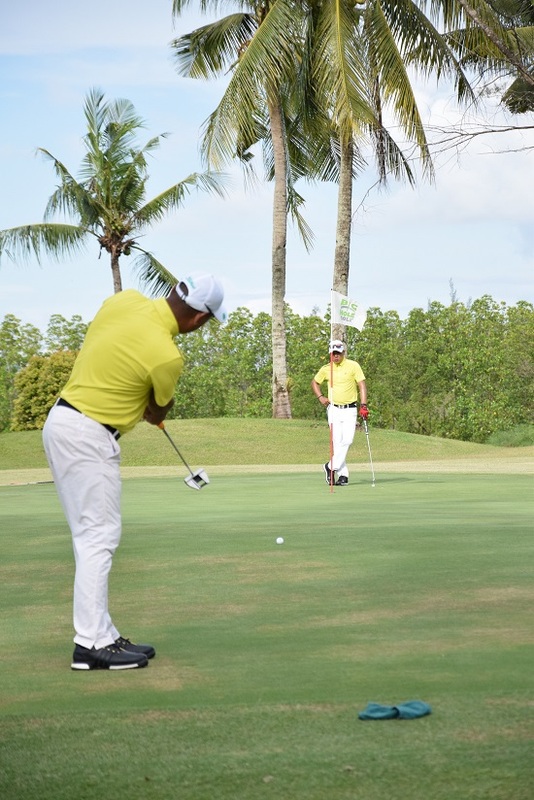 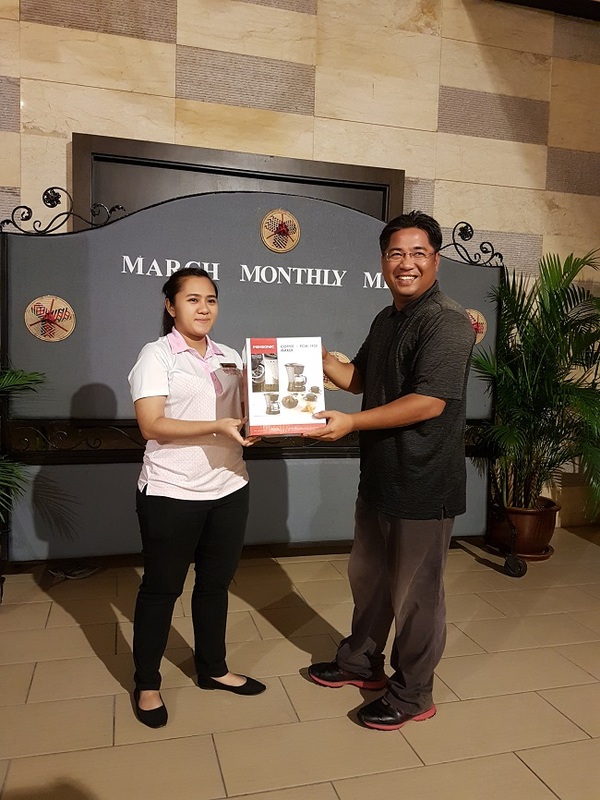 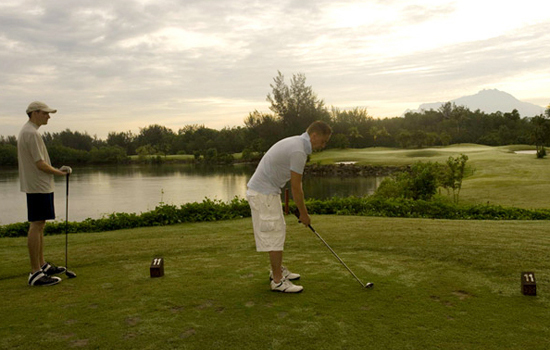 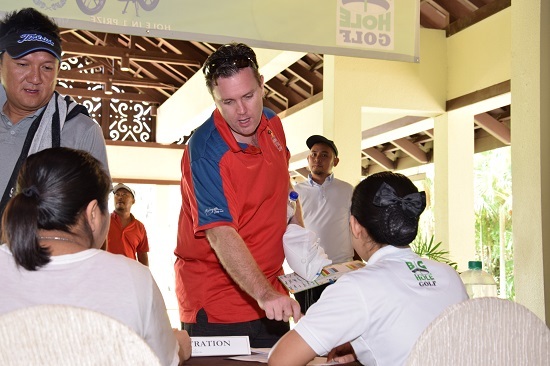 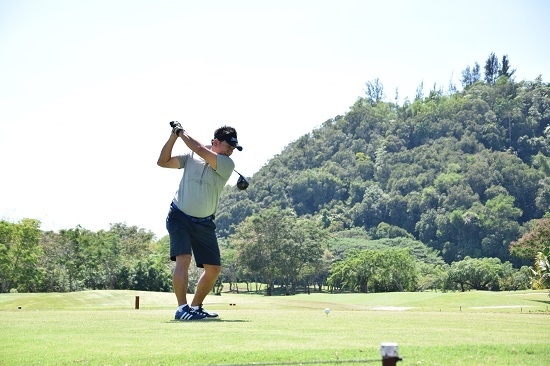 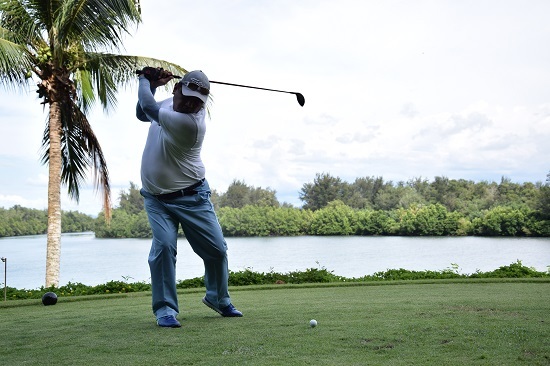 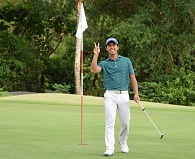 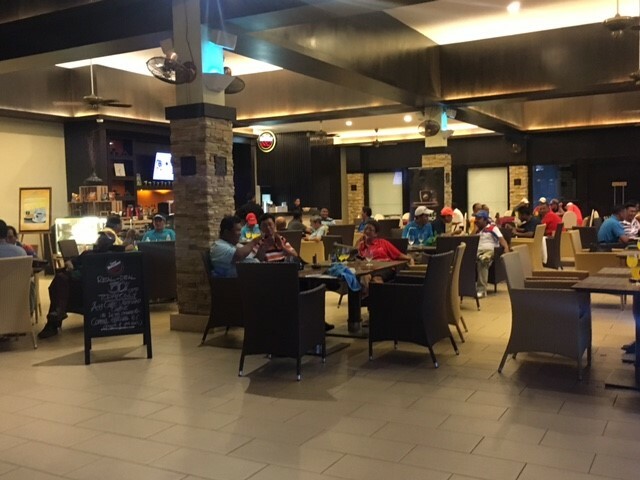 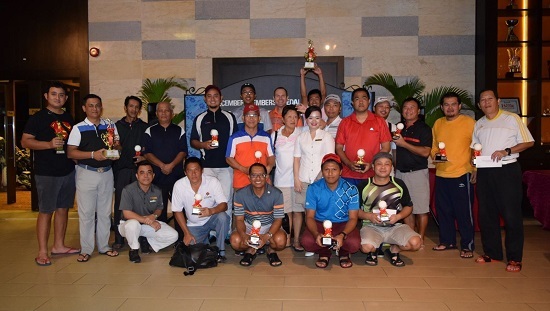 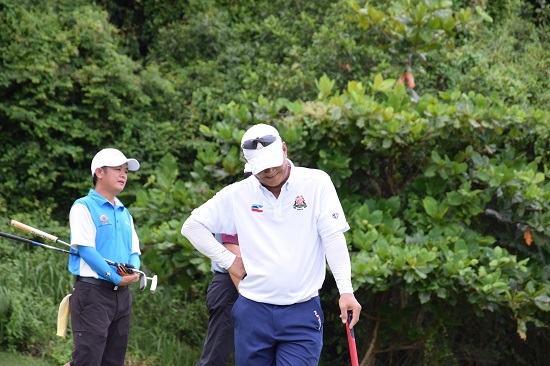 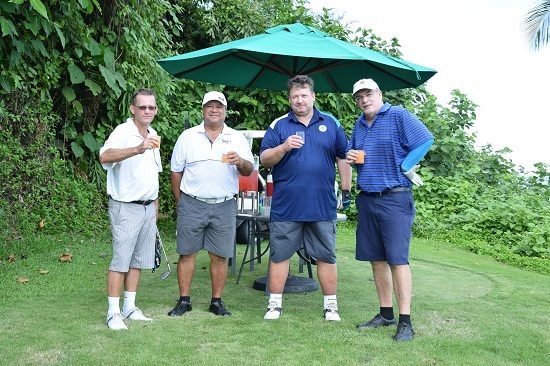 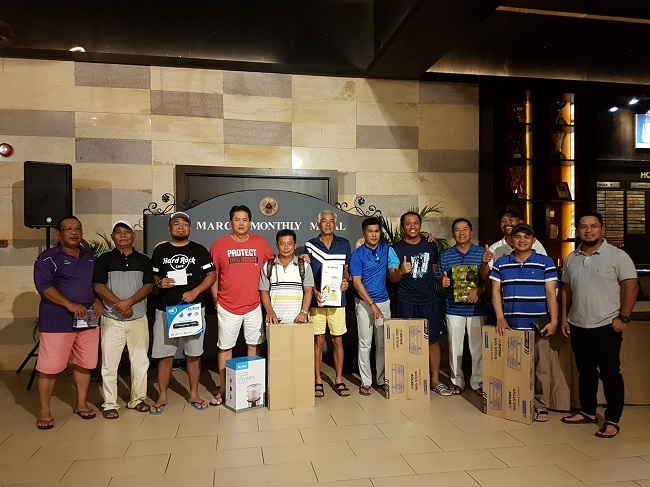 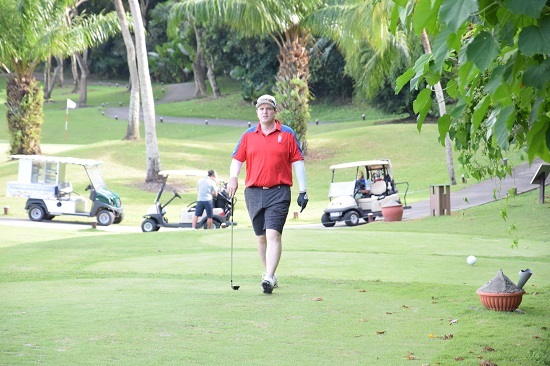 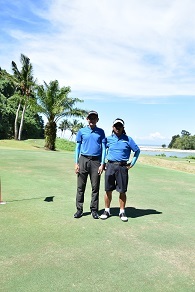 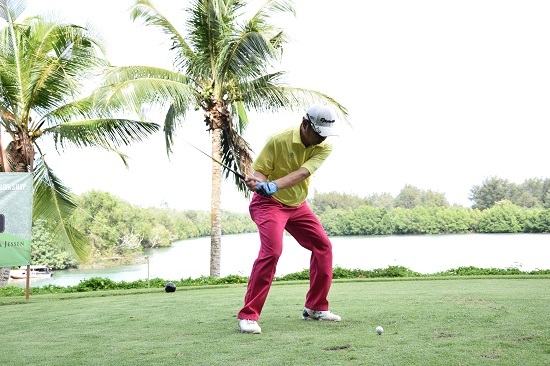 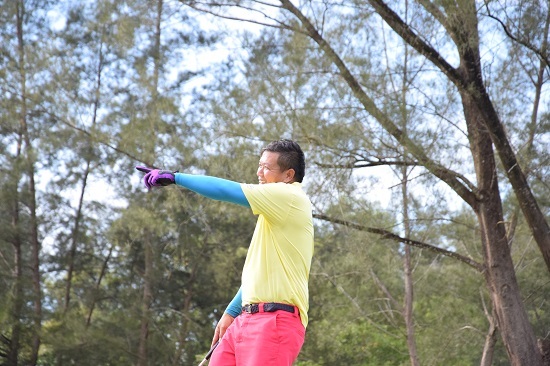 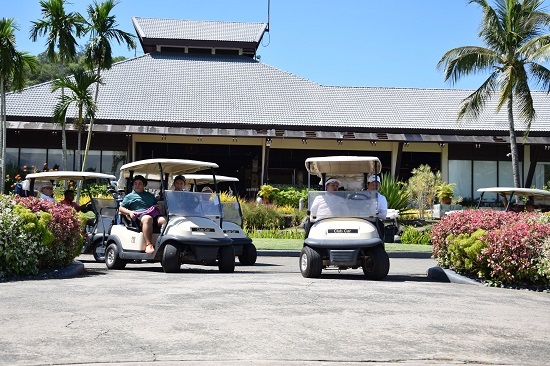 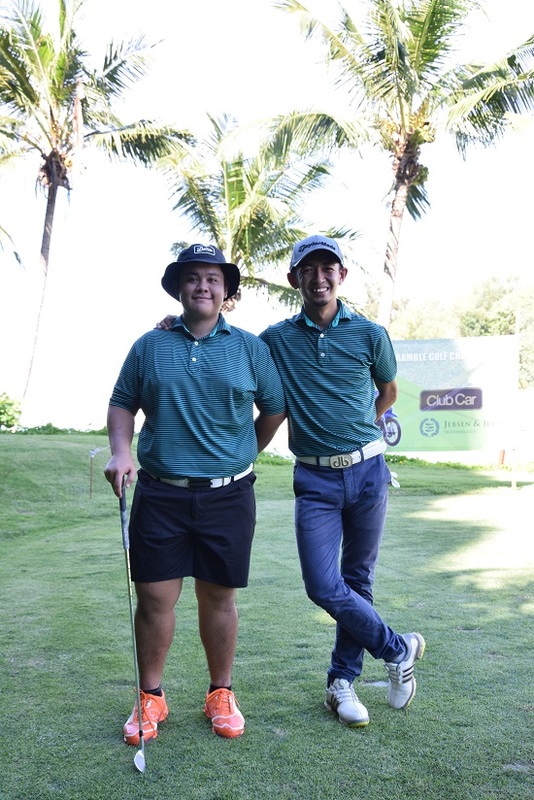 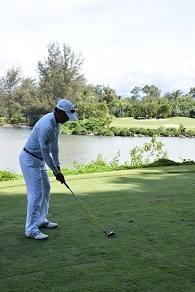 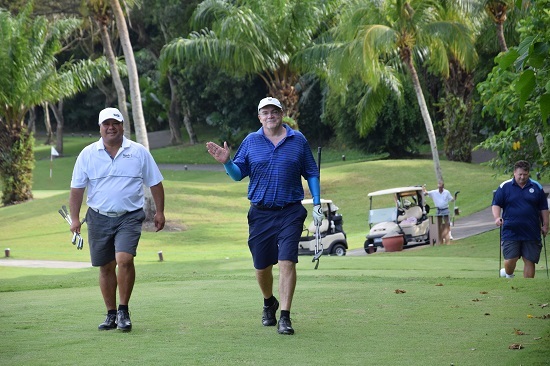 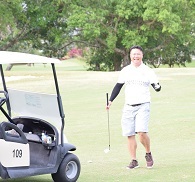 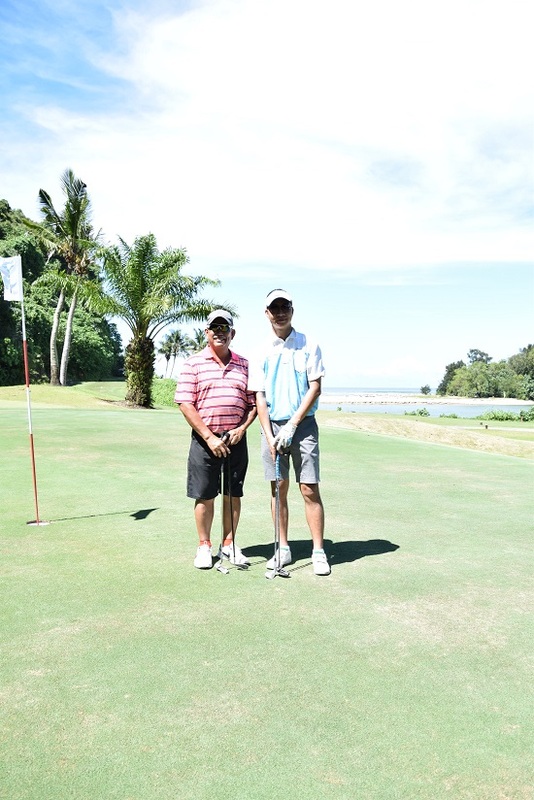 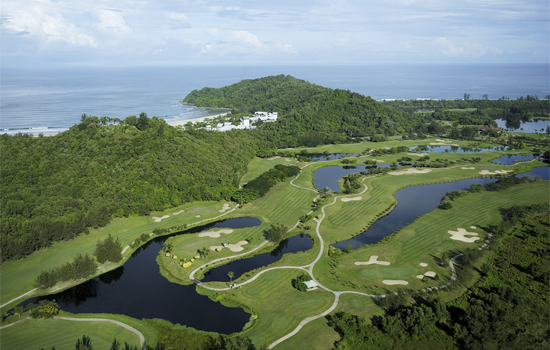 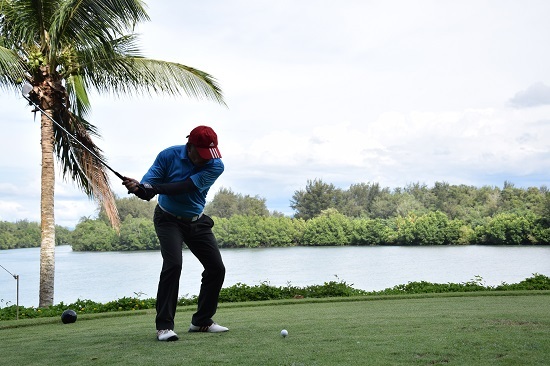 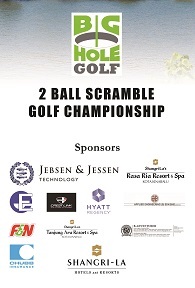 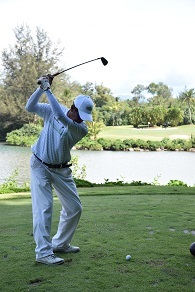 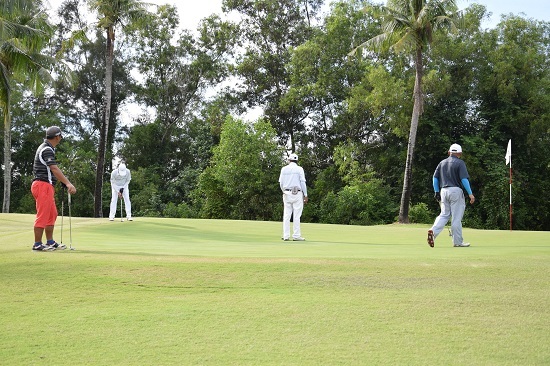 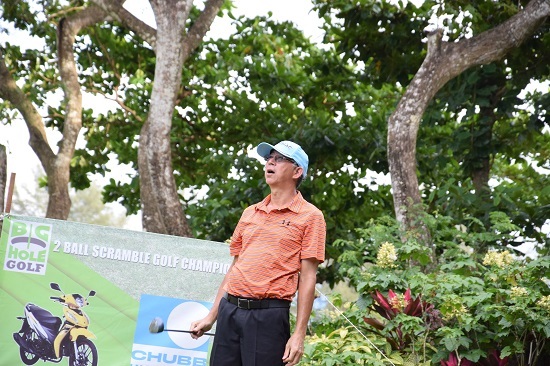 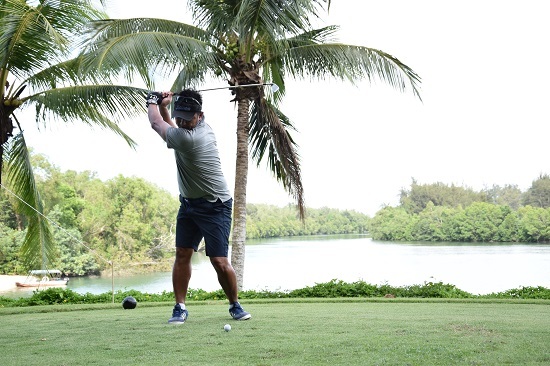 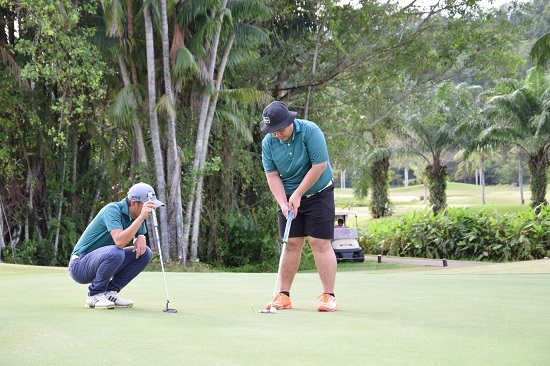 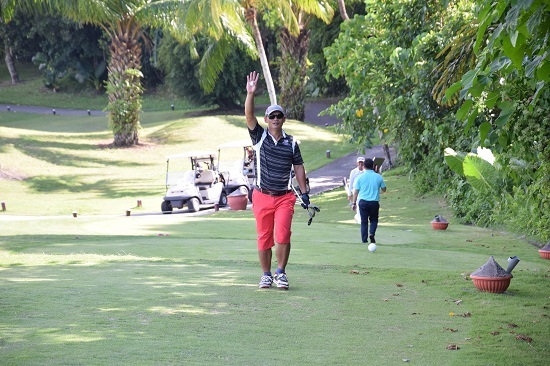 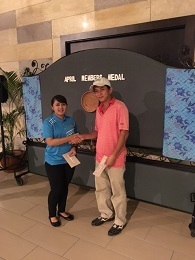 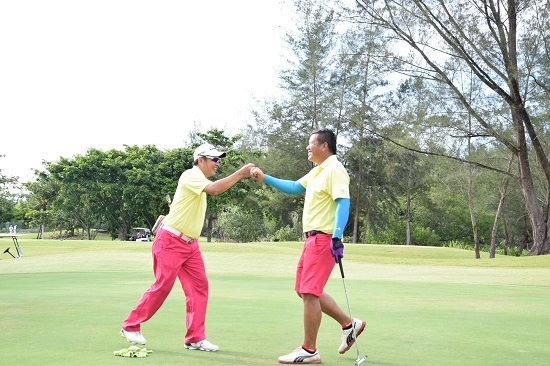 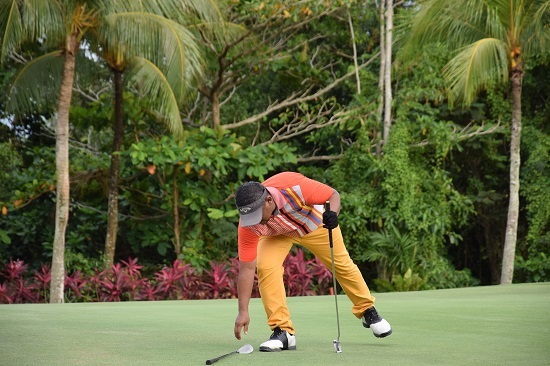 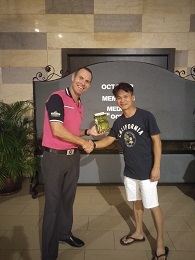 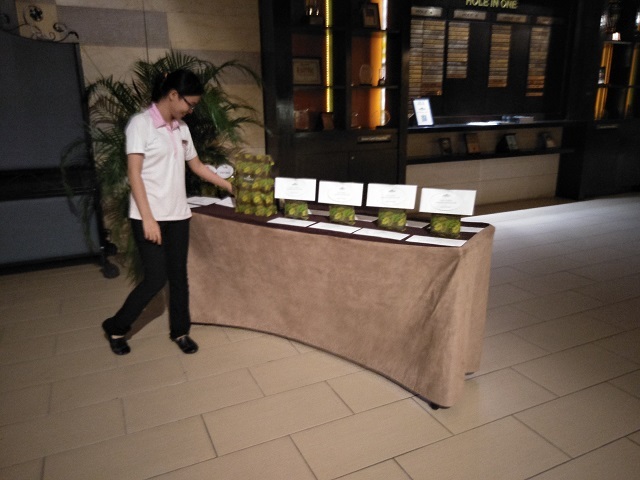 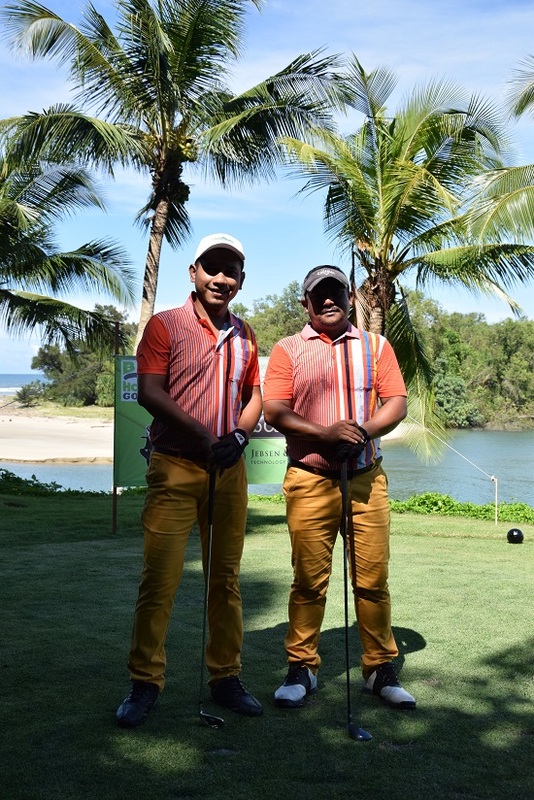 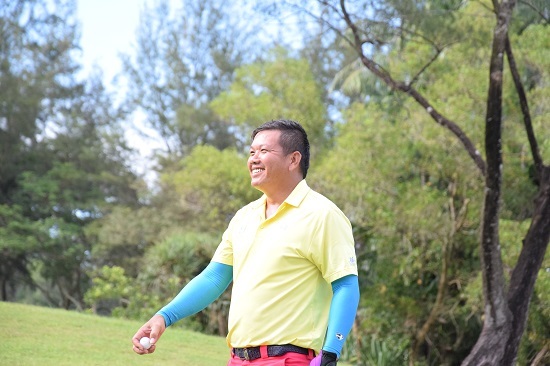 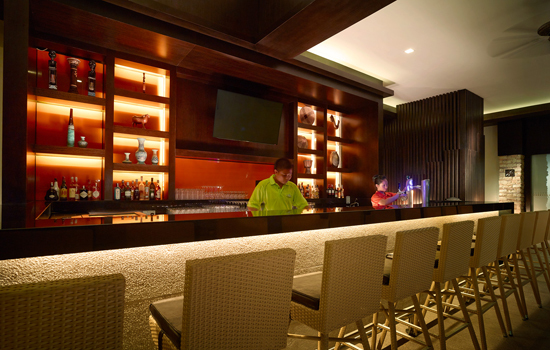 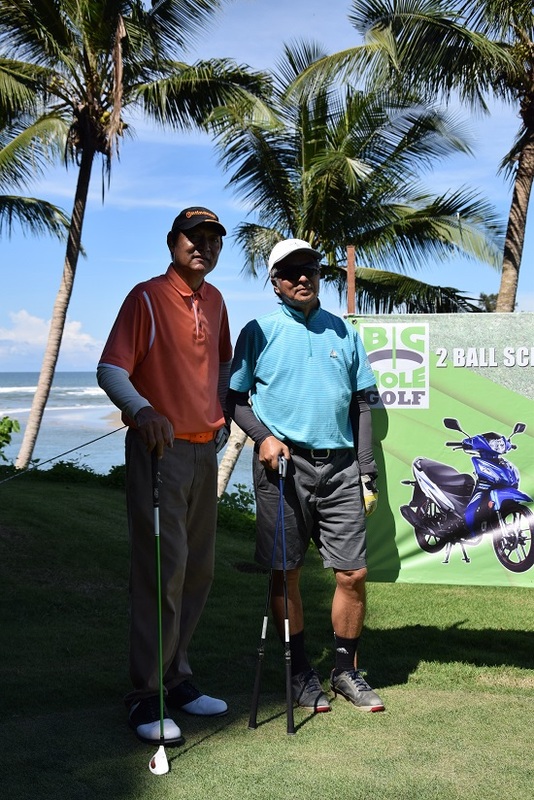 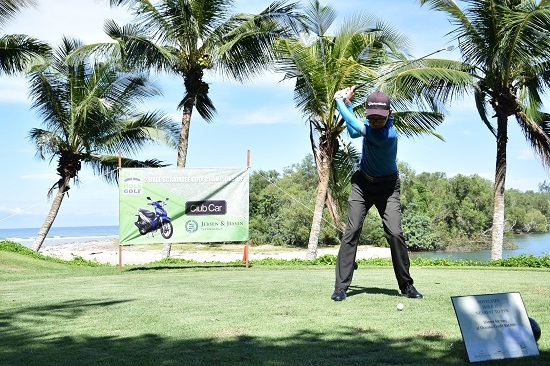 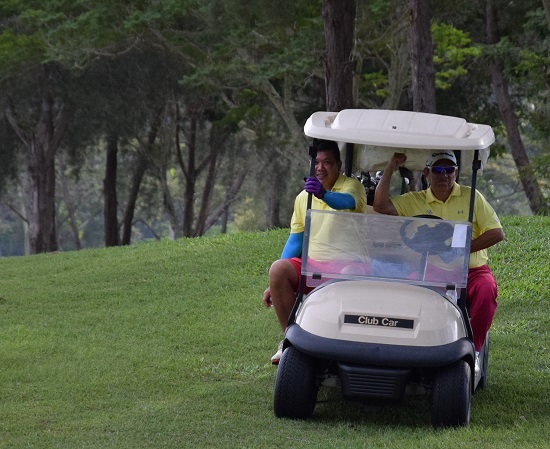 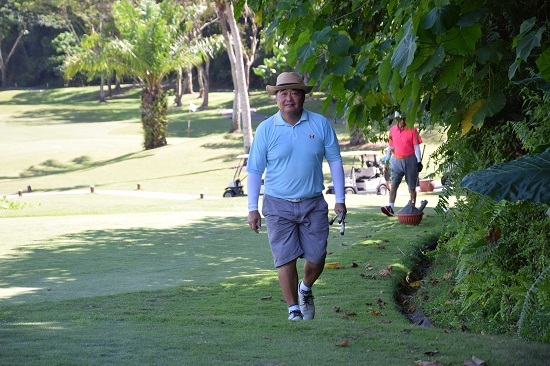 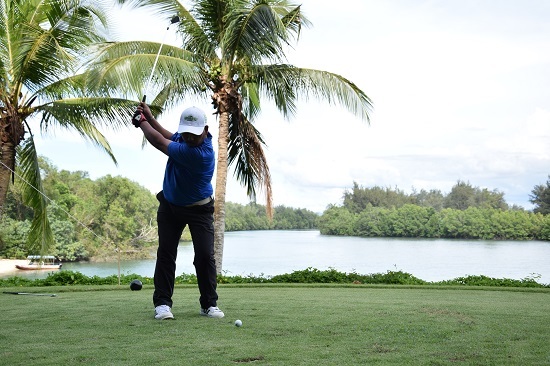 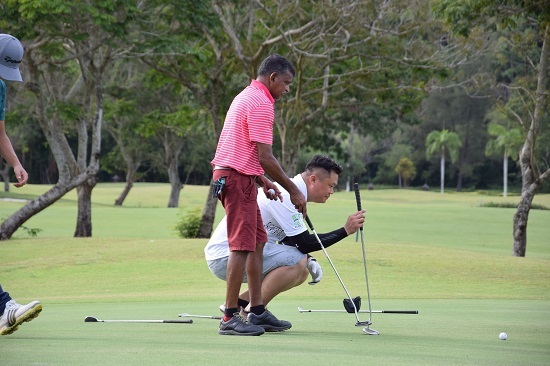 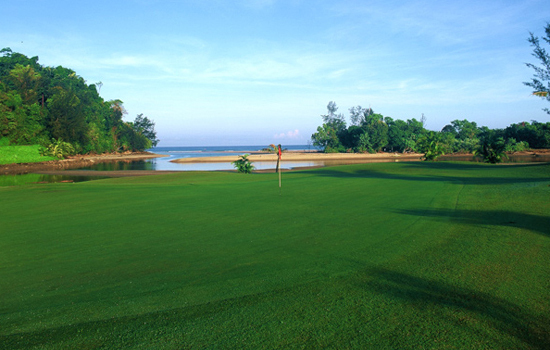 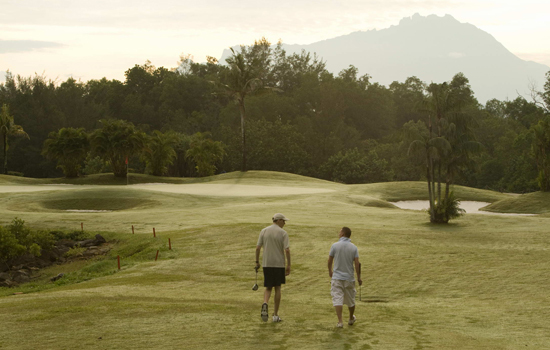 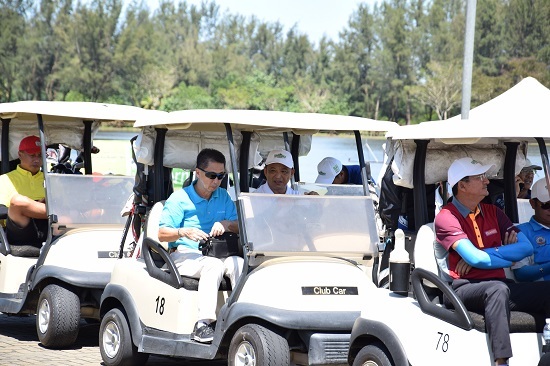 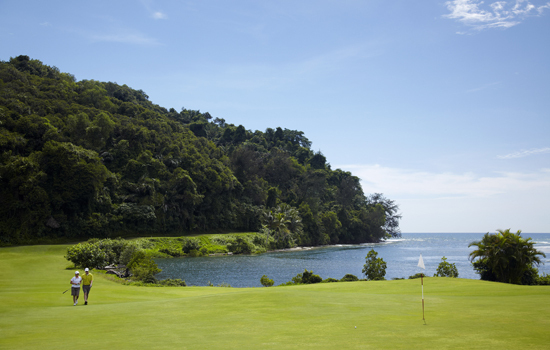 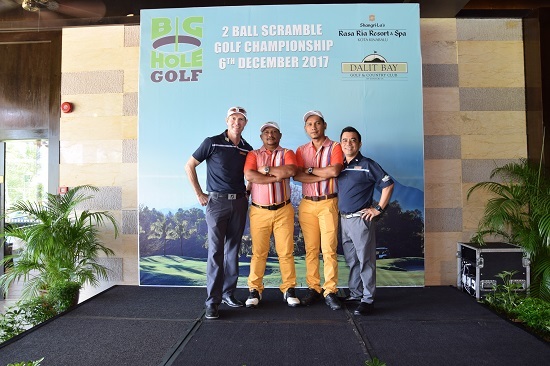 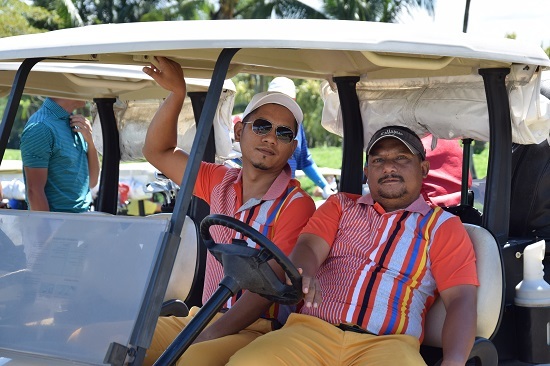 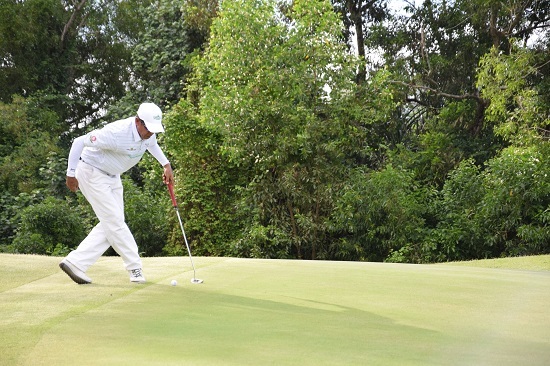 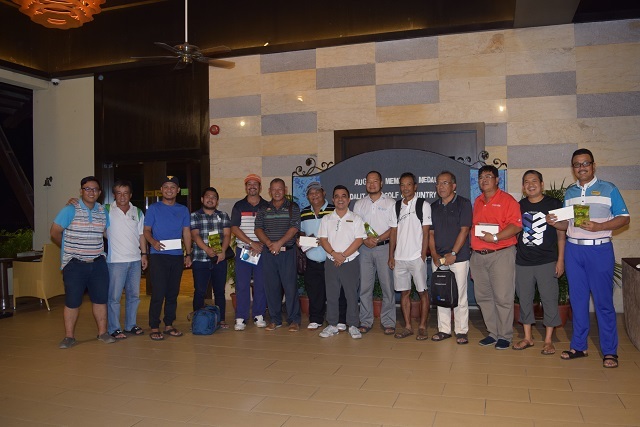 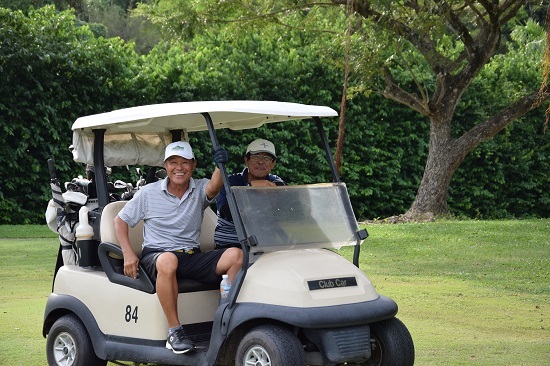 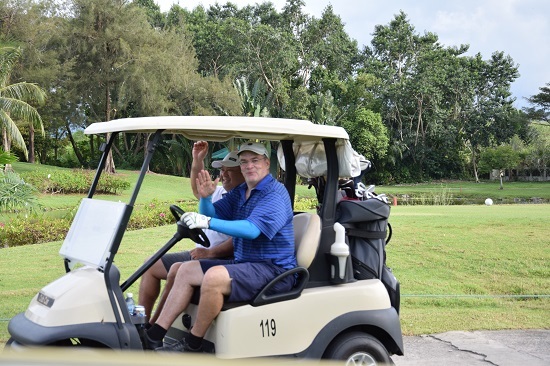 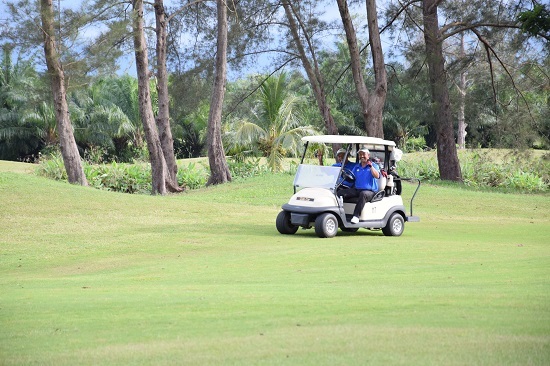 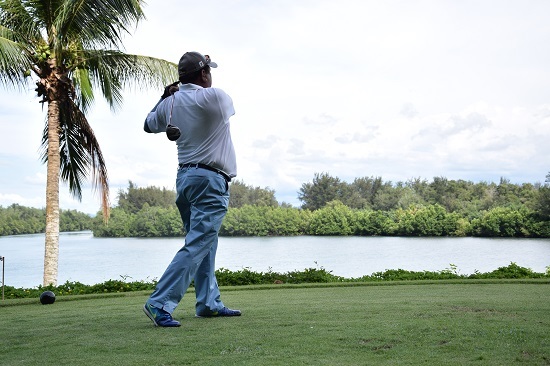 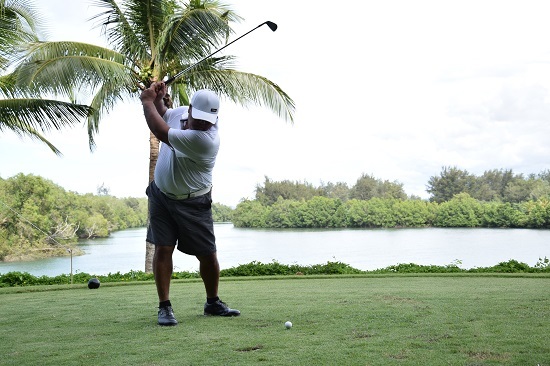 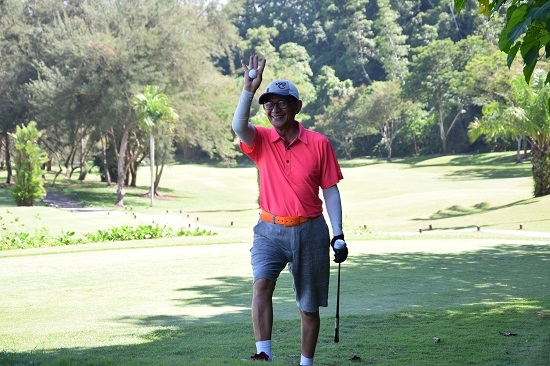 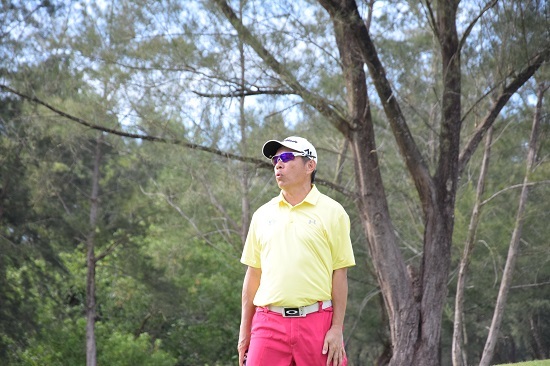 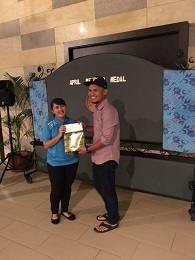 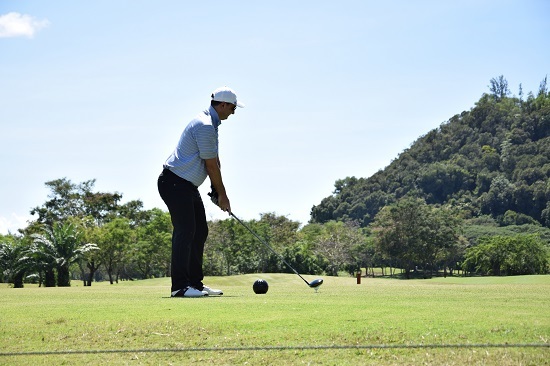 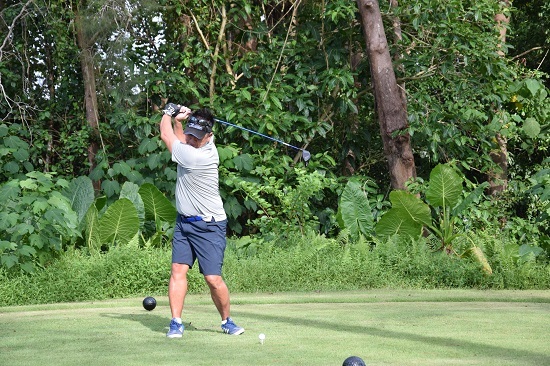 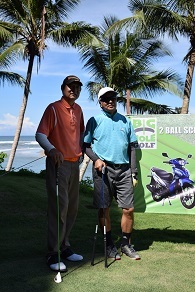 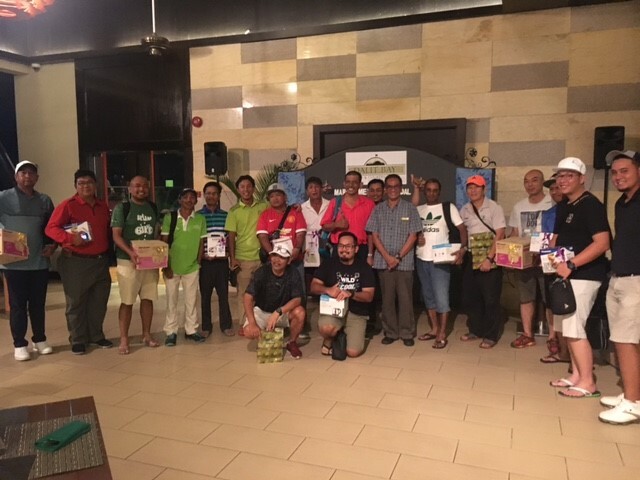 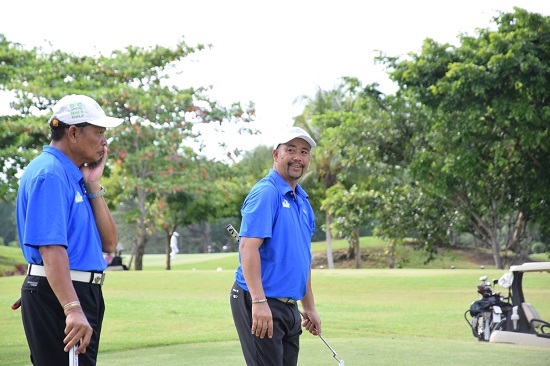 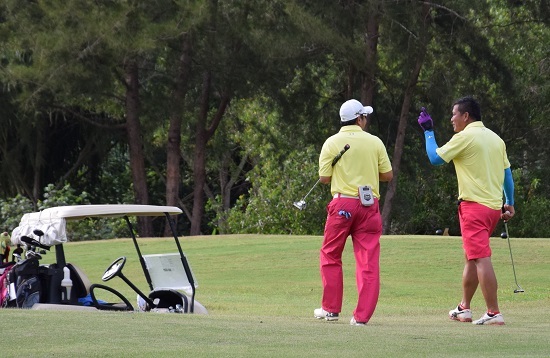 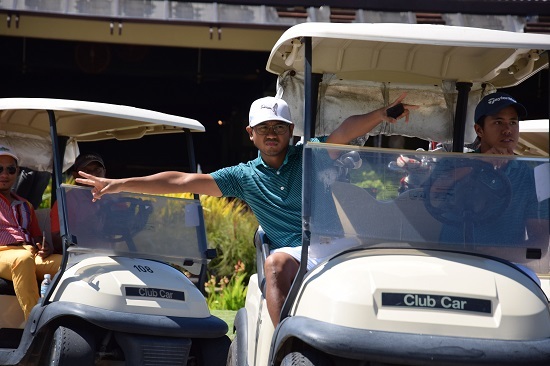 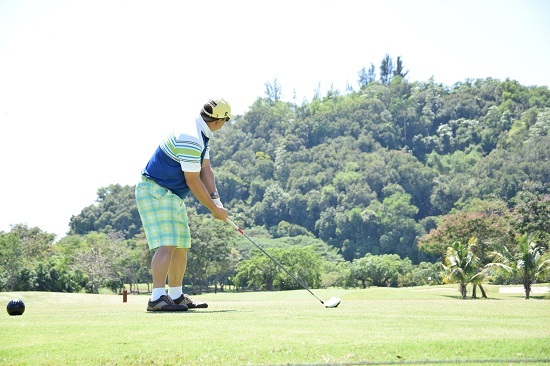 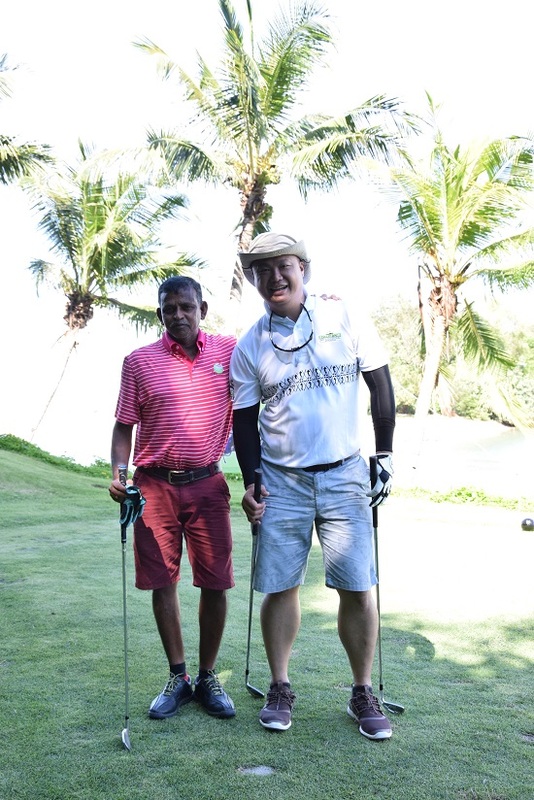 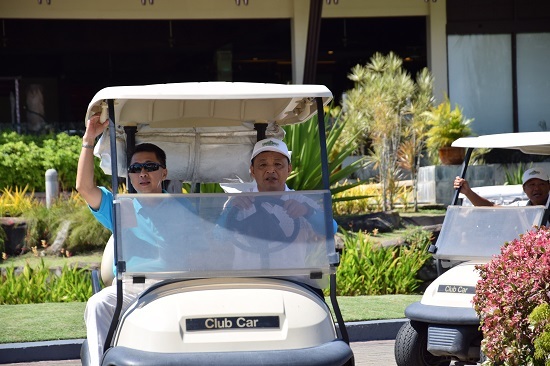 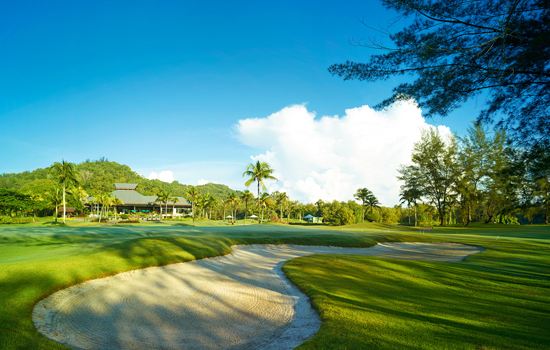 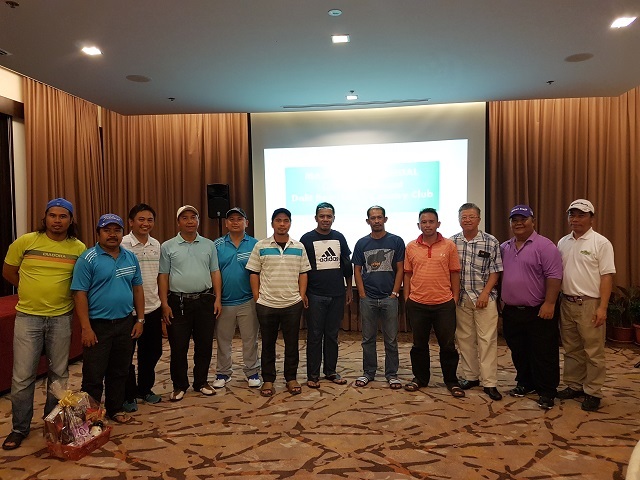 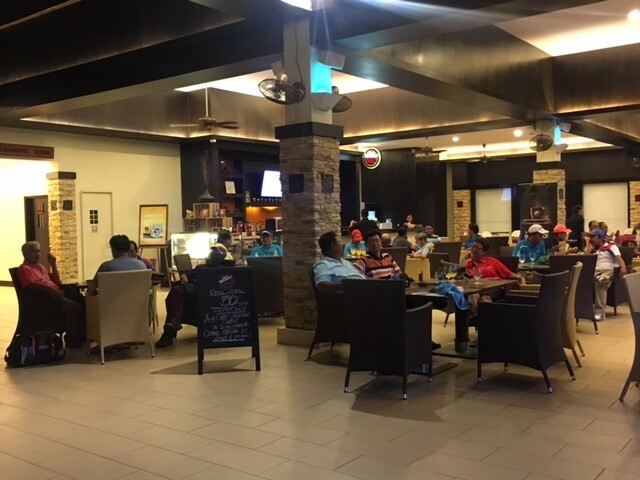 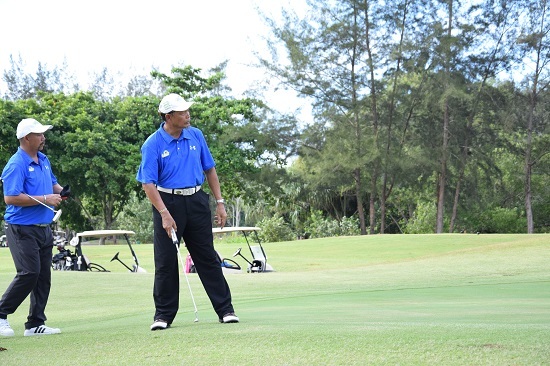 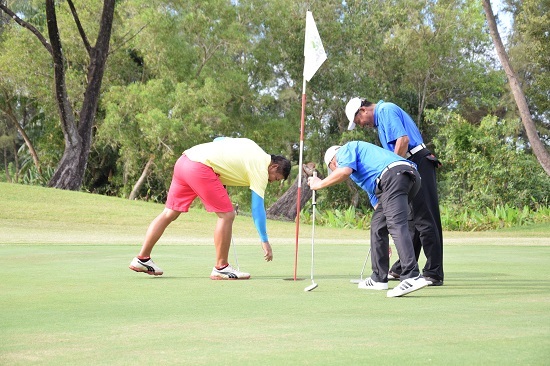 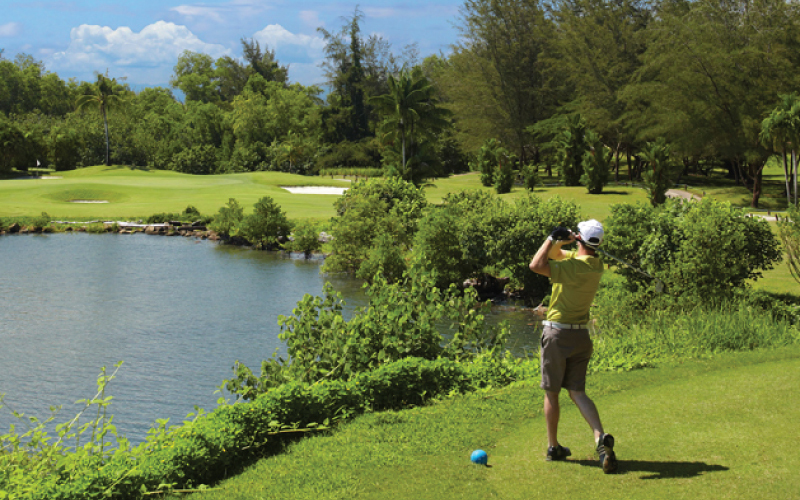 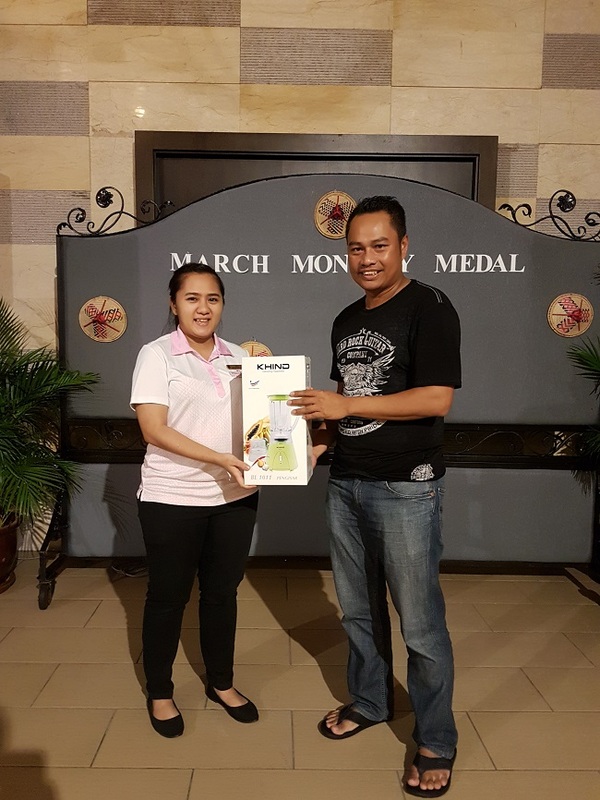 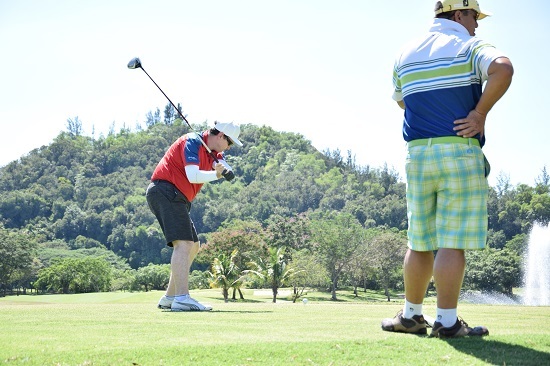 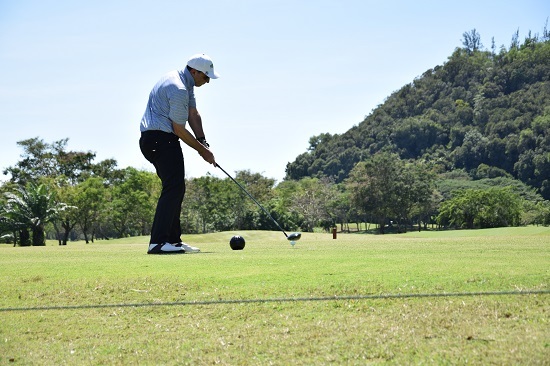 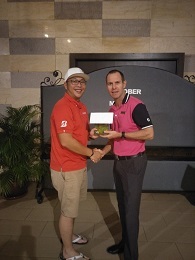 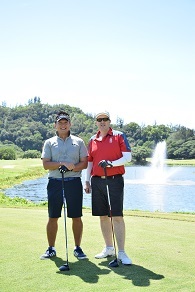 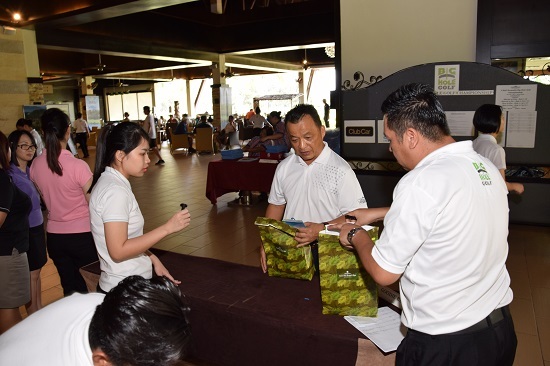 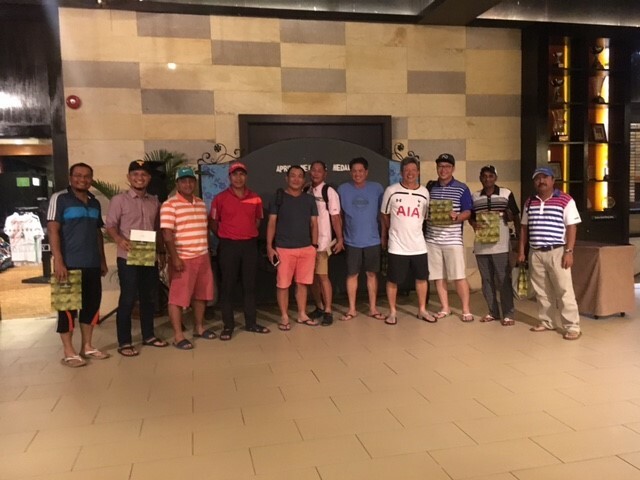 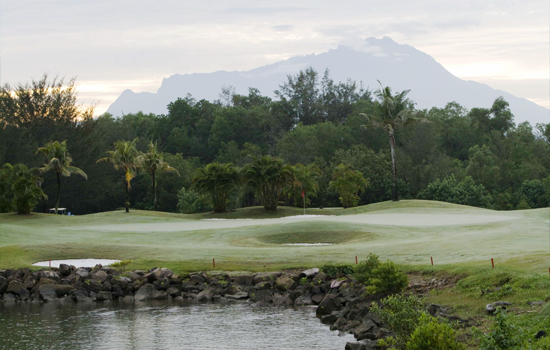 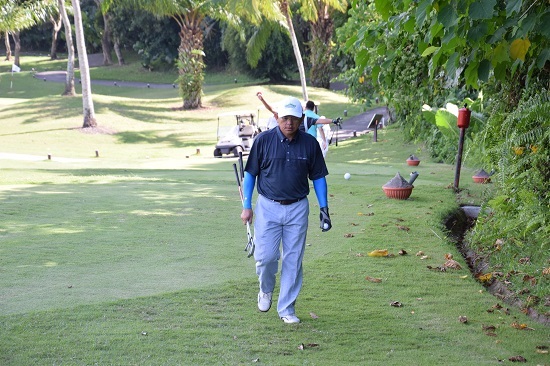 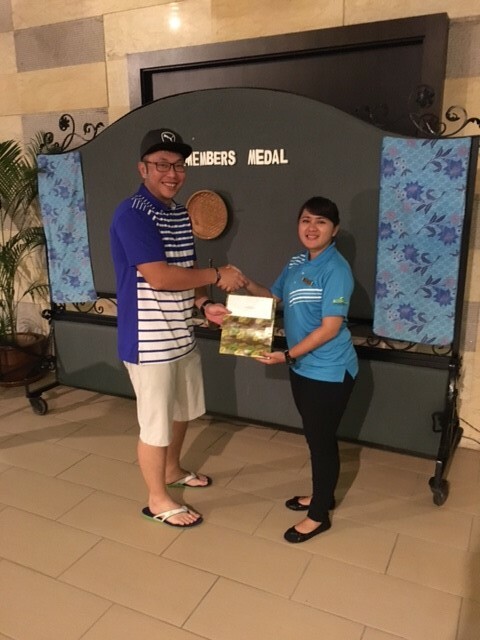 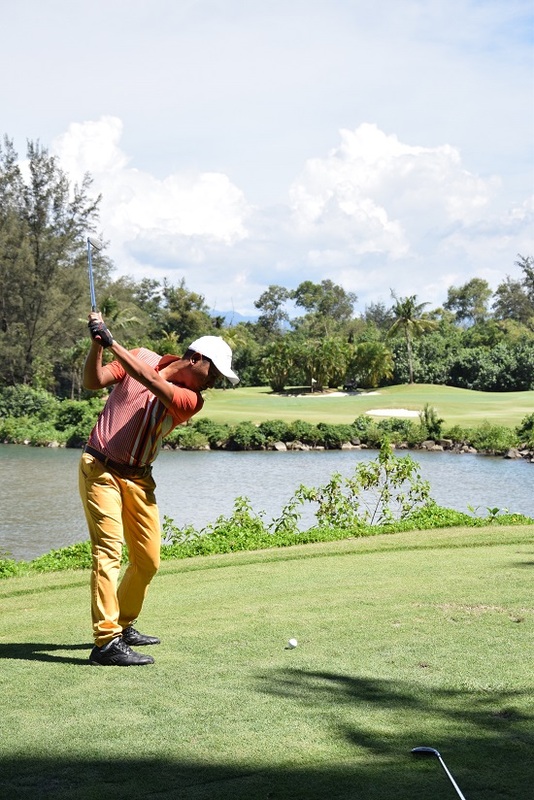 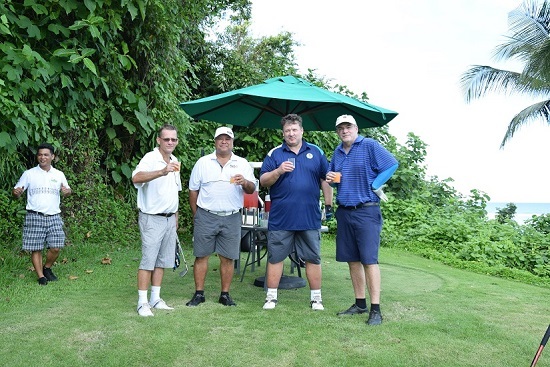 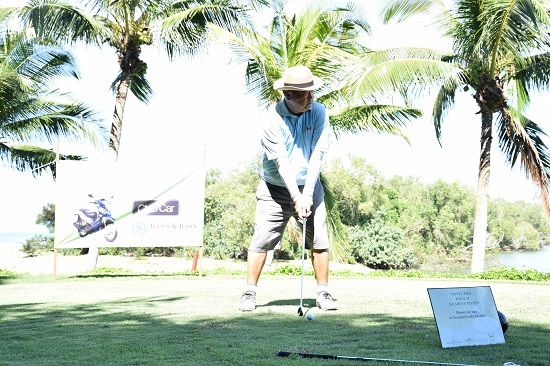 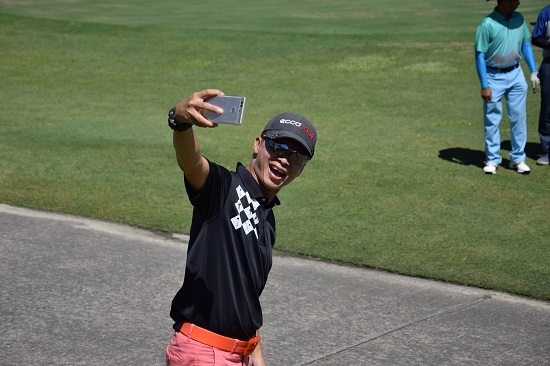 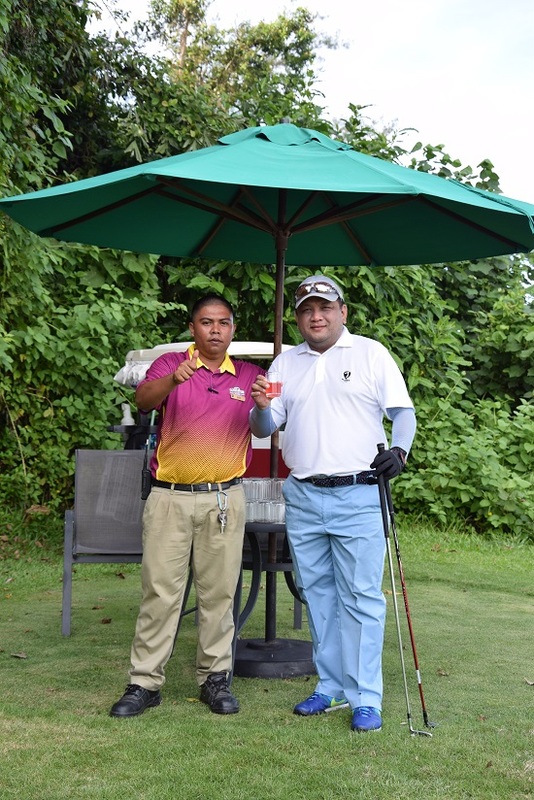 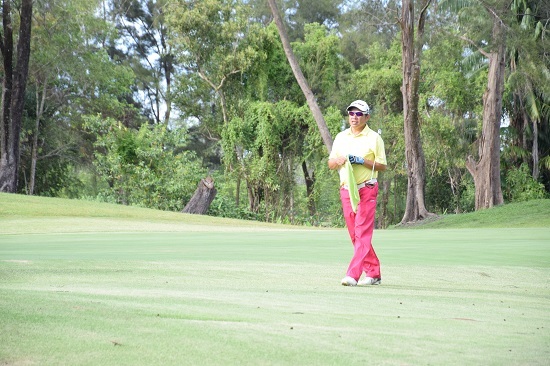 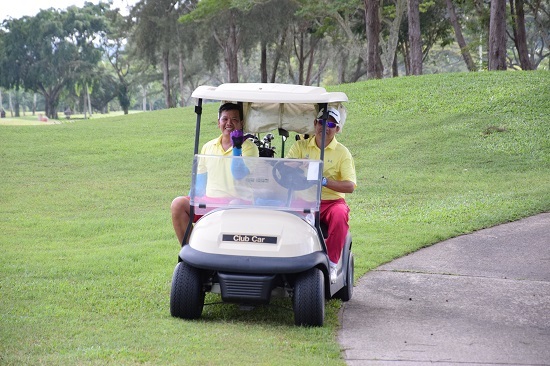 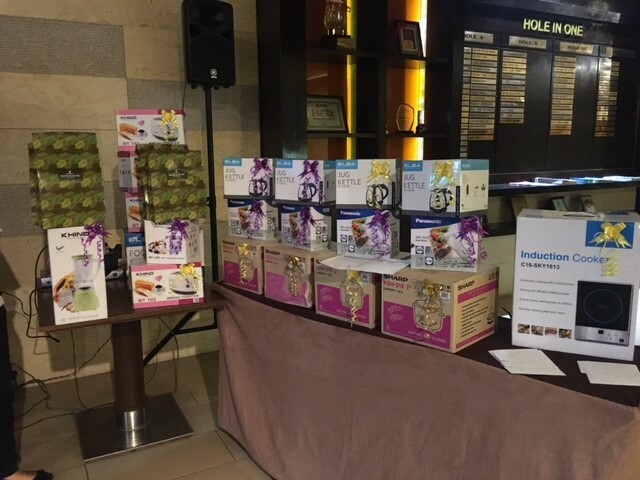 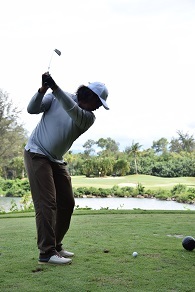 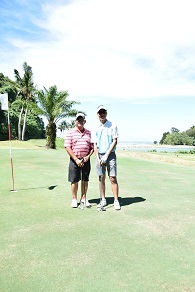 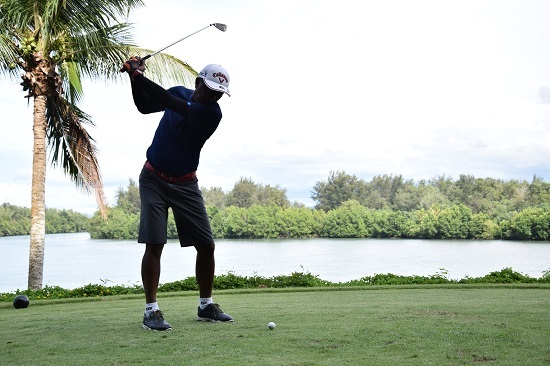 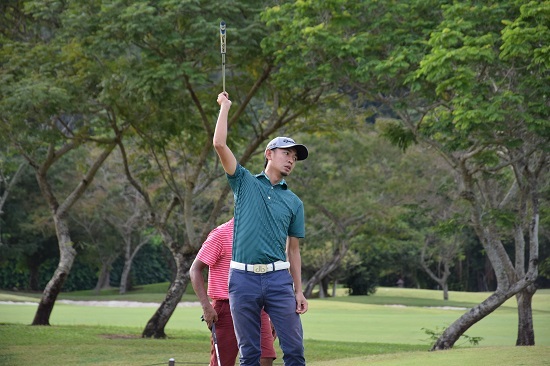 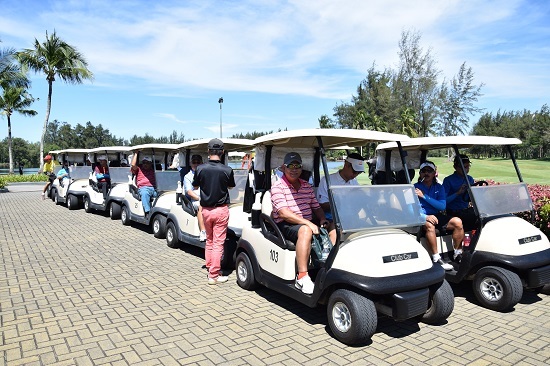 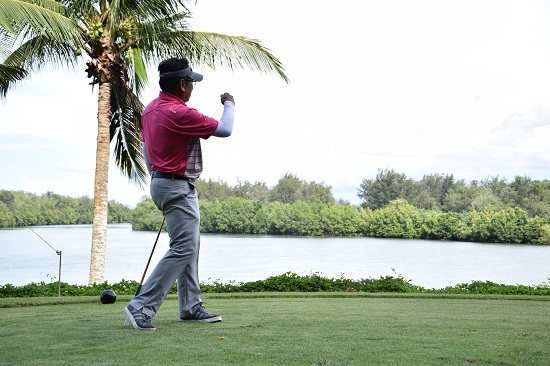 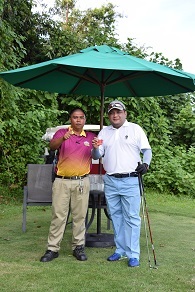 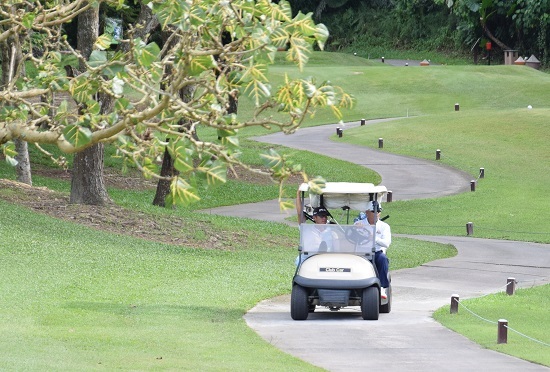 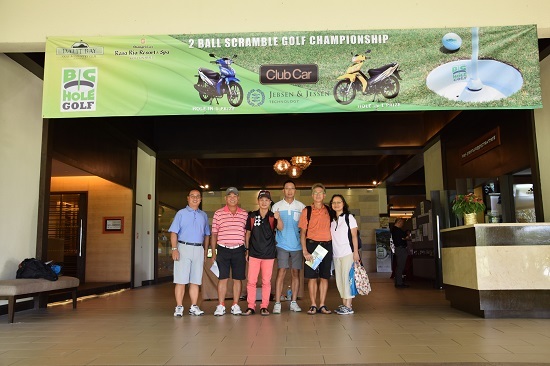 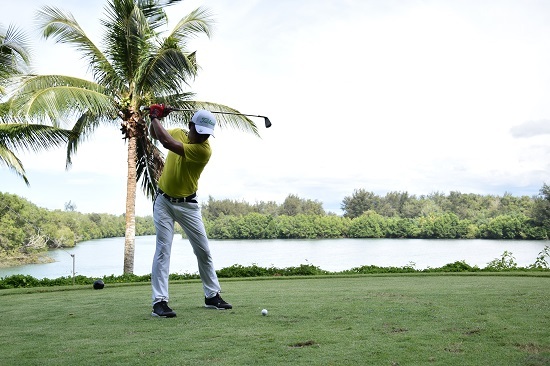 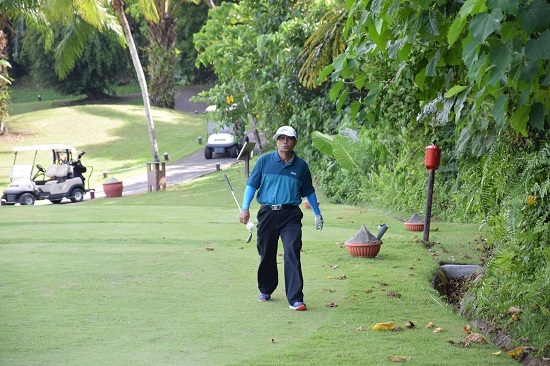 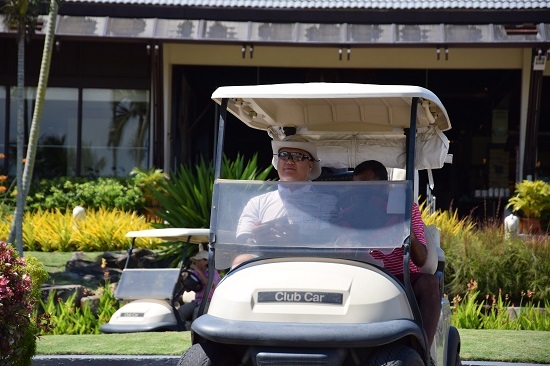 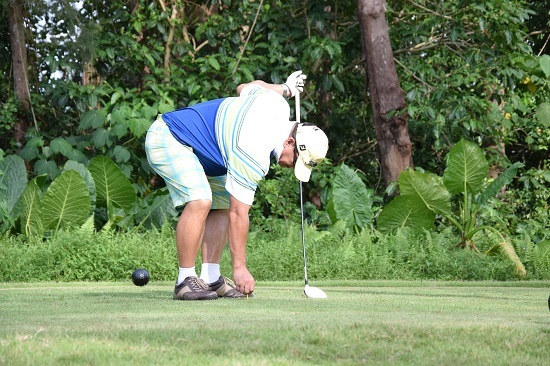 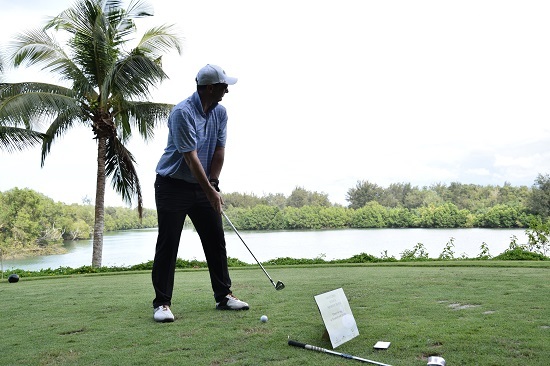 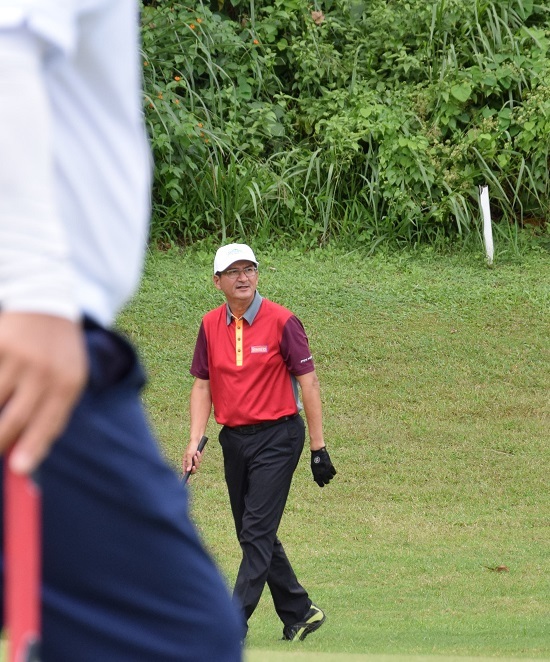 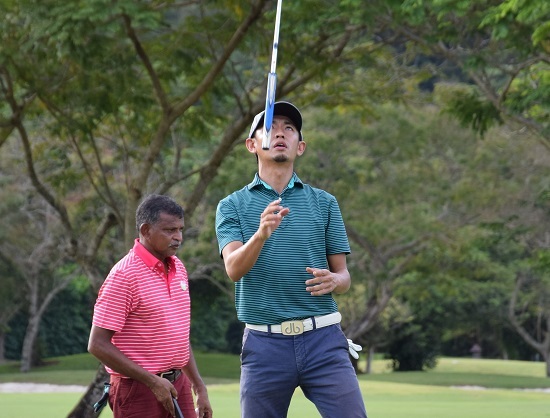 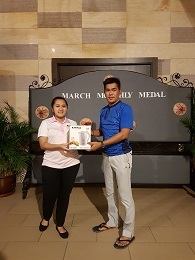 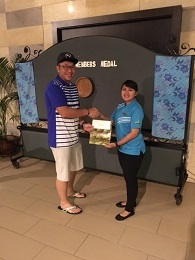 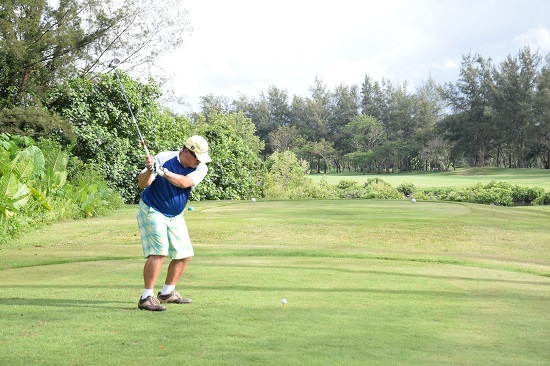 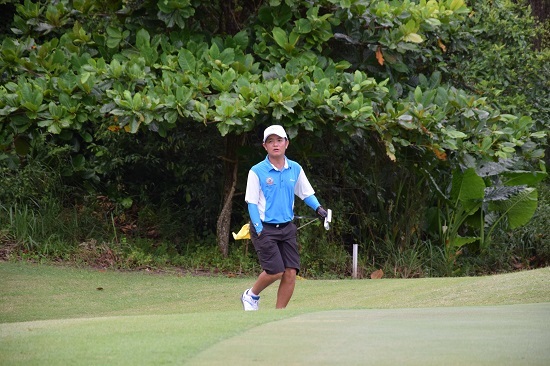 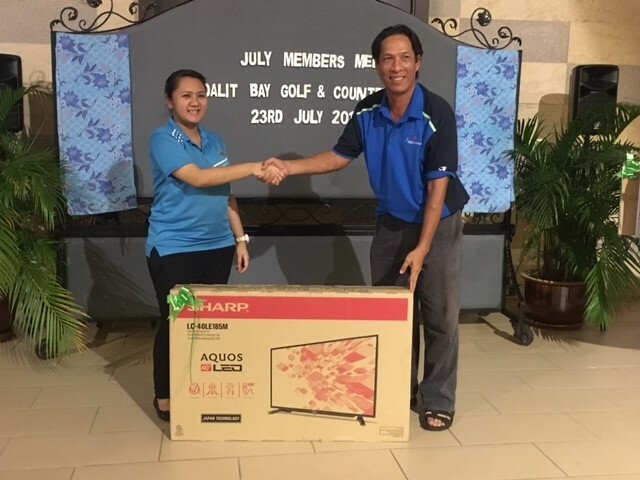 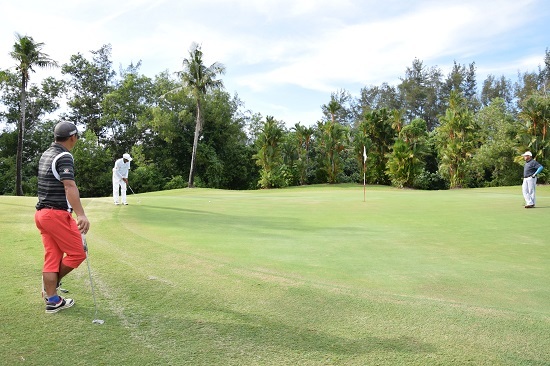 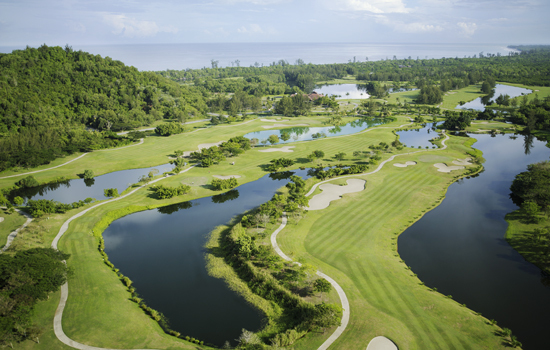 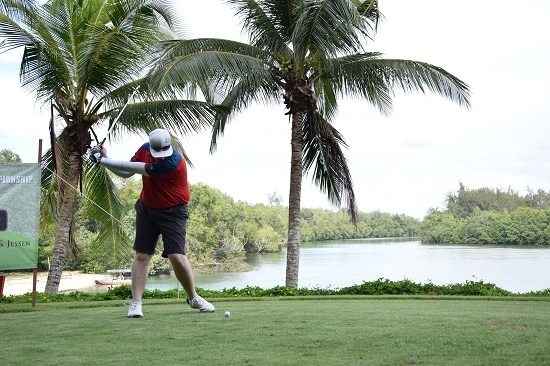 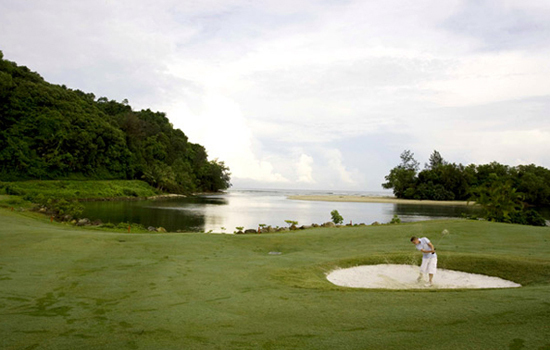 Shangri-La’s Rasa Ria Resort & Spa, Kota Kinabalu launched “Big Hole Golf” on 5 May 2016 at the resort’s award-winning Dalit Bay Golf & Country Club with 33 invited players to enjoy a fun nine-hole game. 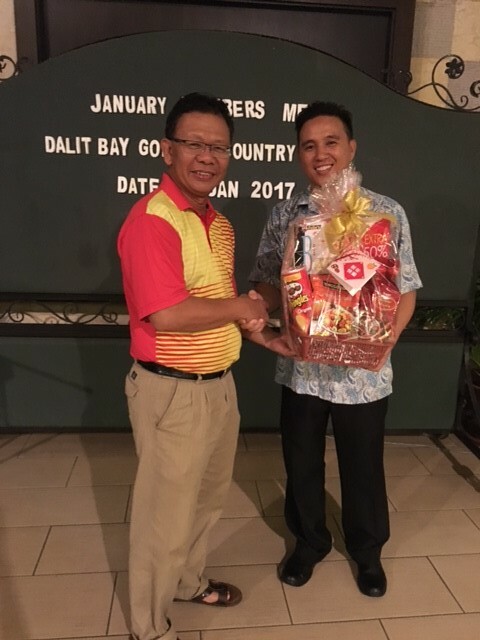 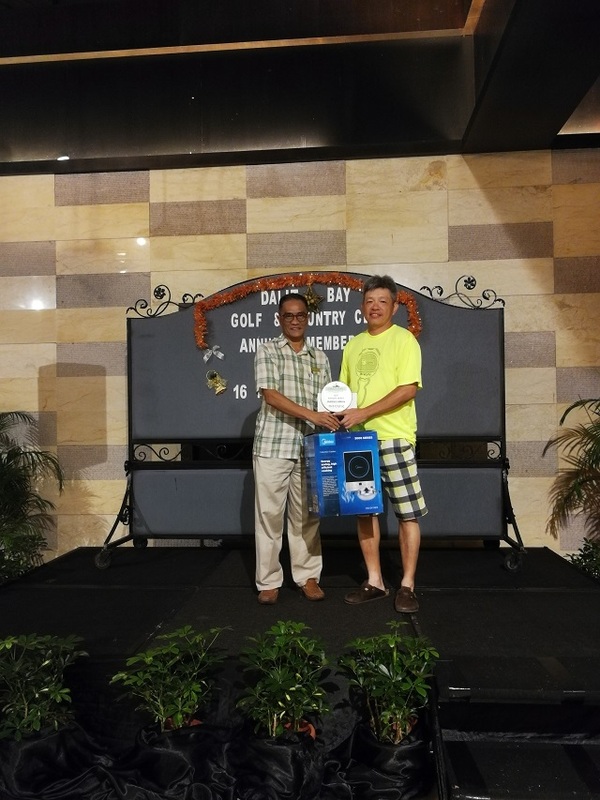 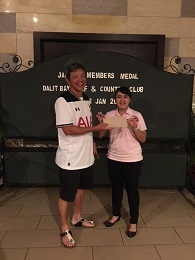 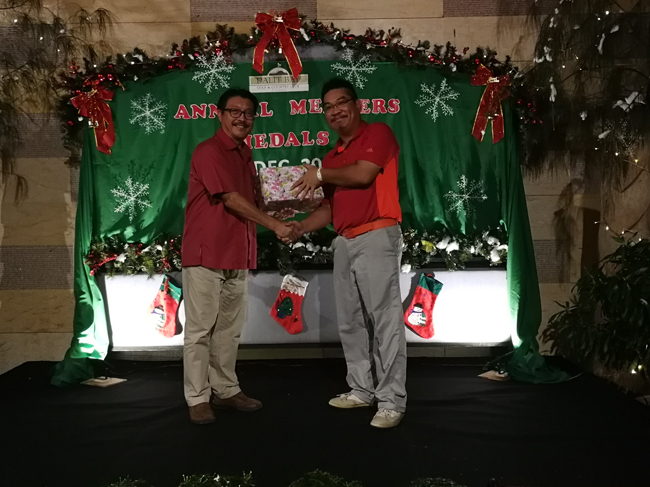 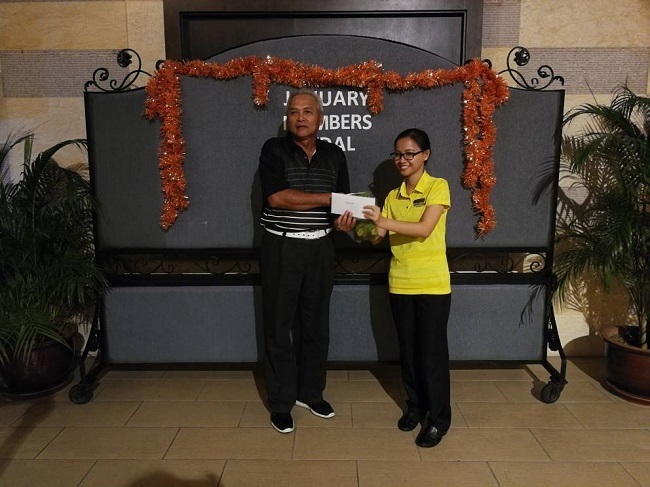 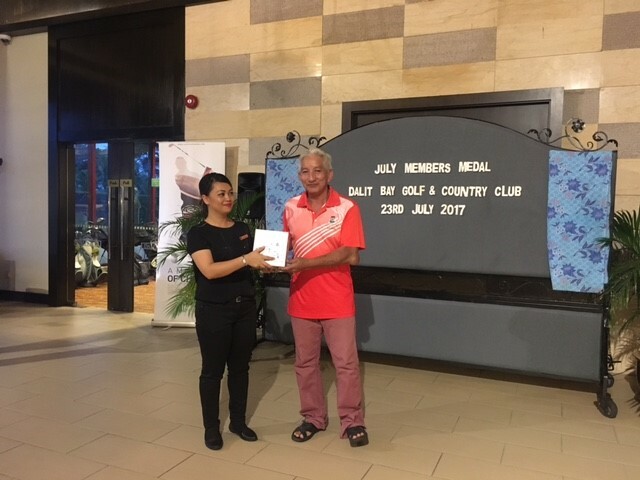 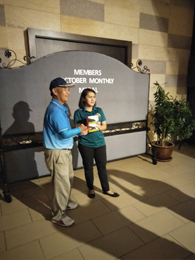 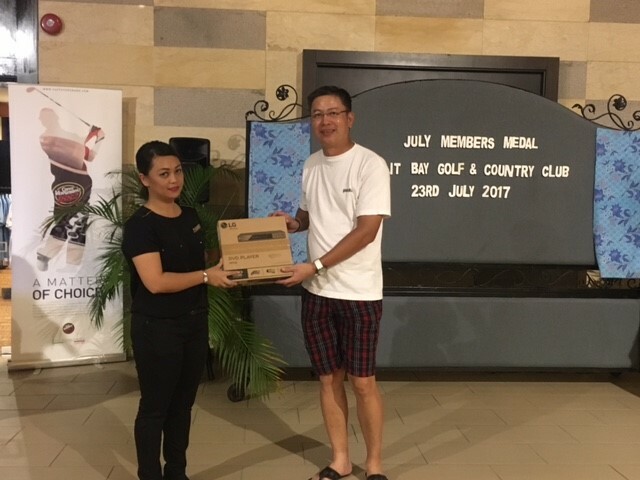 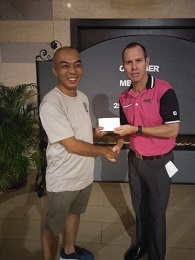 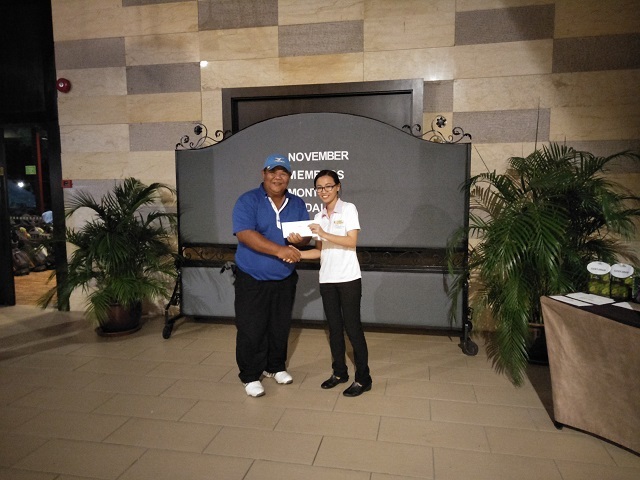 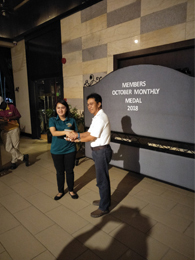 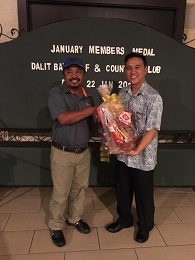 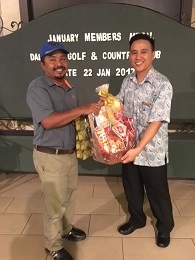 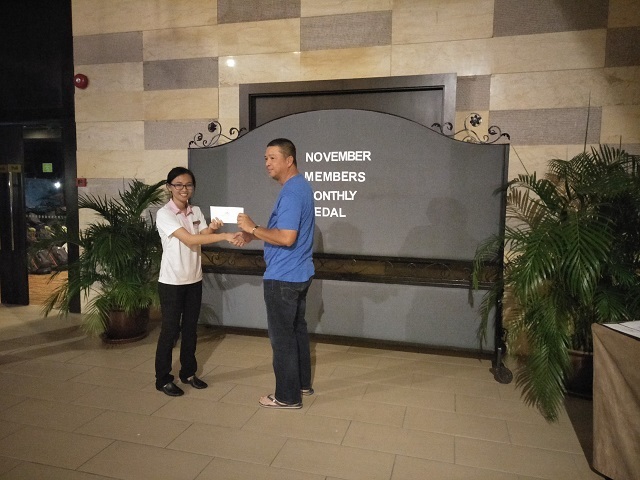 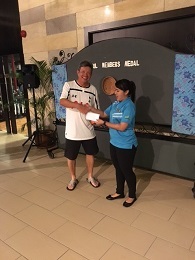 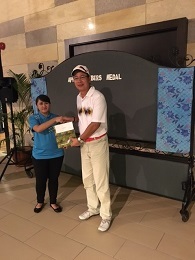 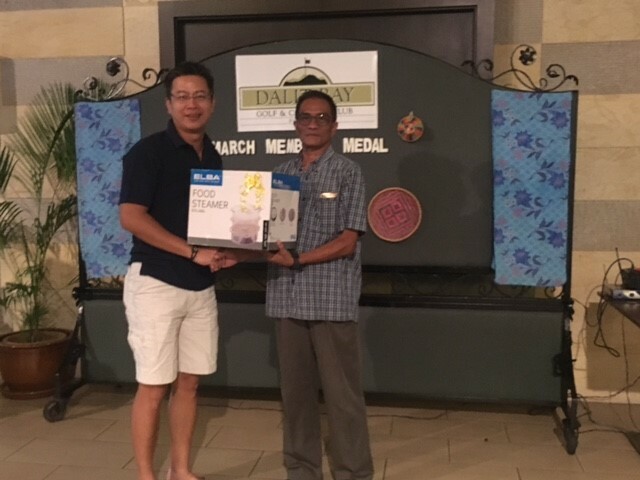 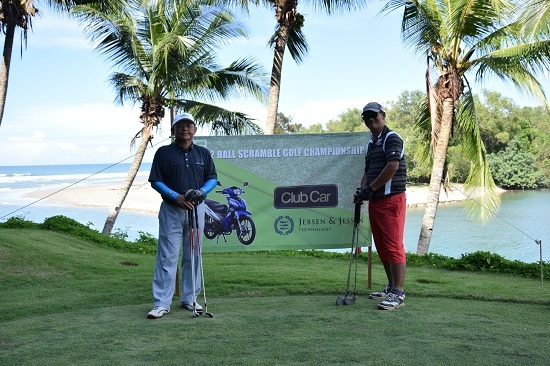 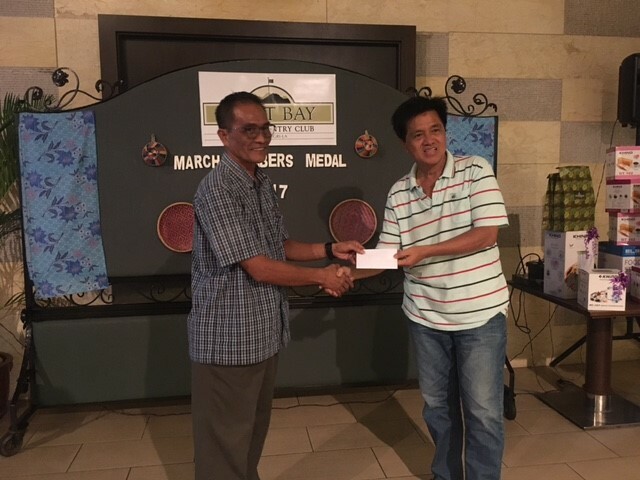 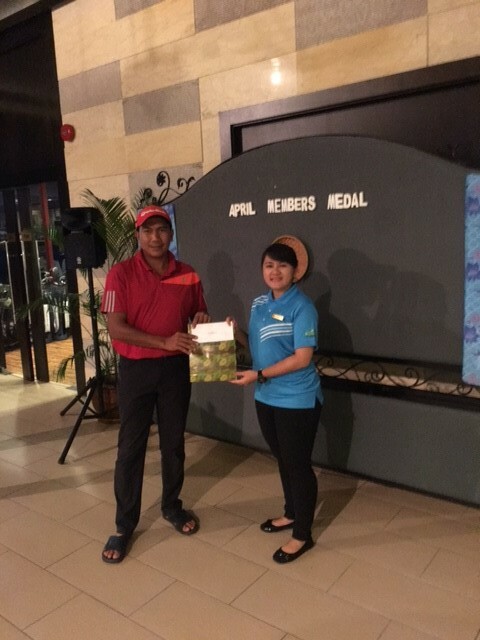 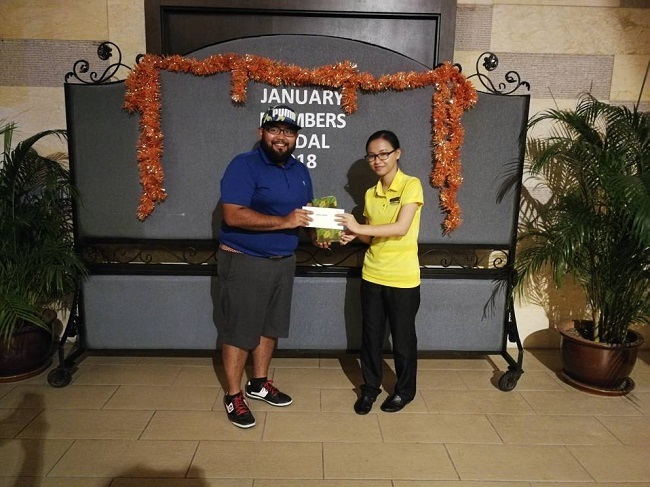 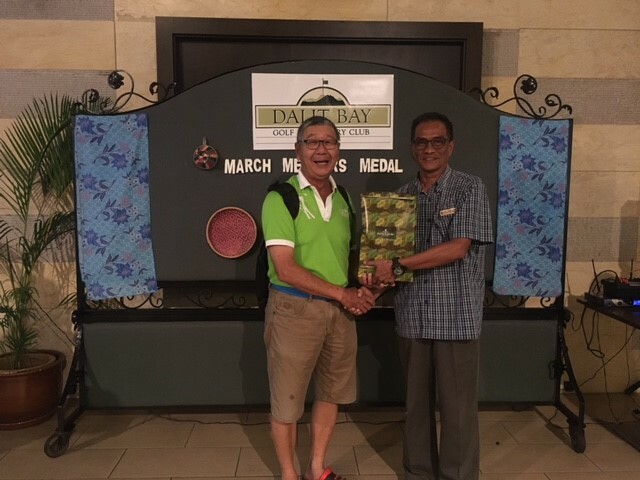 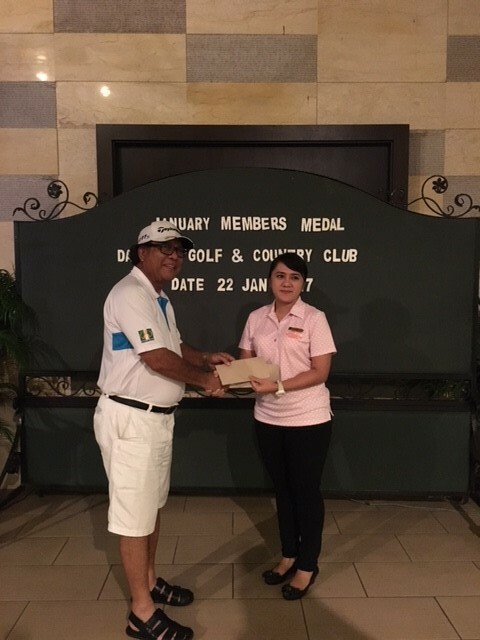 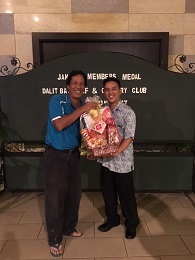 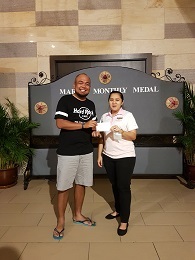 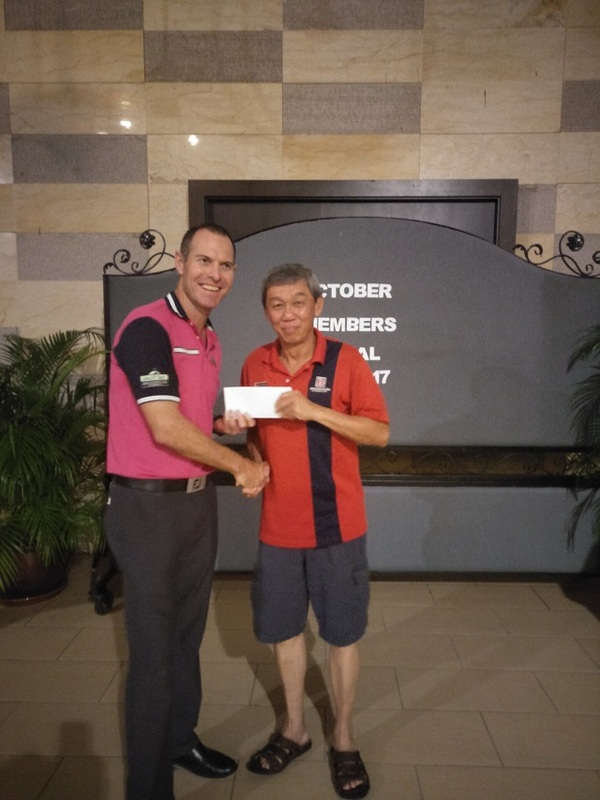 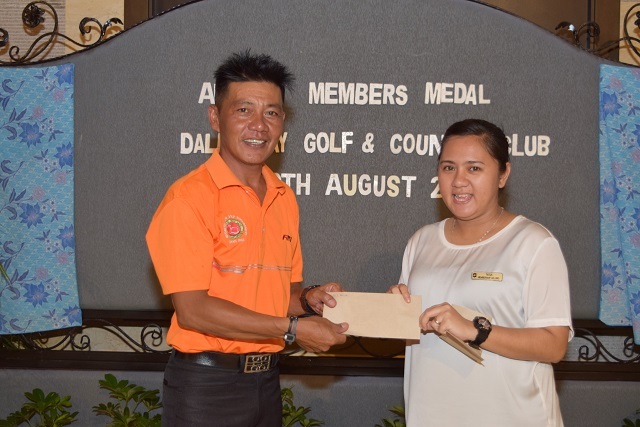 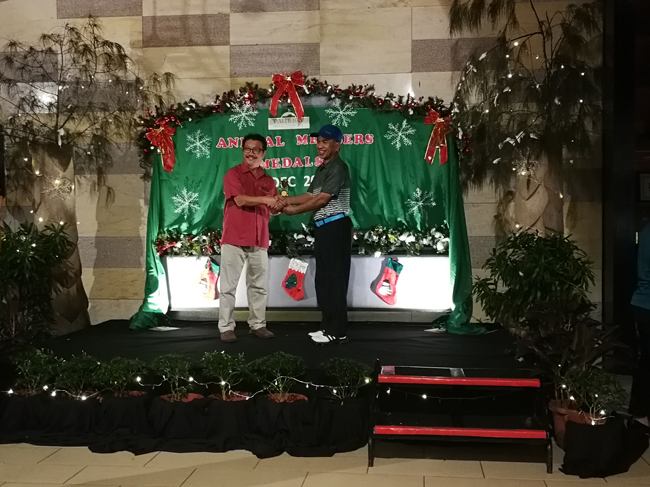 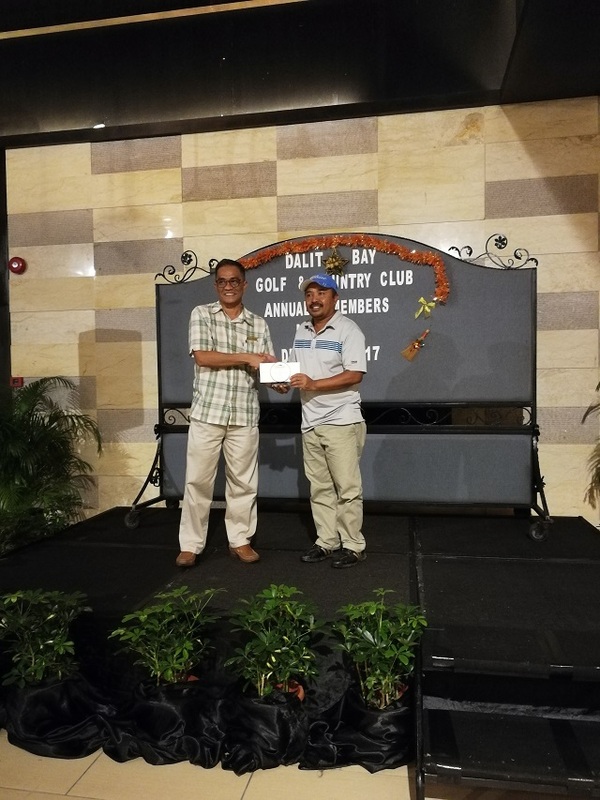 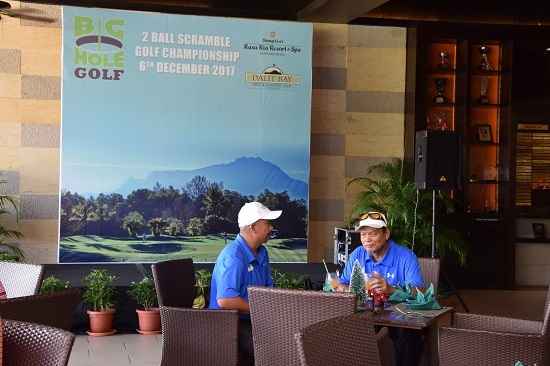 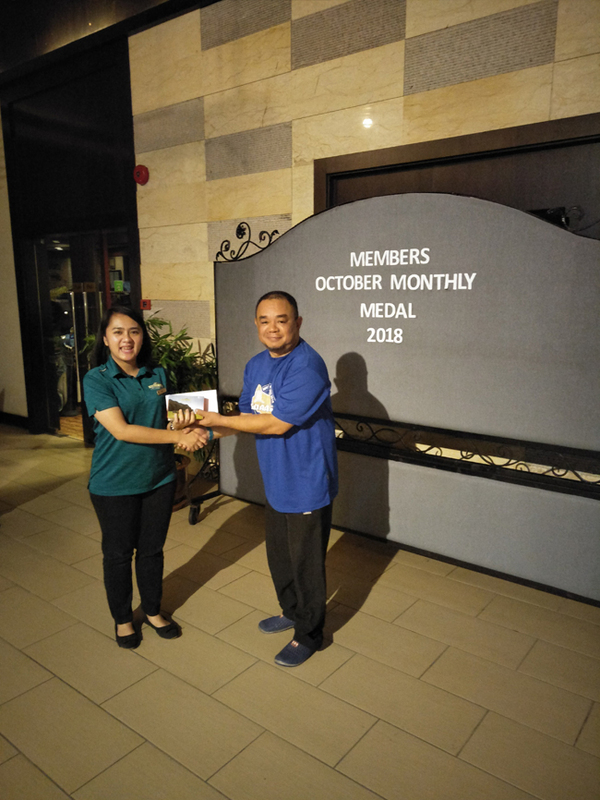 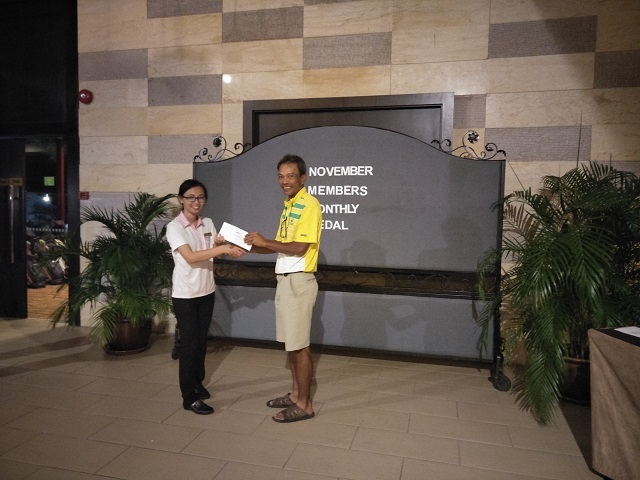 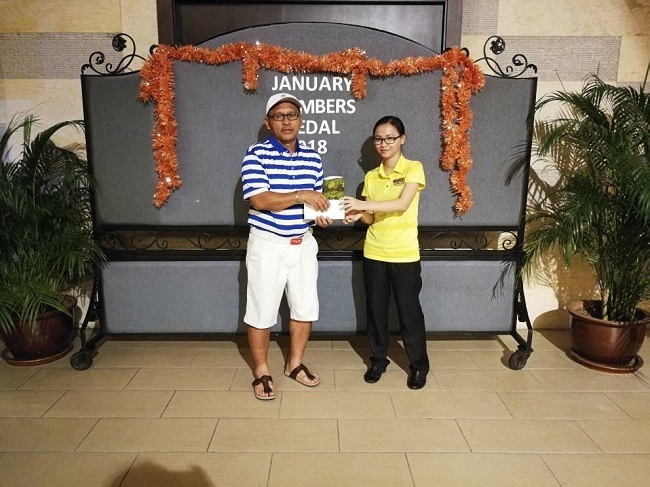 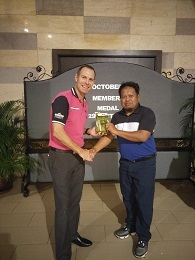 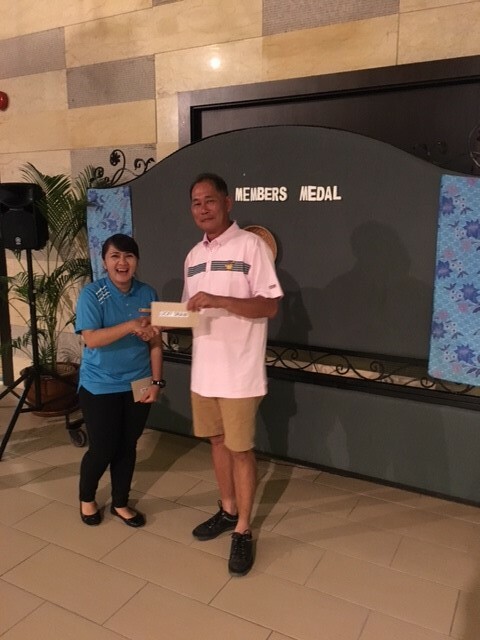 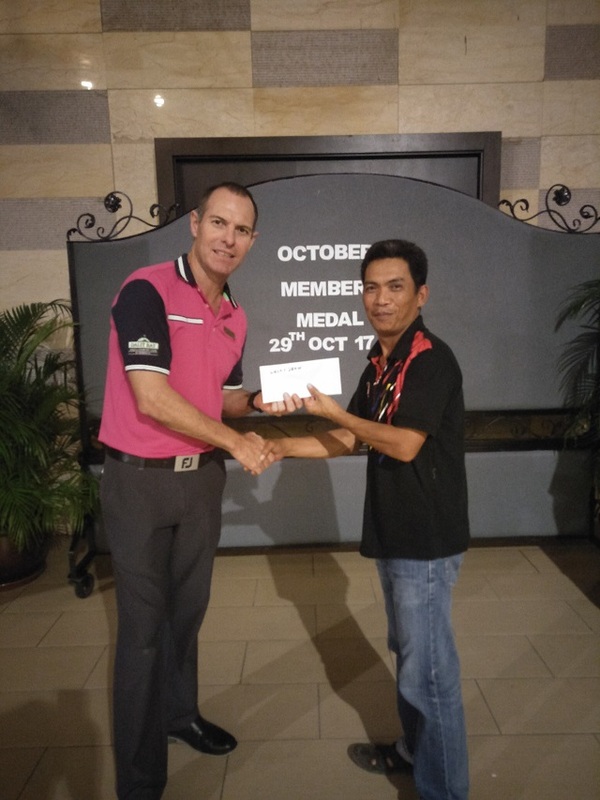 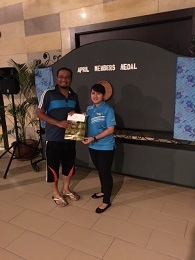 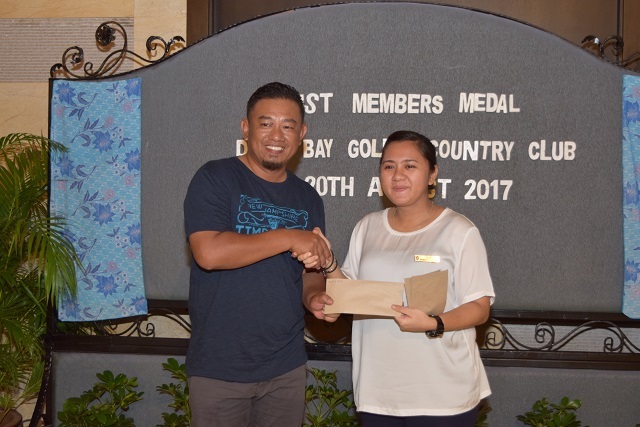 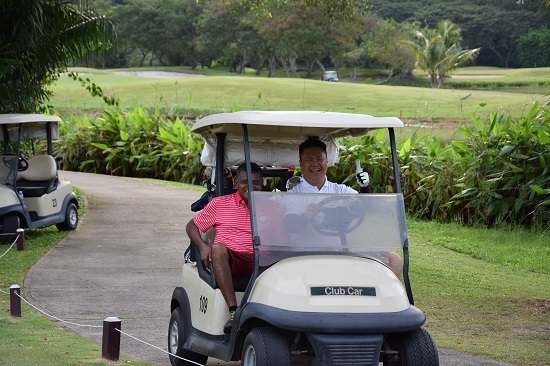 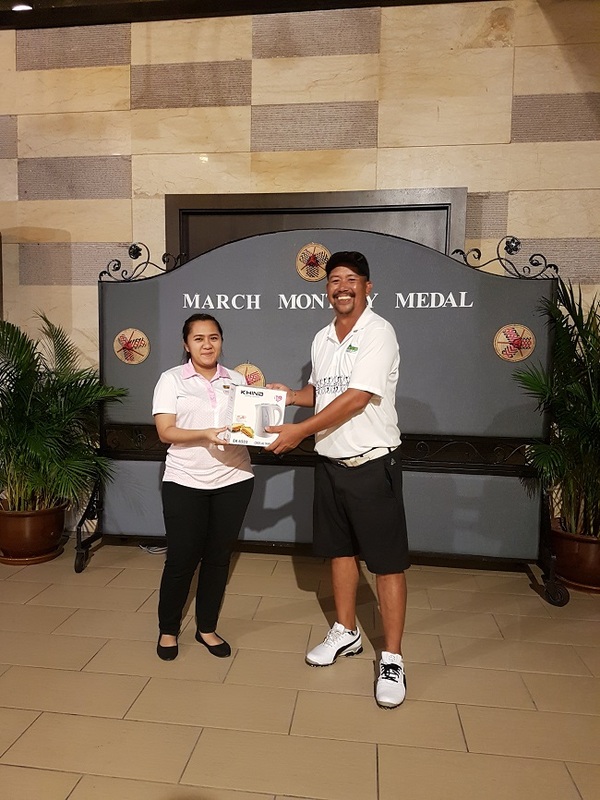 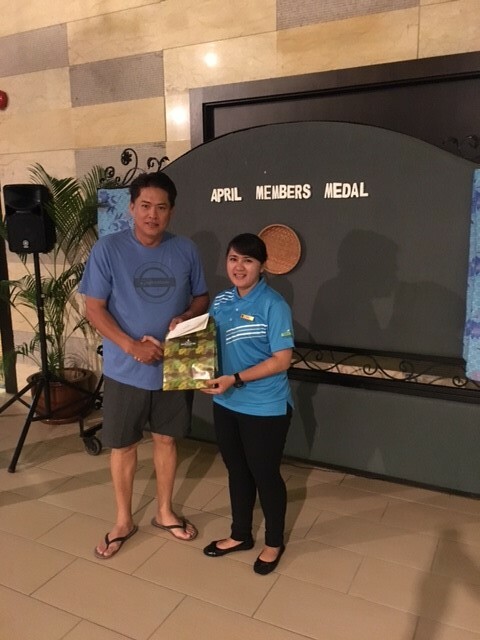 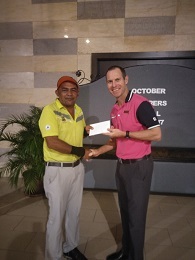 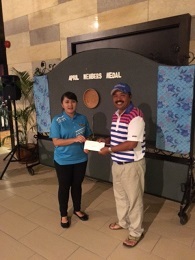 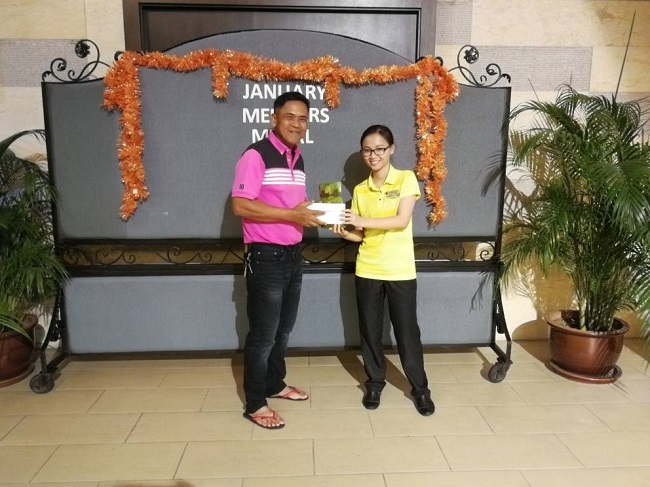 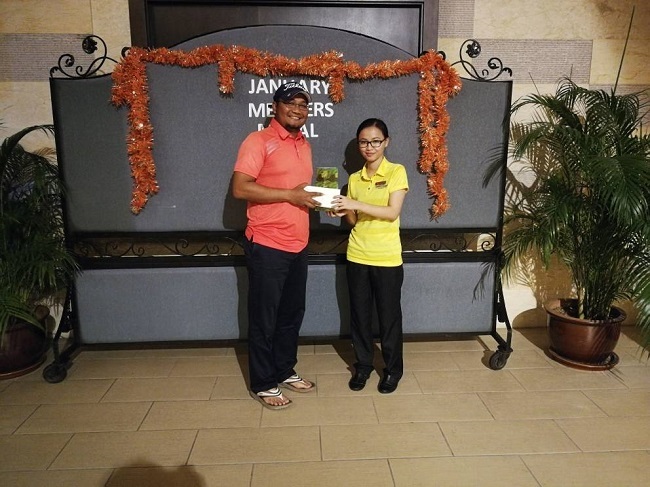 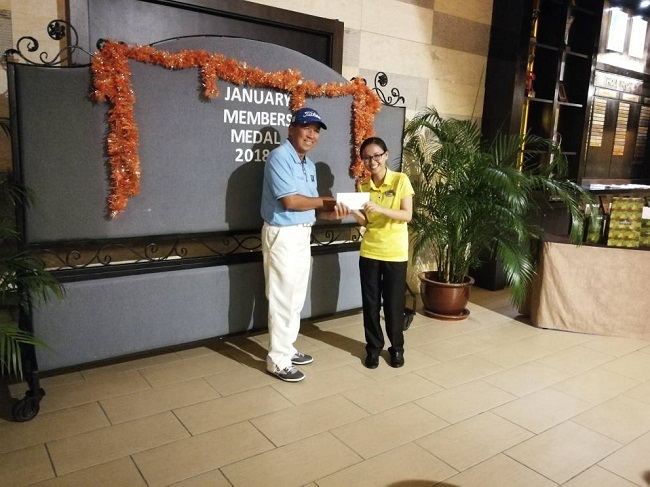 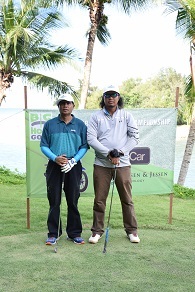 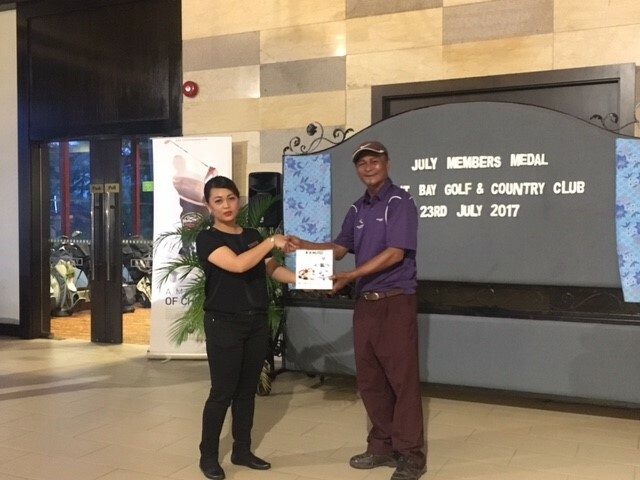 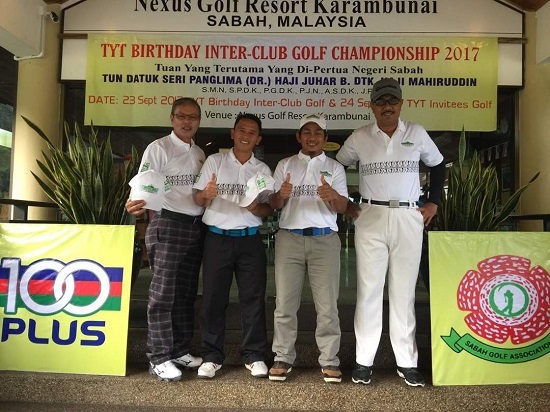 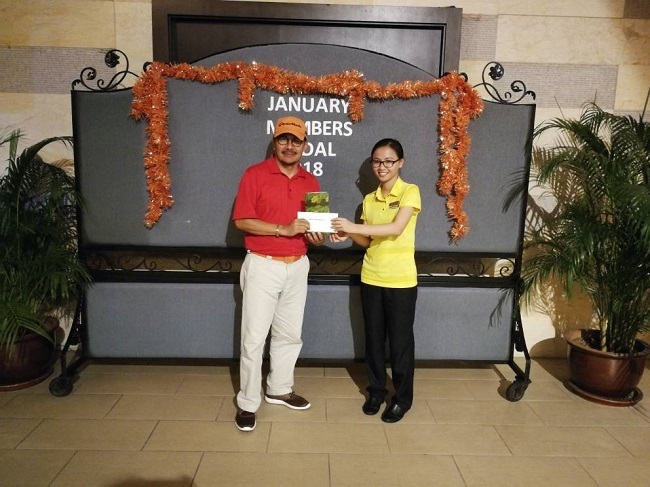 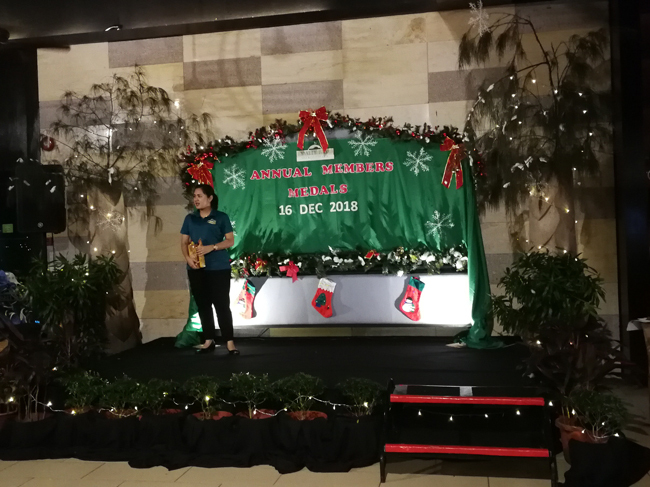 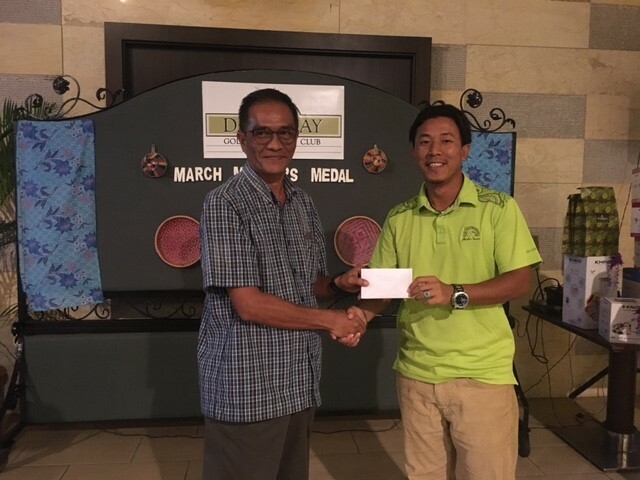 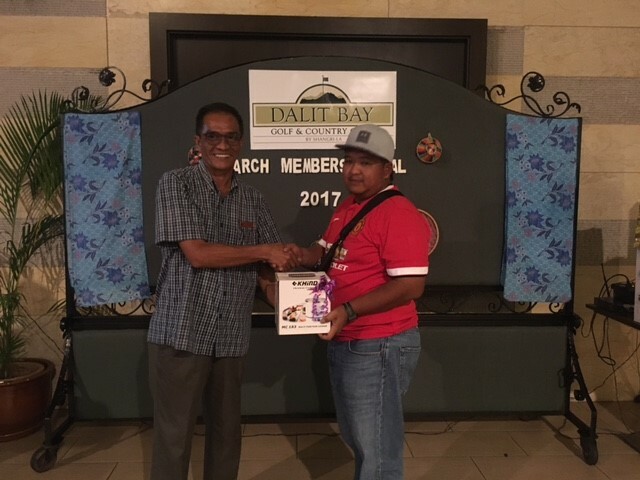 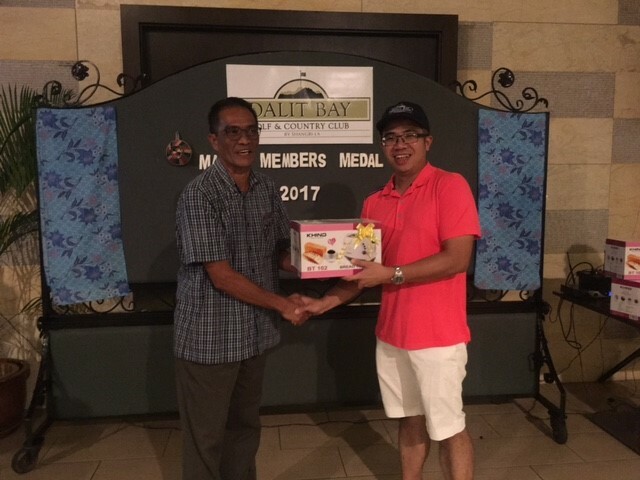 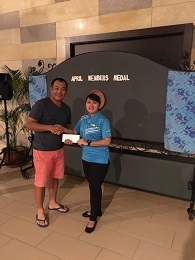 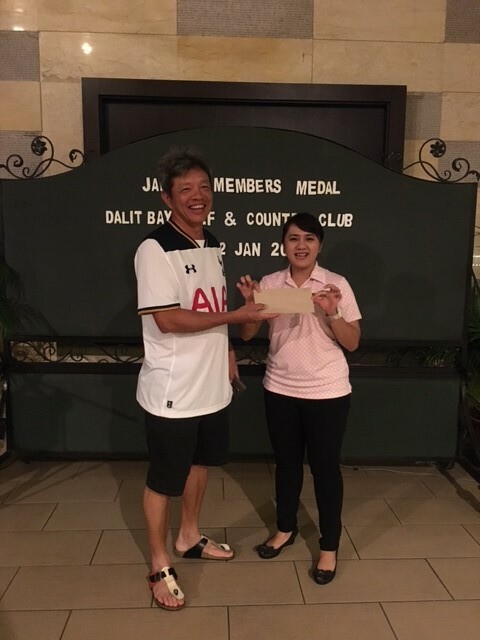 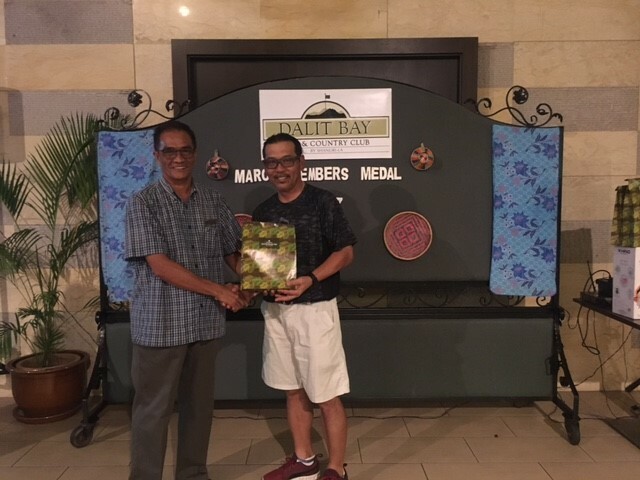 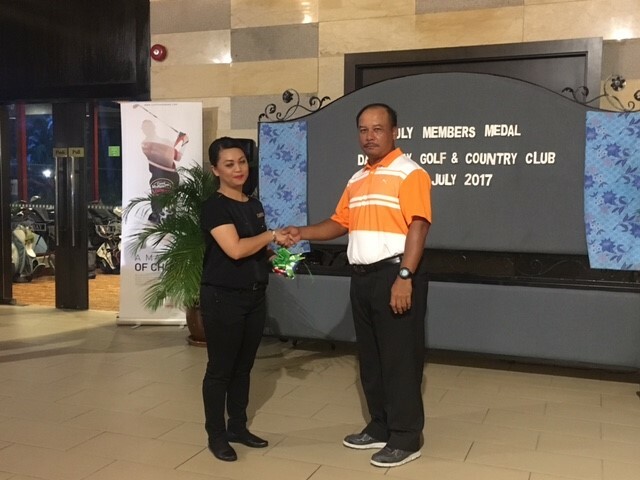 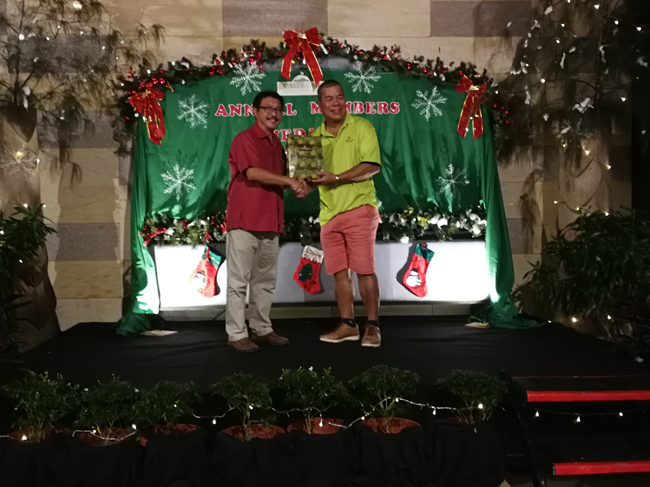 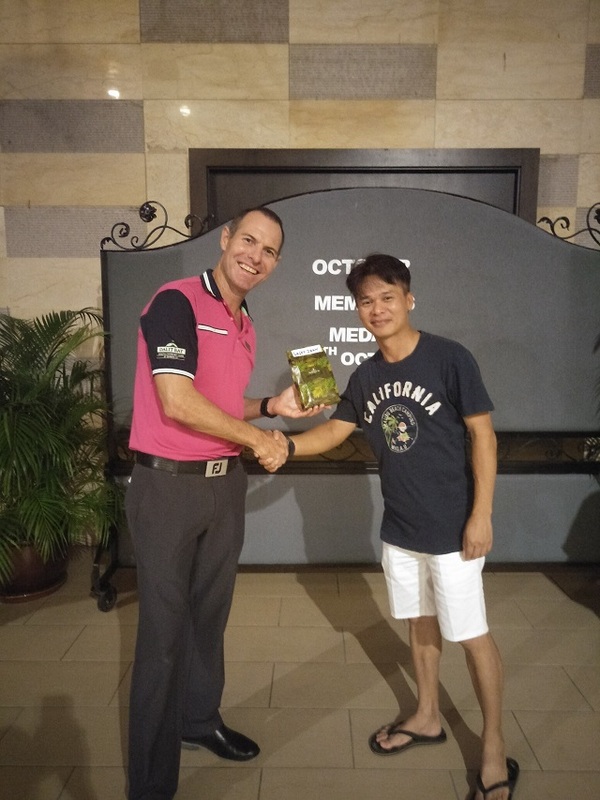 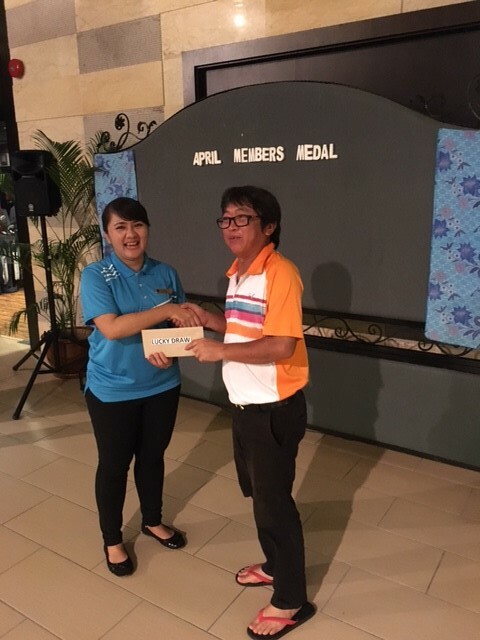 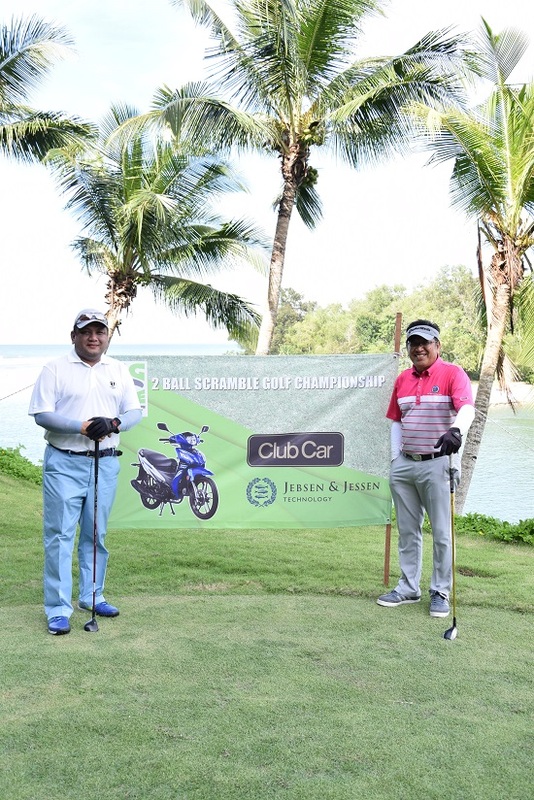 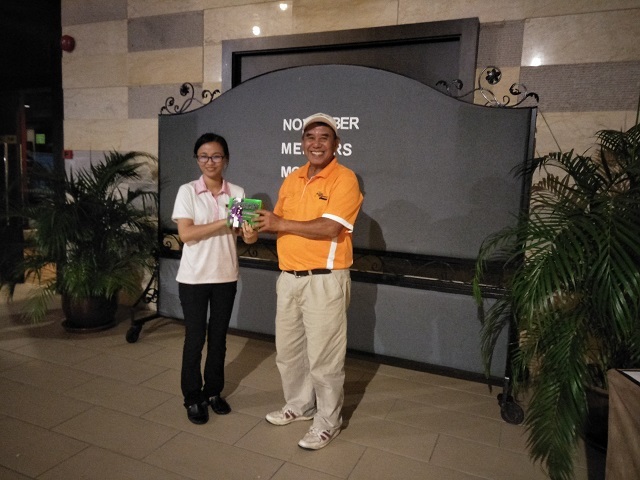 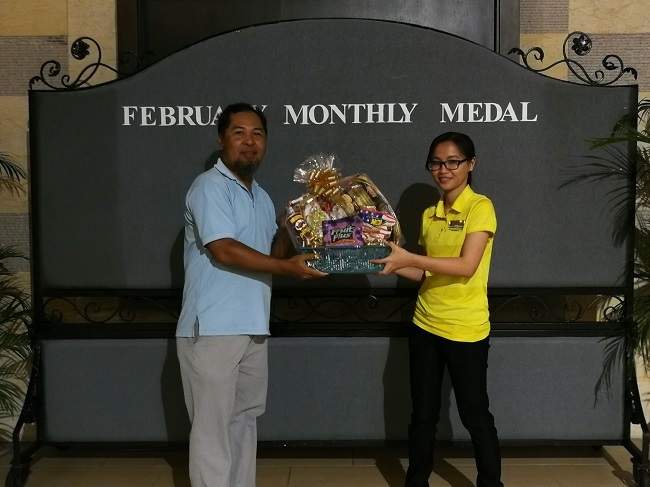 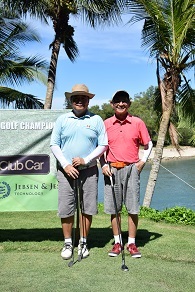 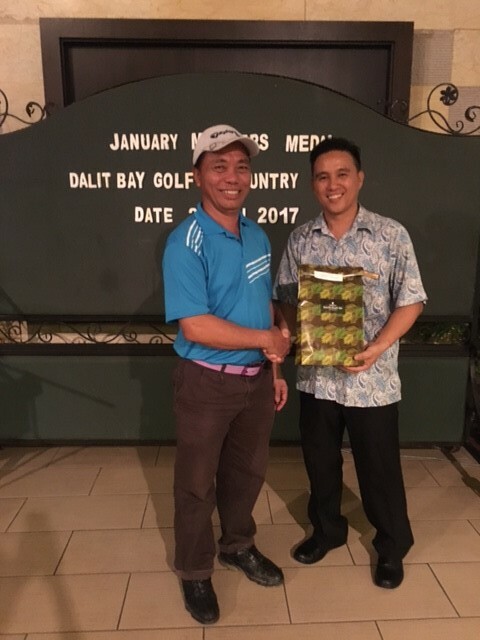 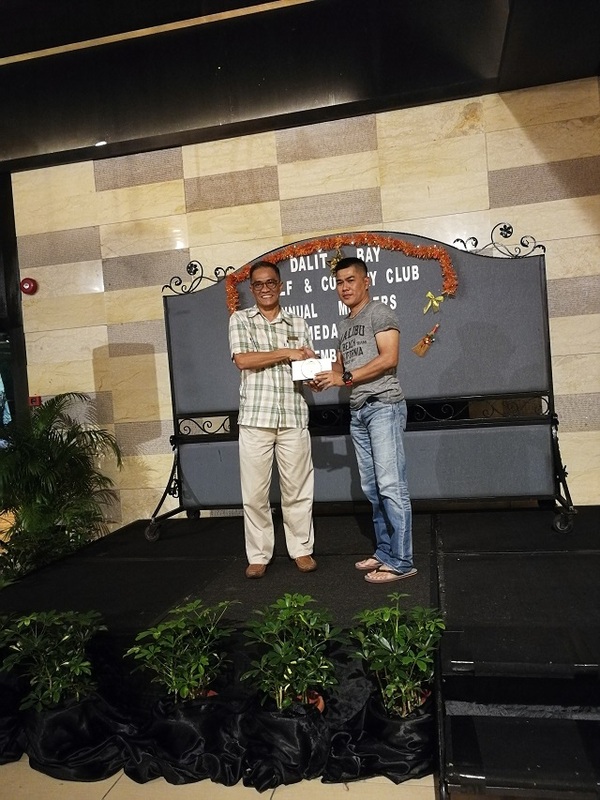 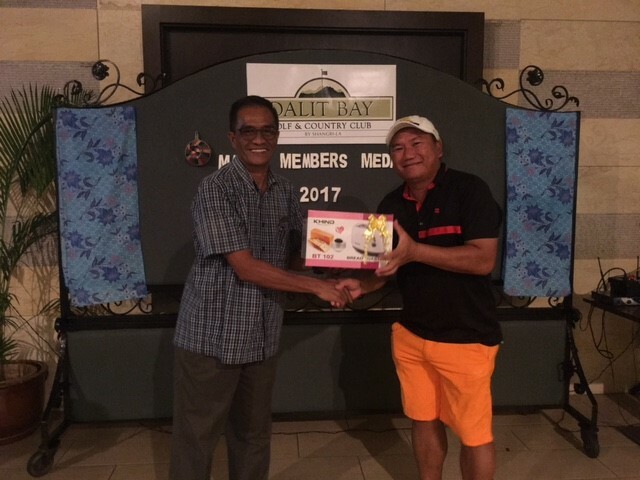 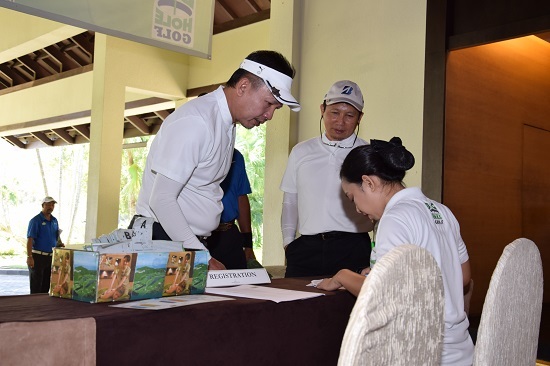 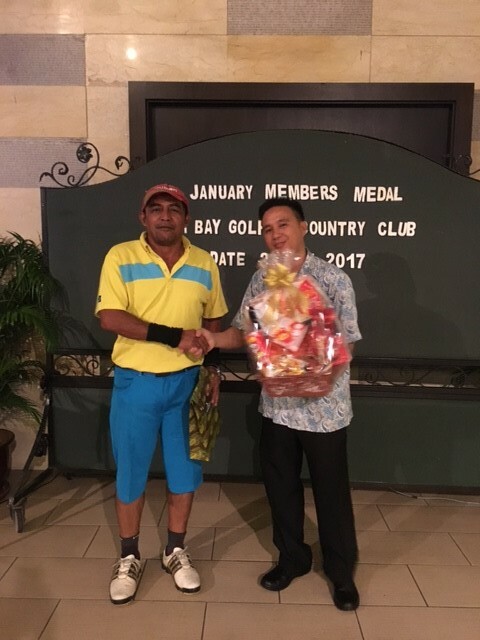 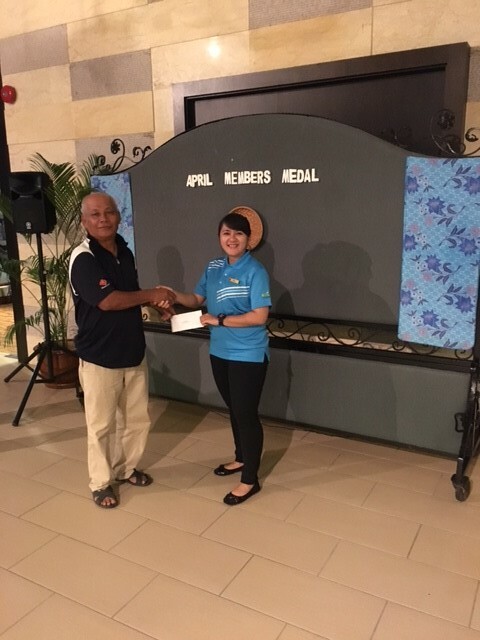 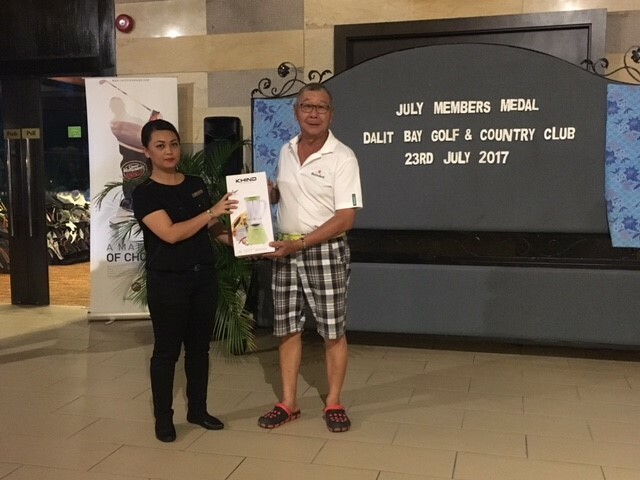 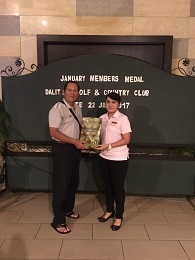 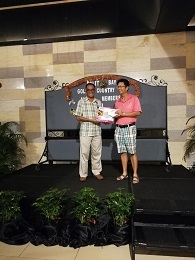 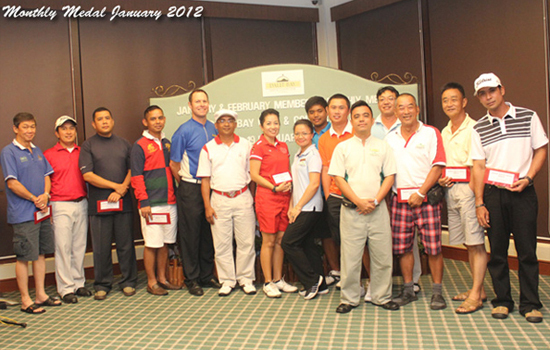 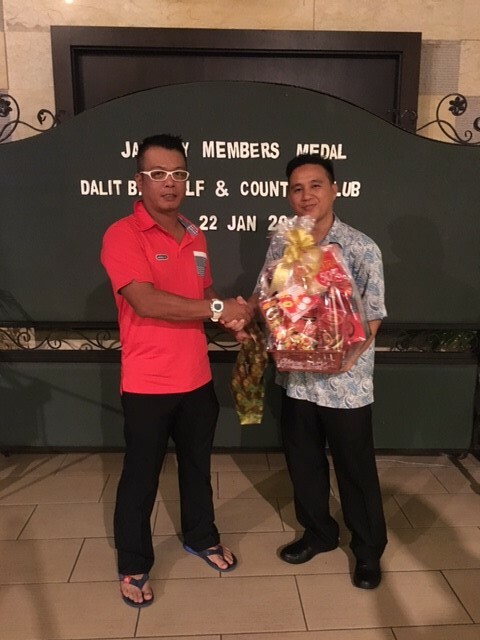 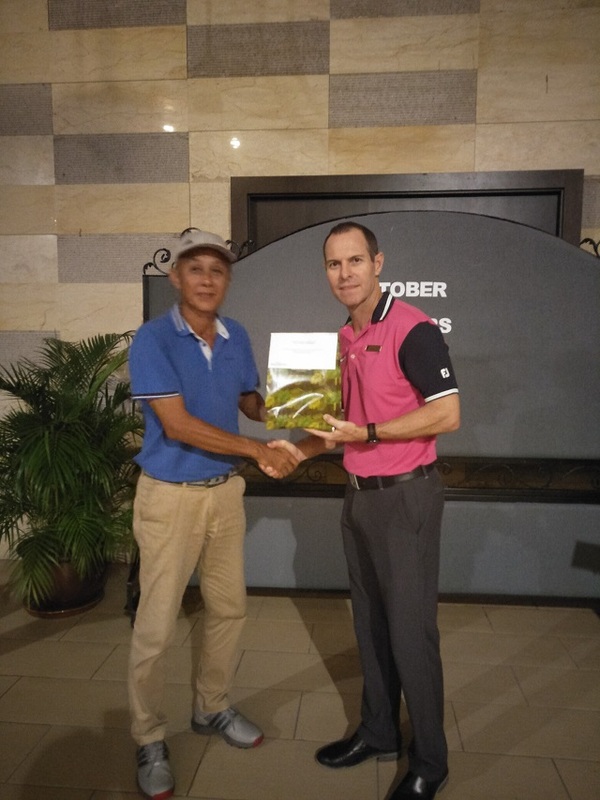 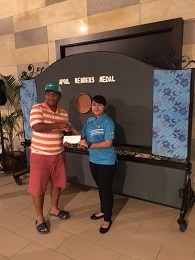 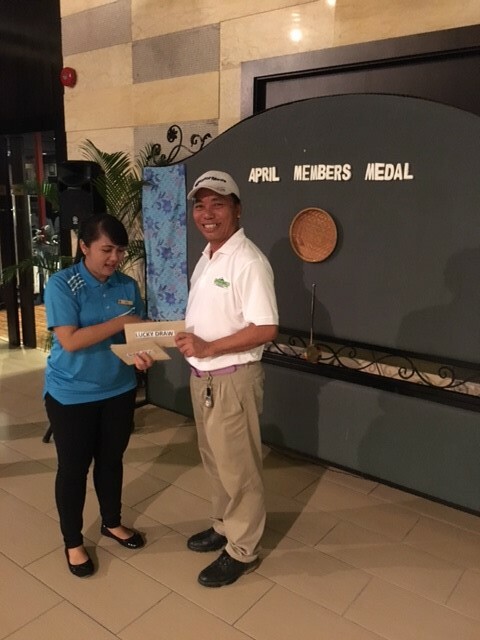 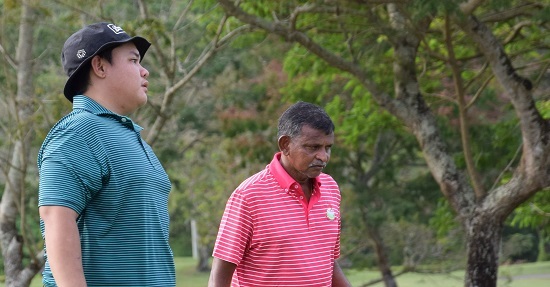 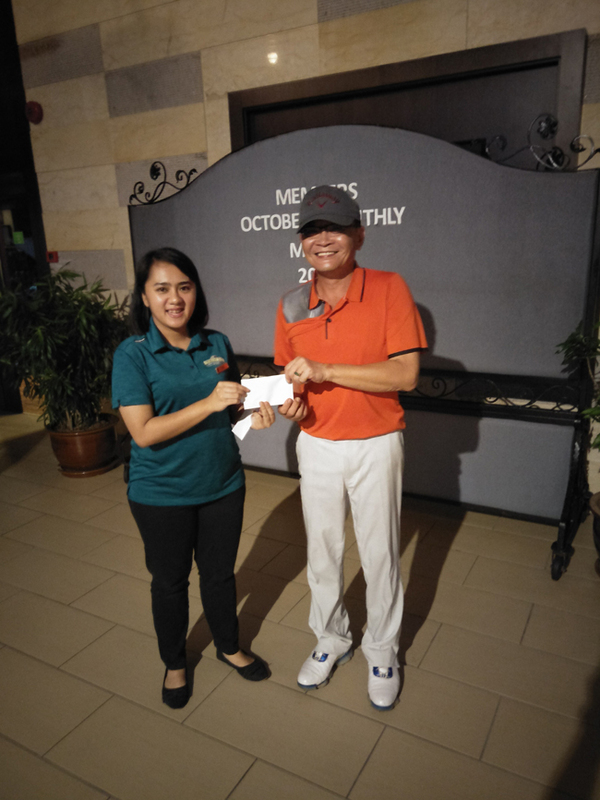 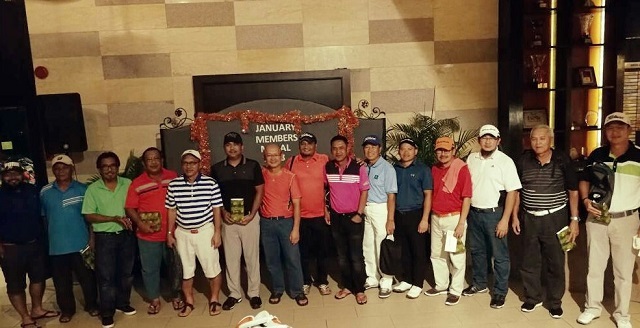 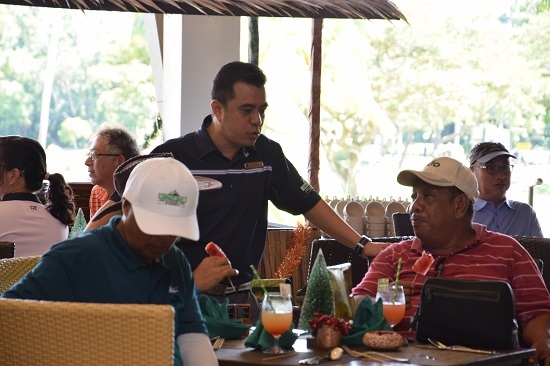 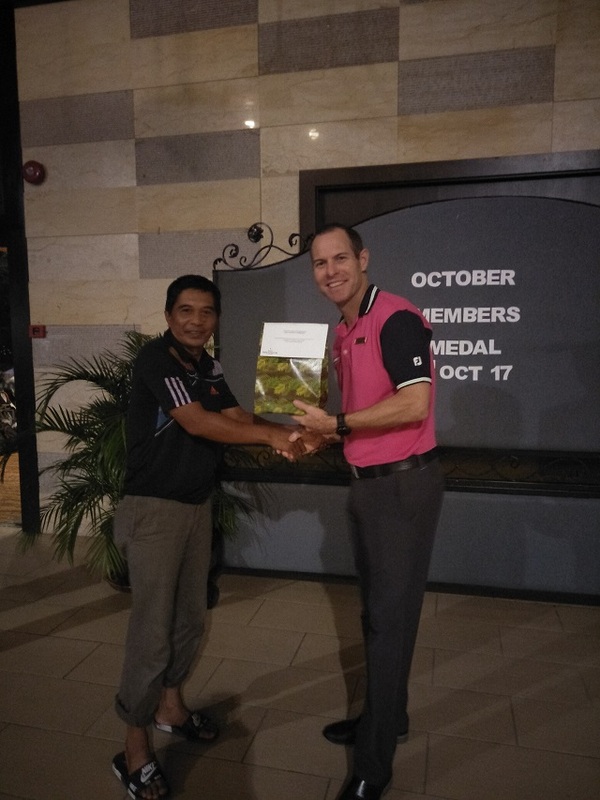 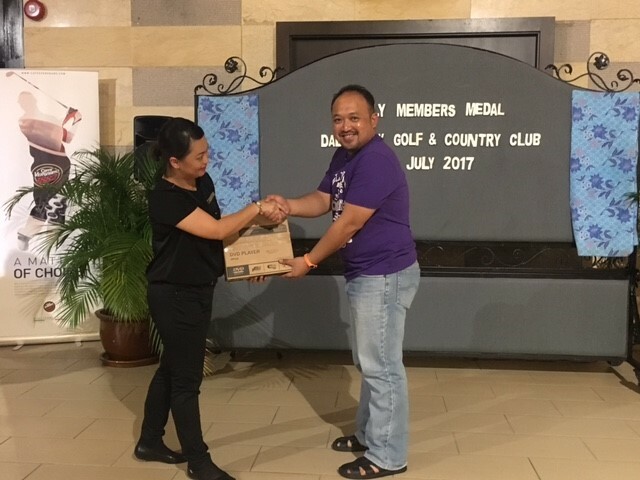 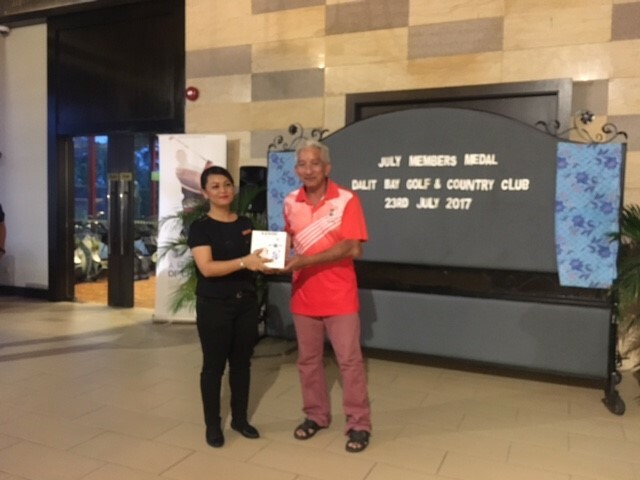 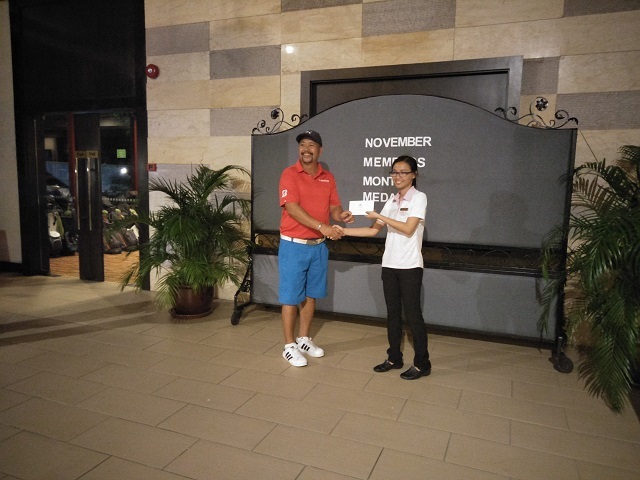 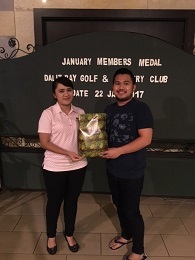 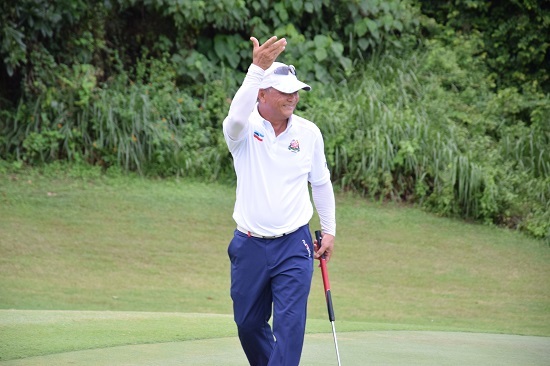 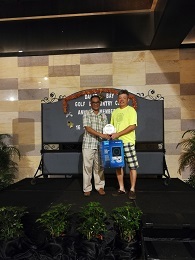 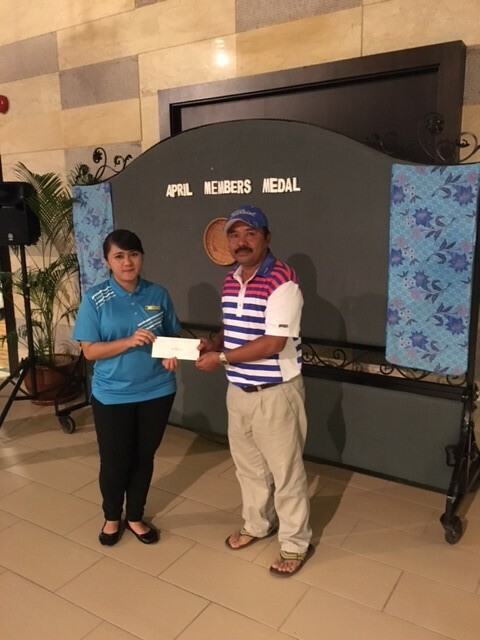 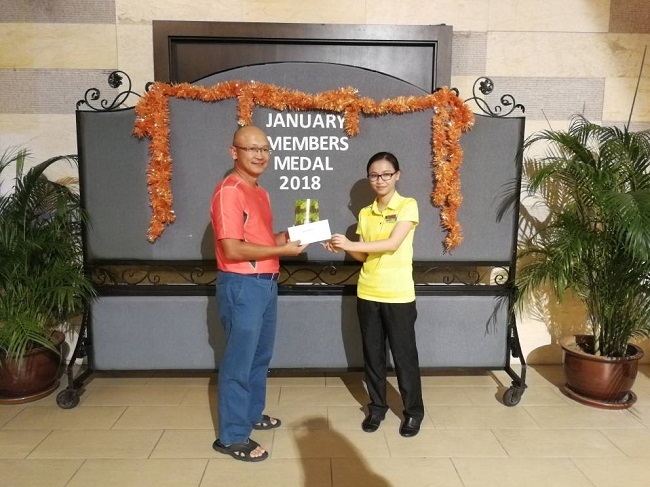 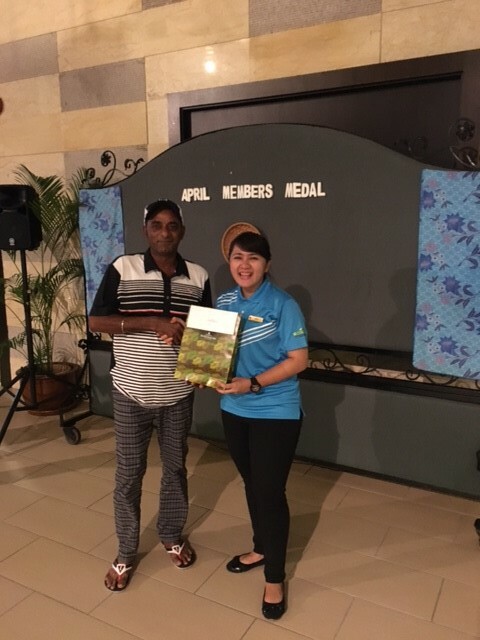 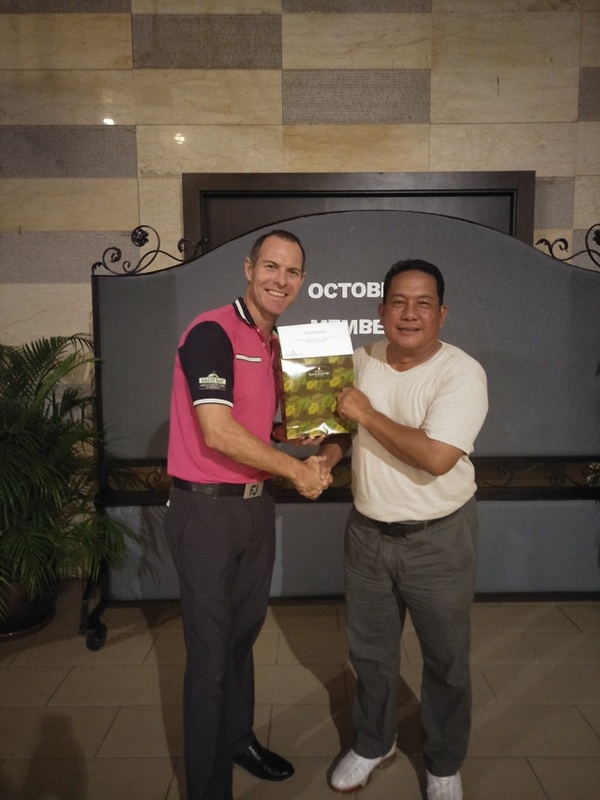 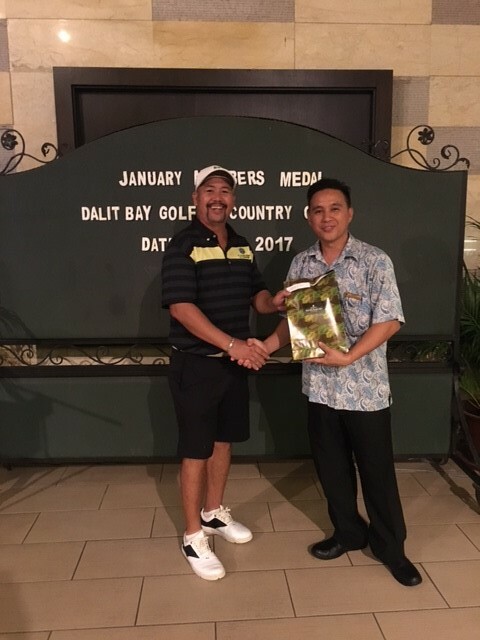 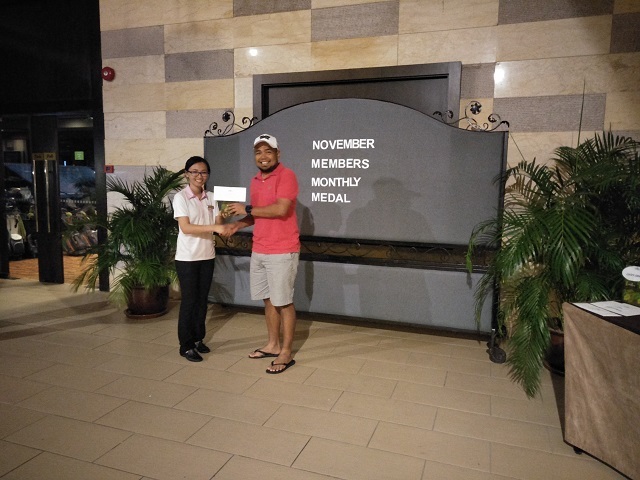 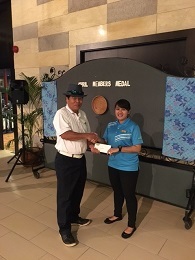 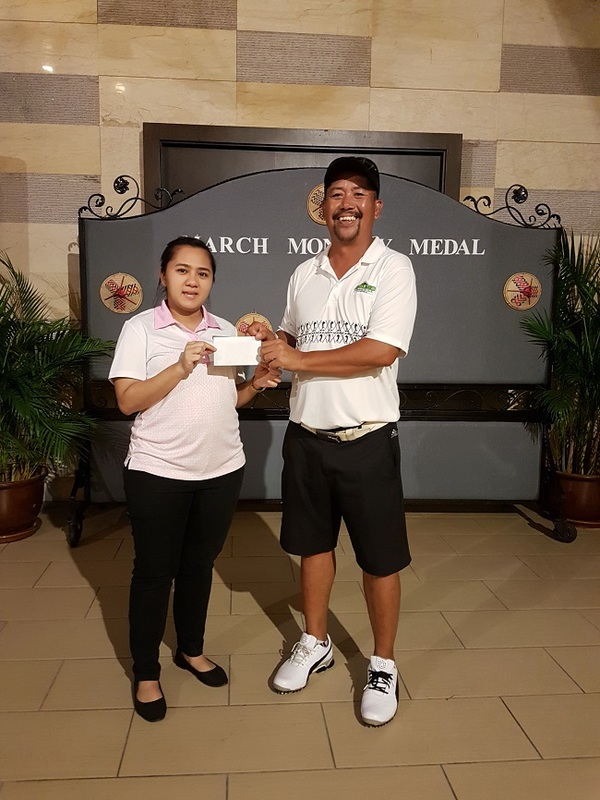 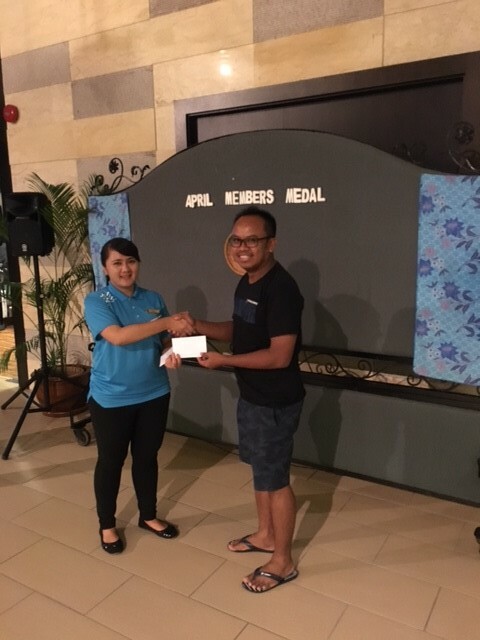 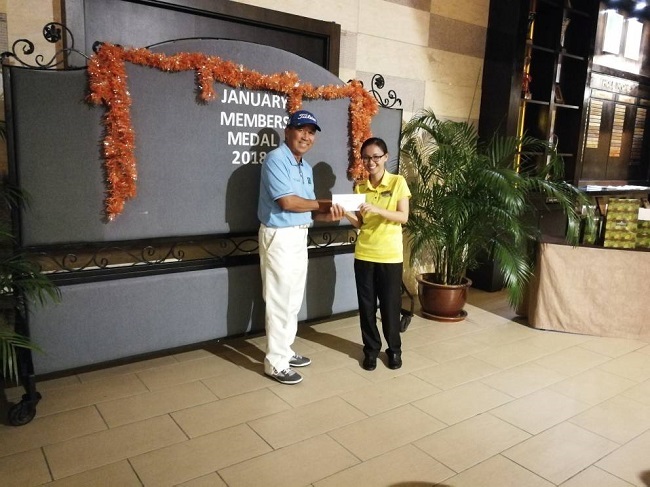 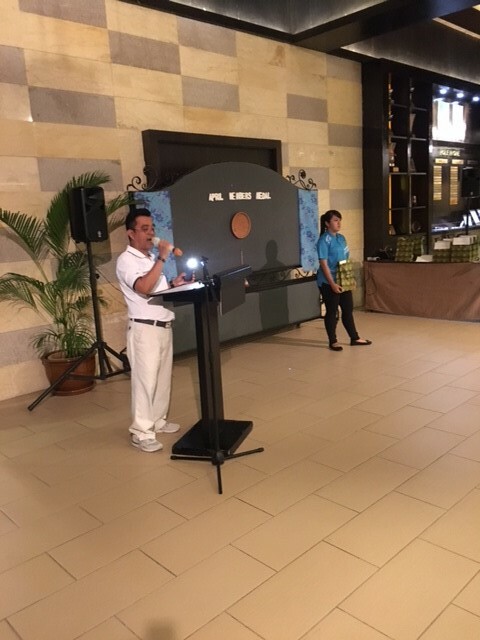 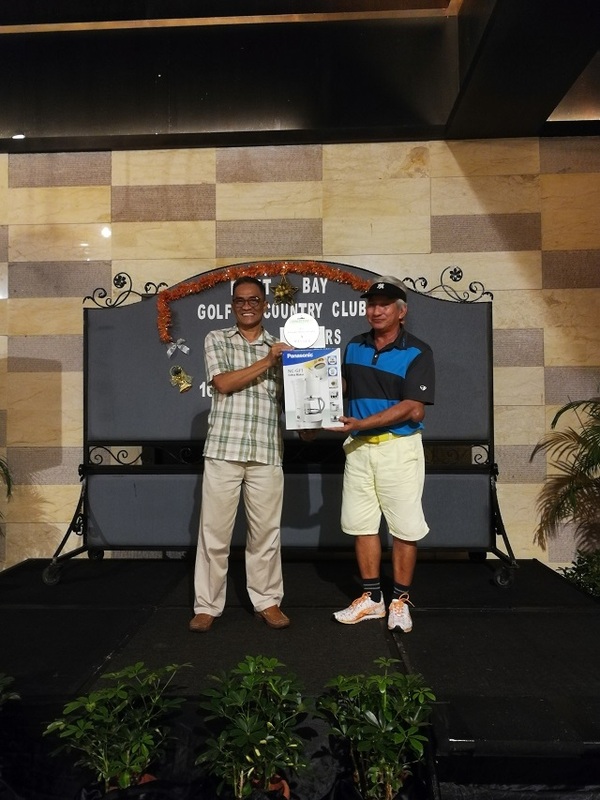 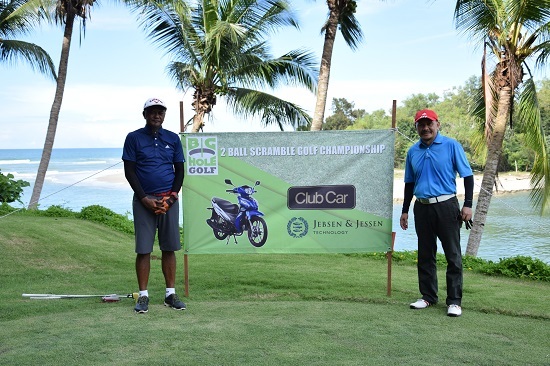 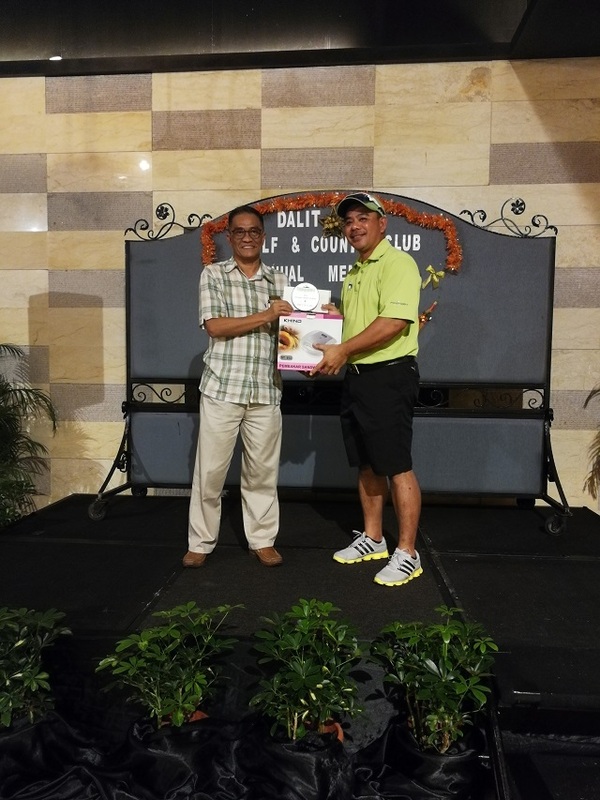 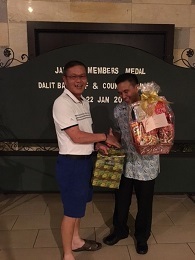 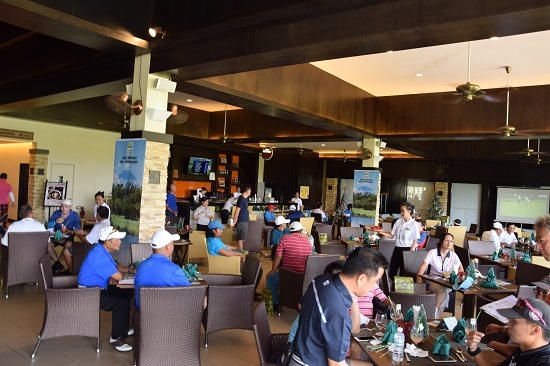 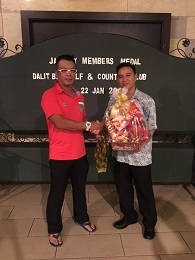 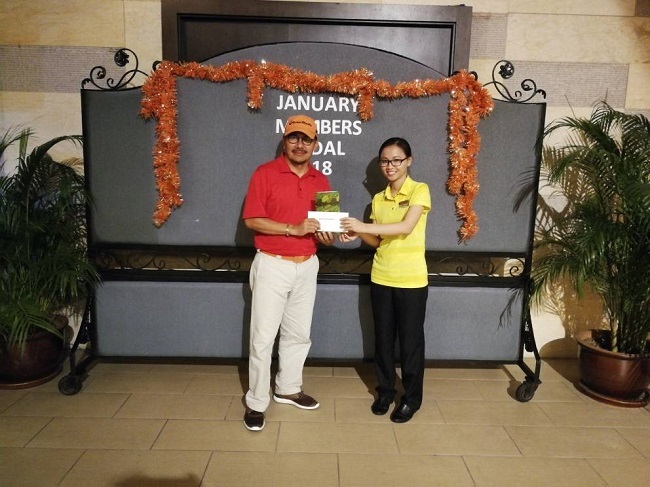 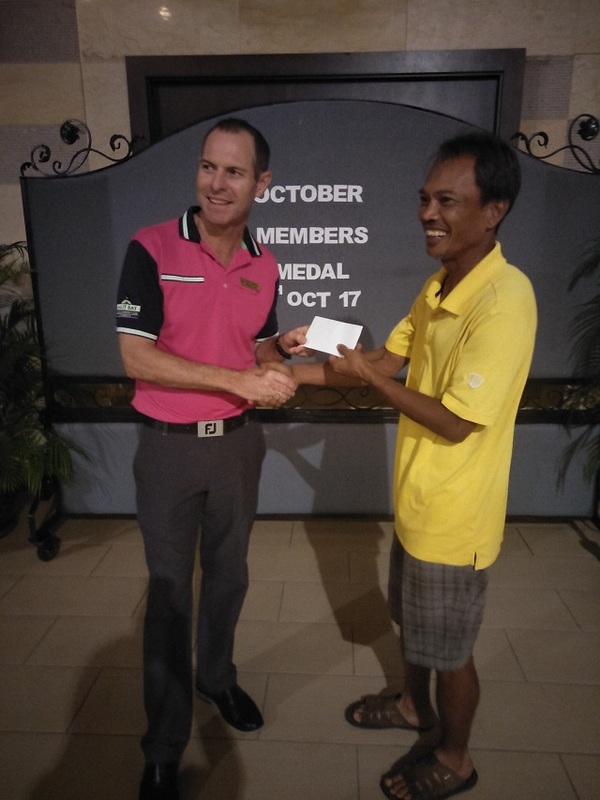 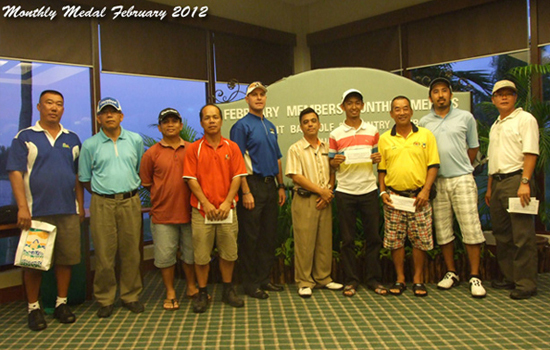 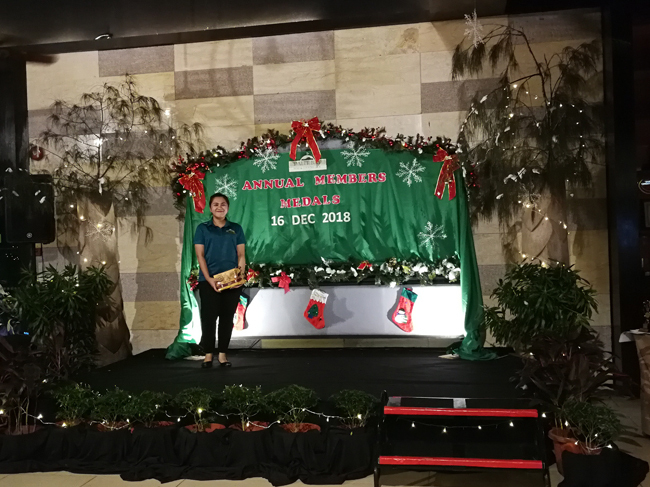 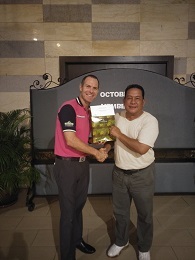 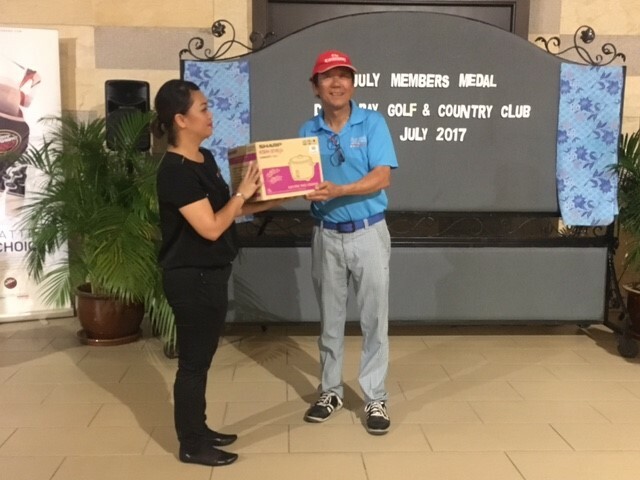 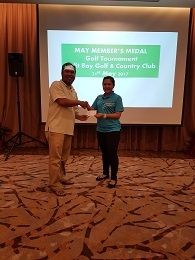 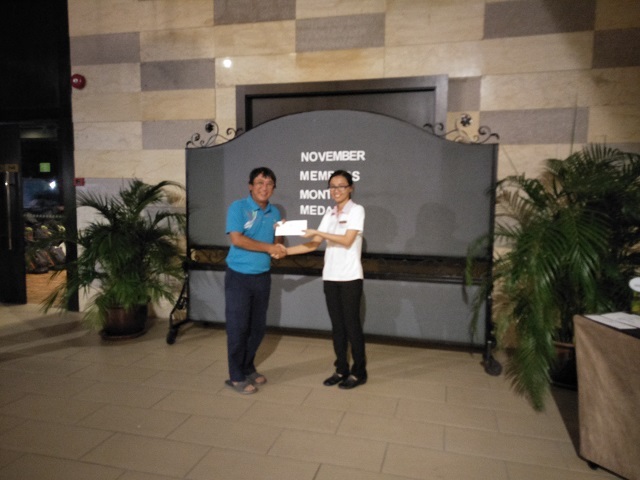 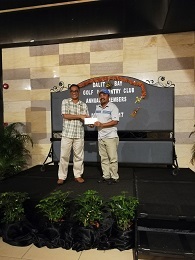 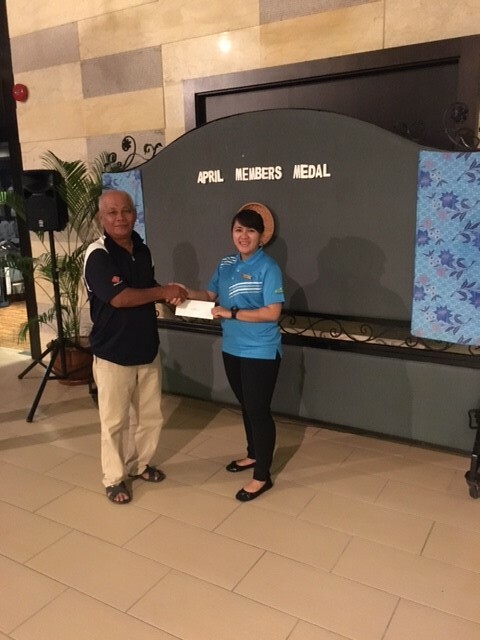 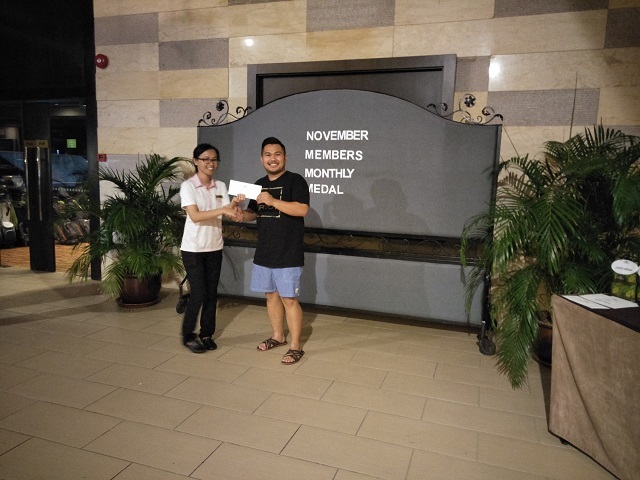 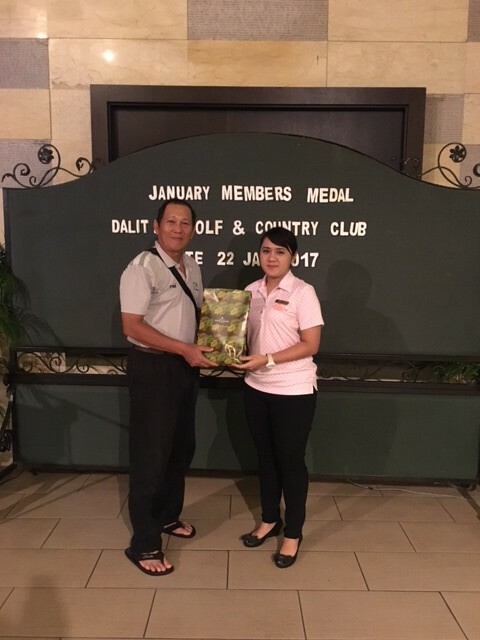 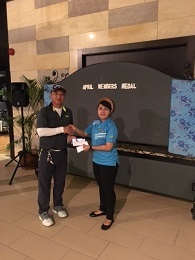 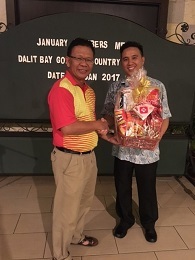 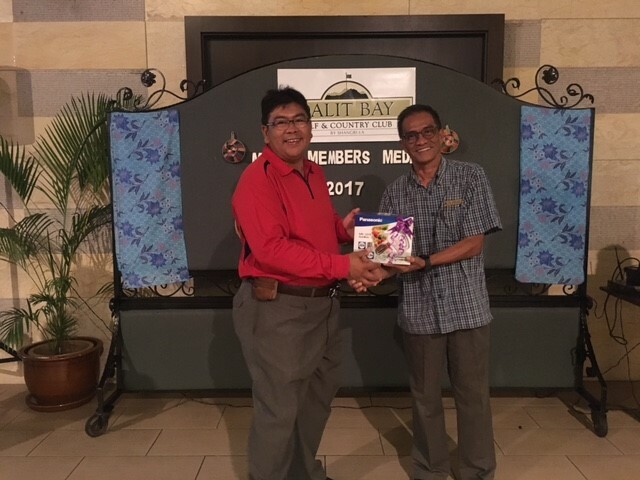 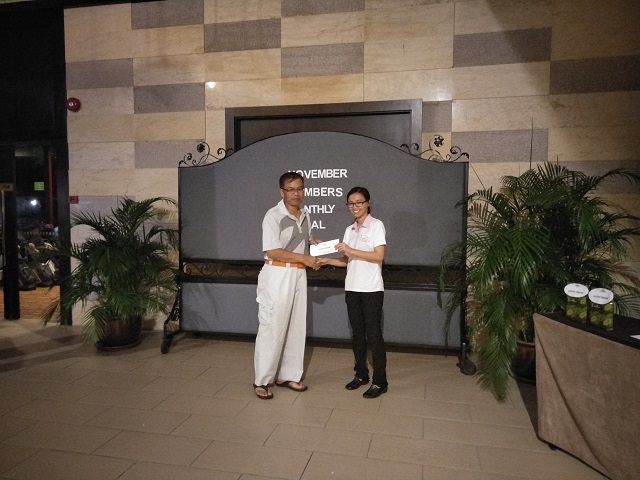 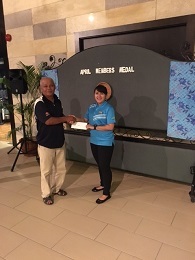 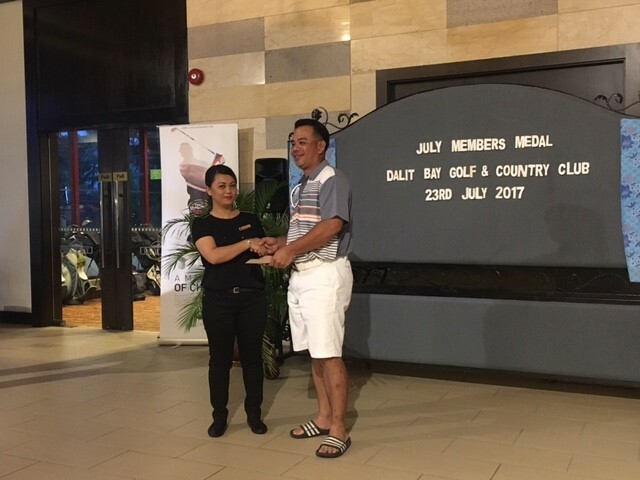 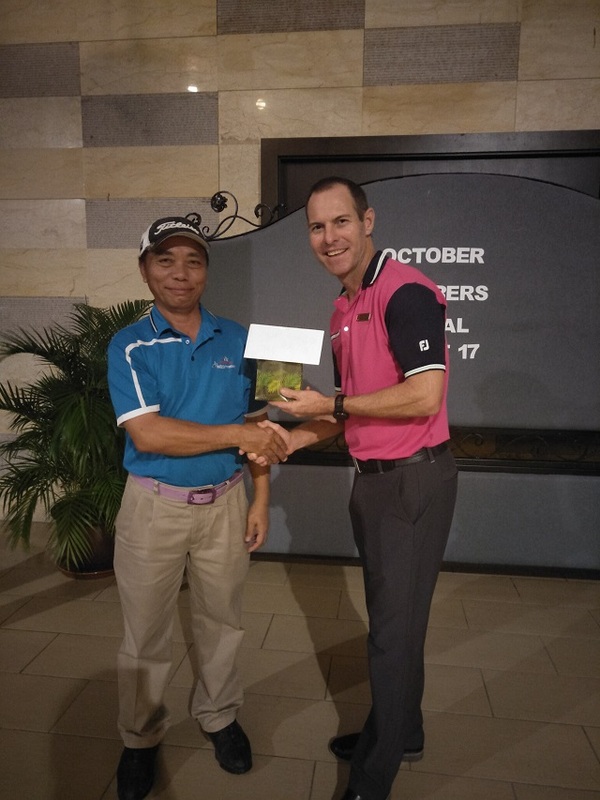 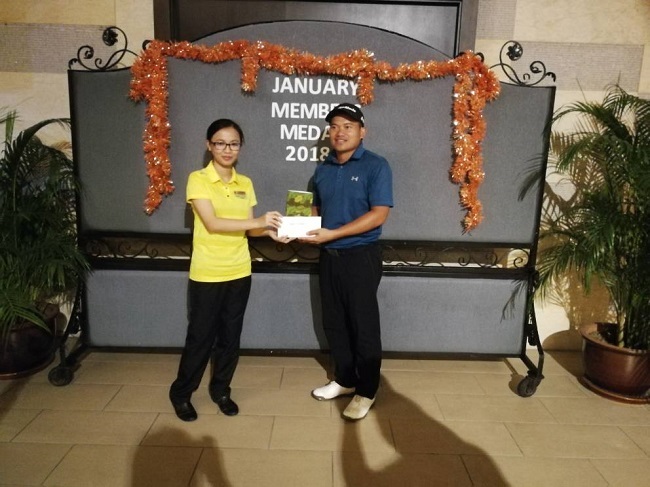 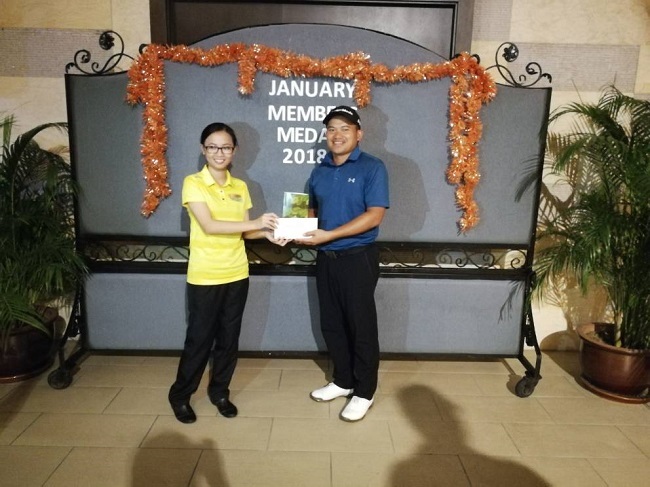 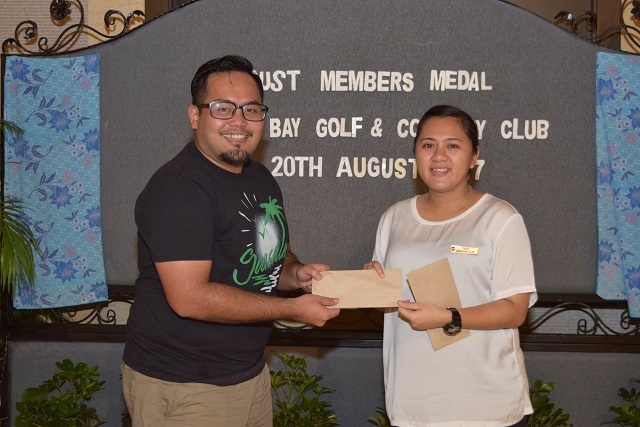 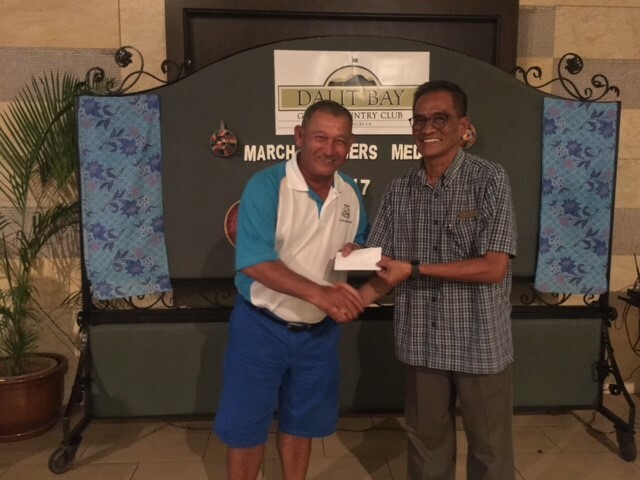 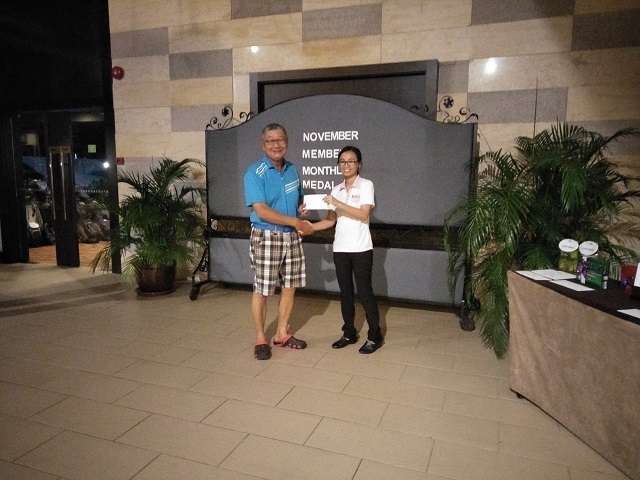 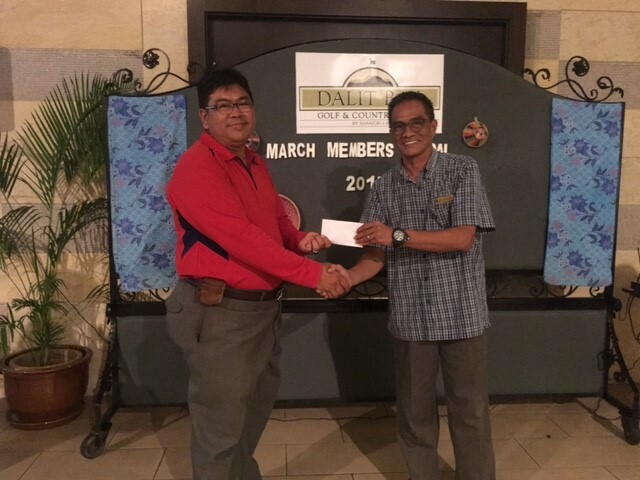 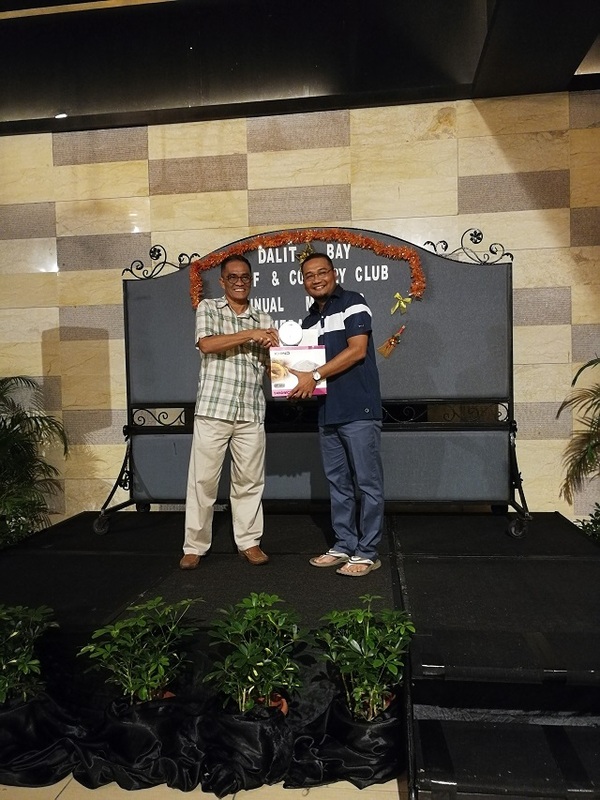 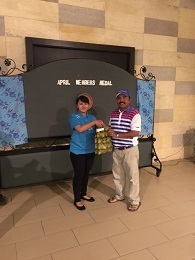 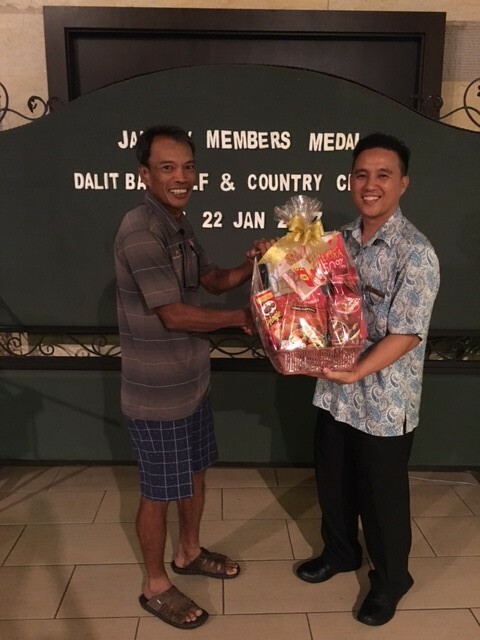 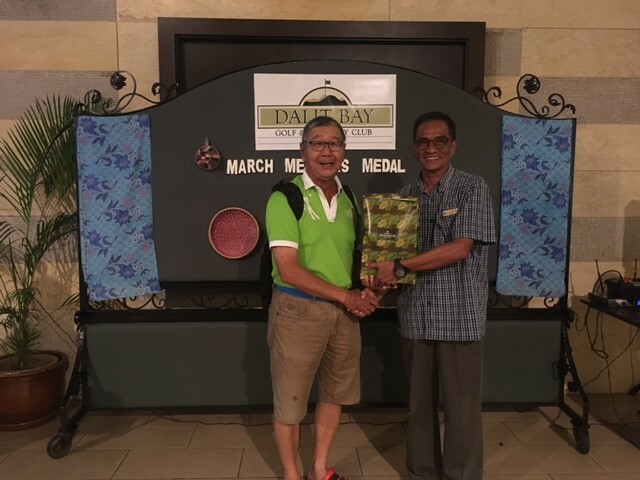 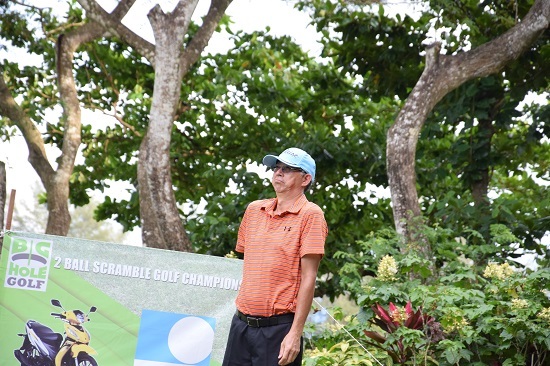 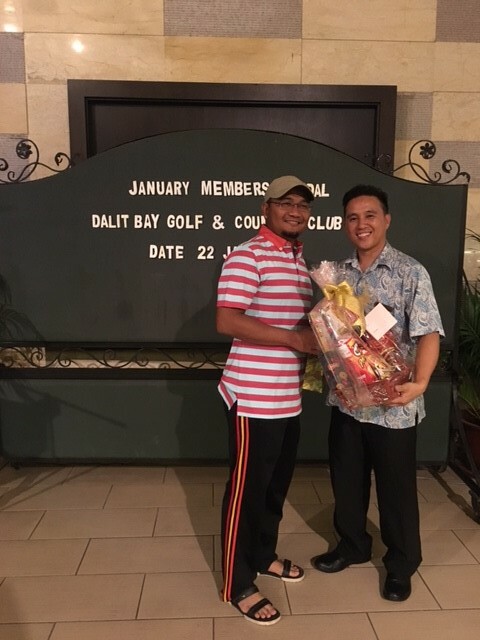 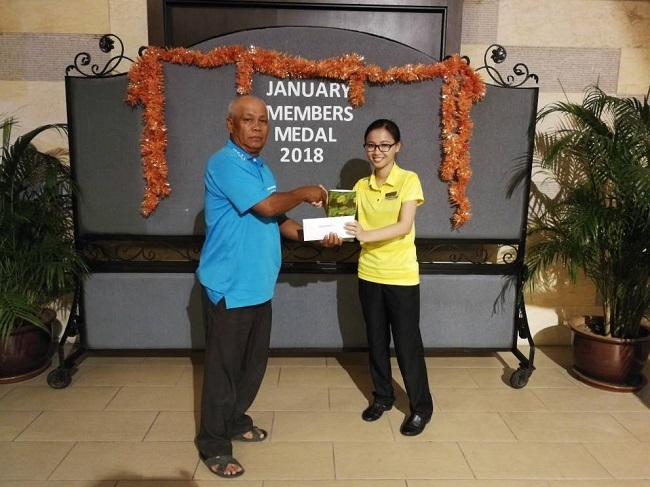 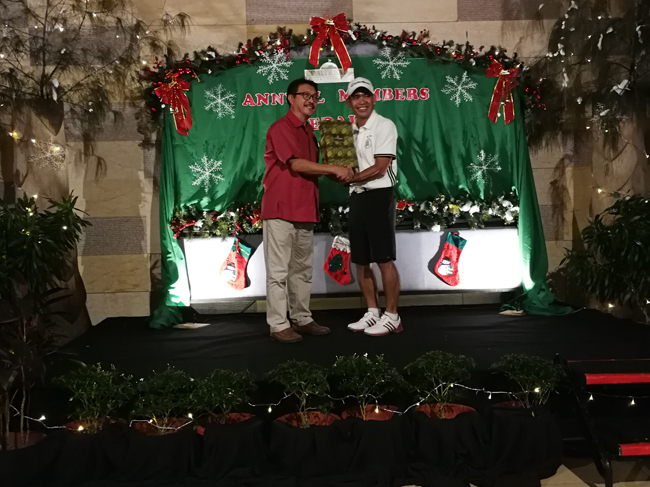 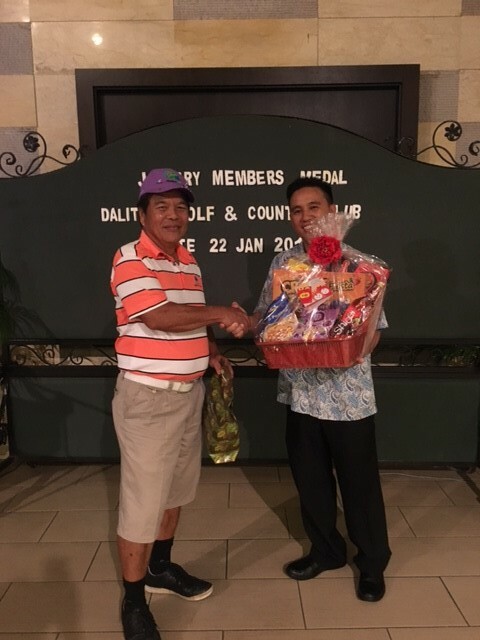 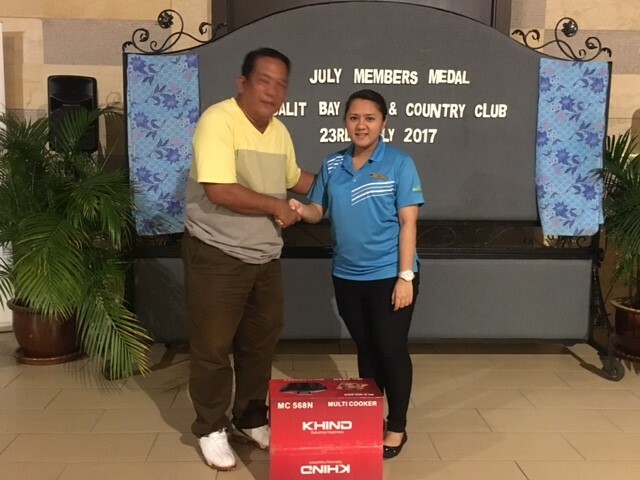 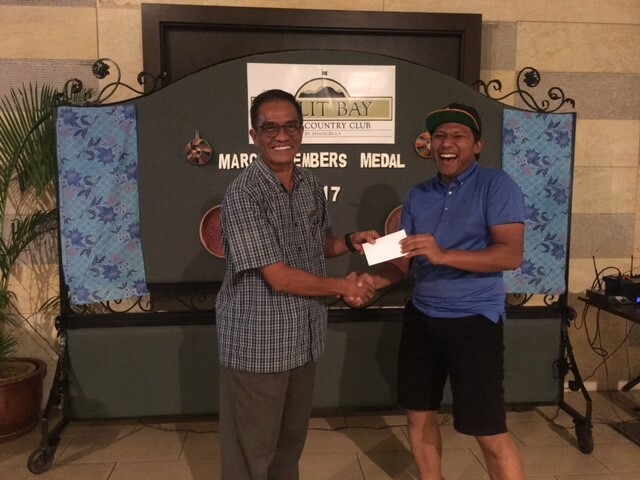 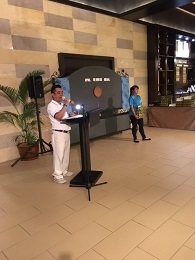 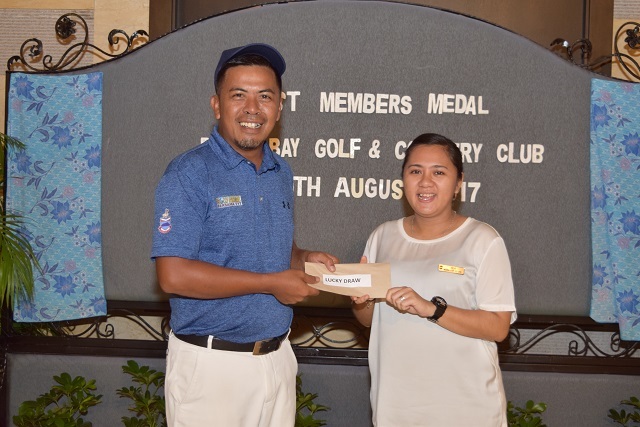 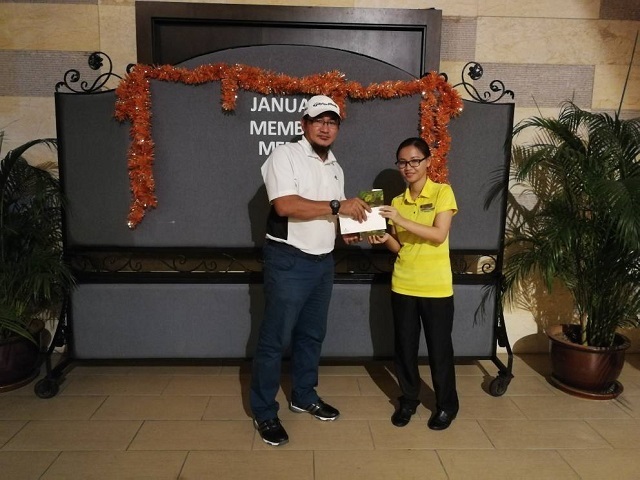 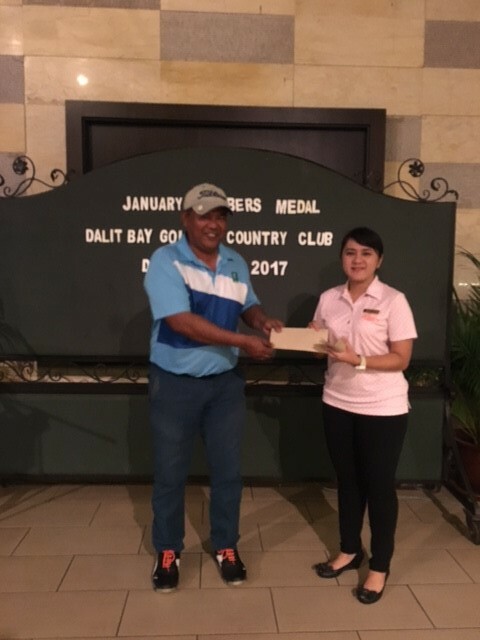 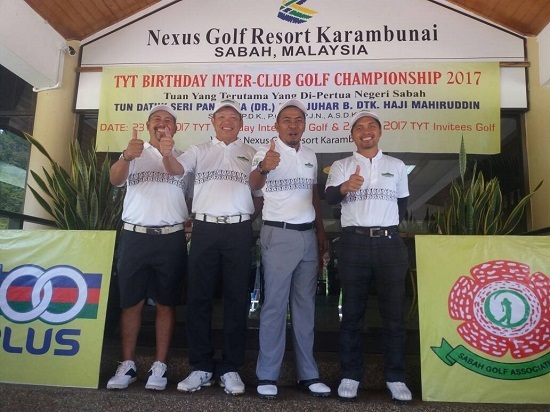 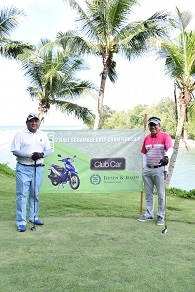 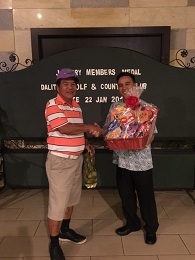 The president of Sabah Golf Association Datuk, George Bandusena, and the resort’s general manager, Jonathan Reynolds, kicked off the event. 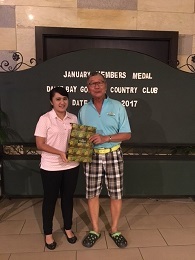 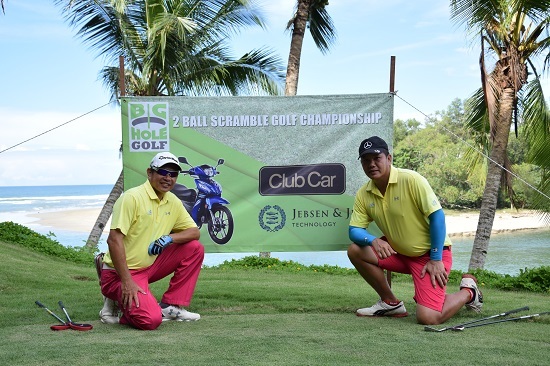 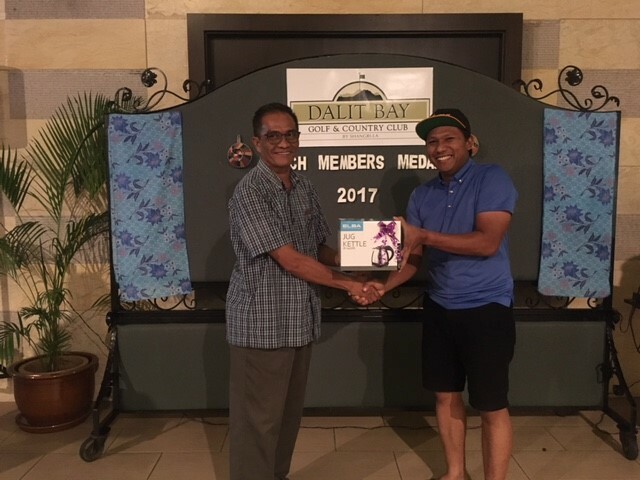 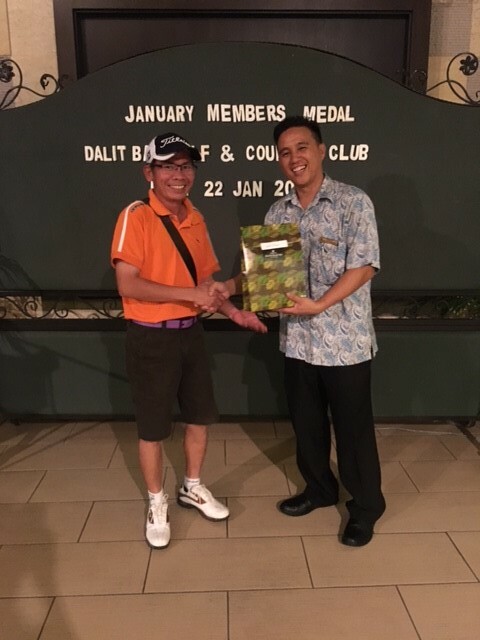 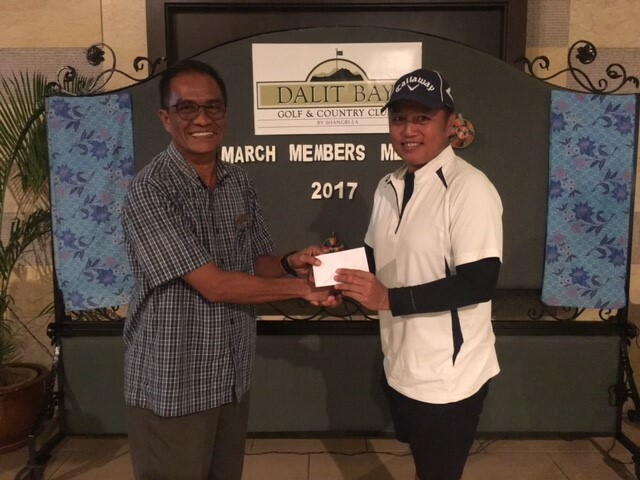 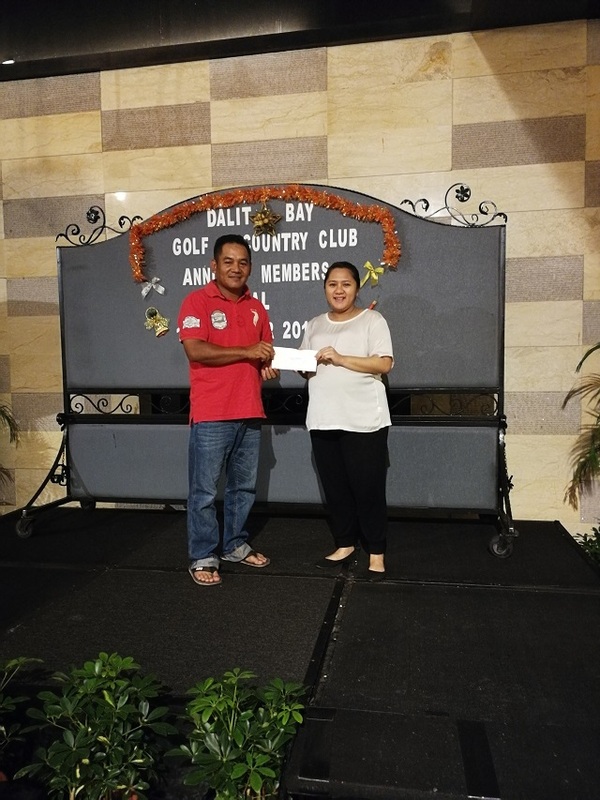 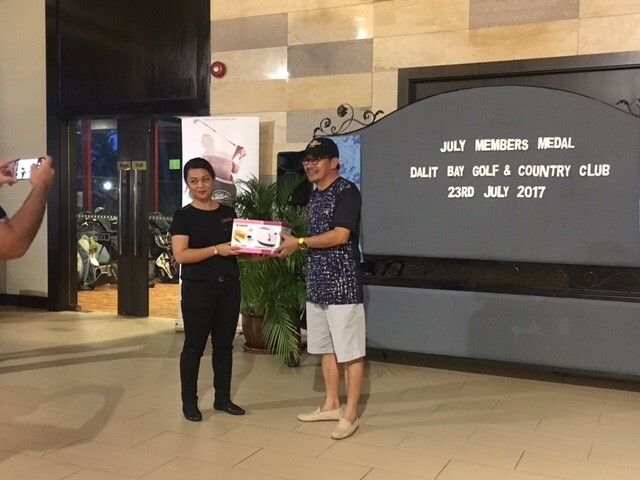 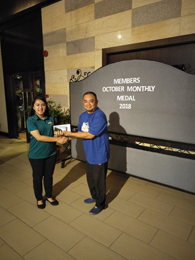 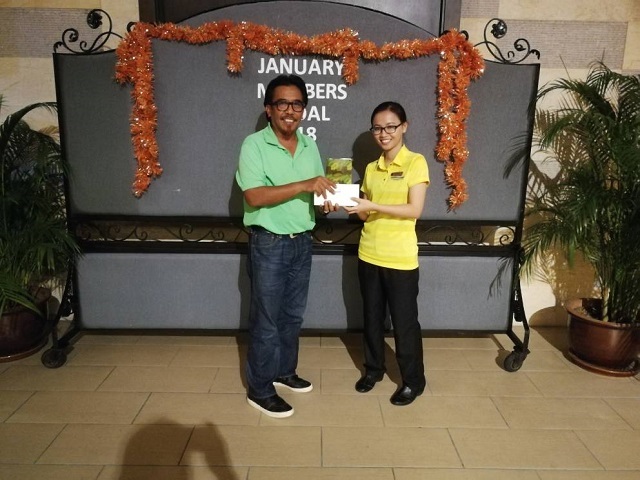 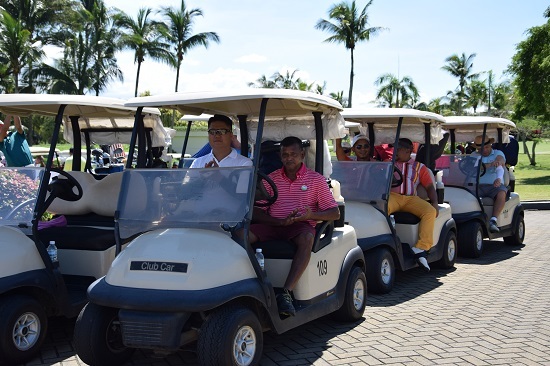 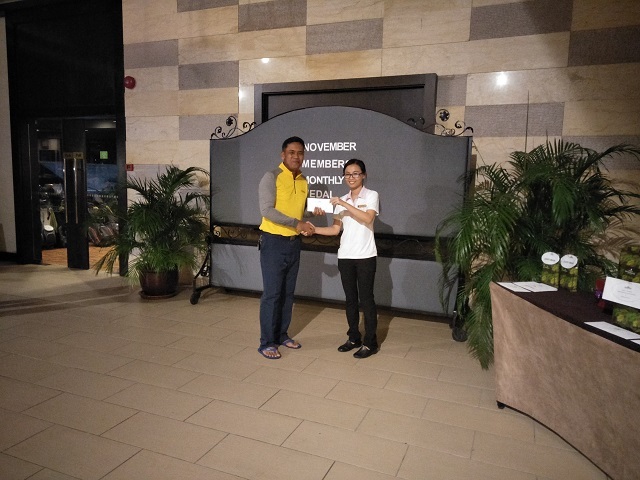 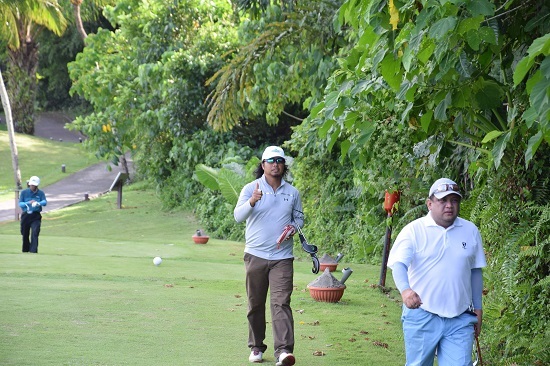 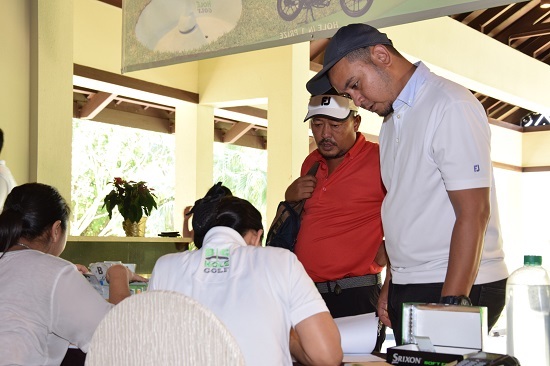 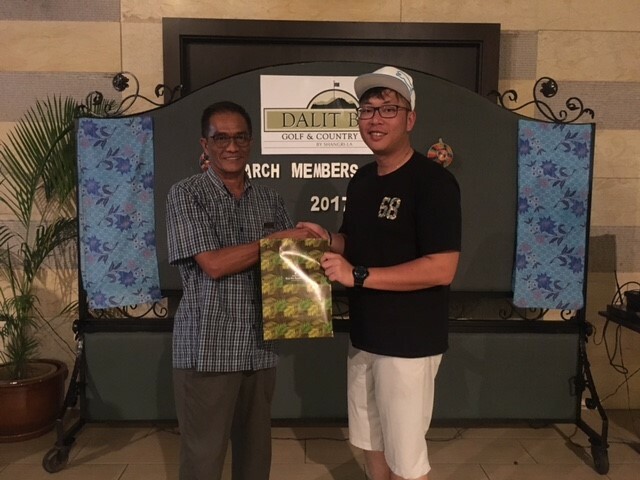 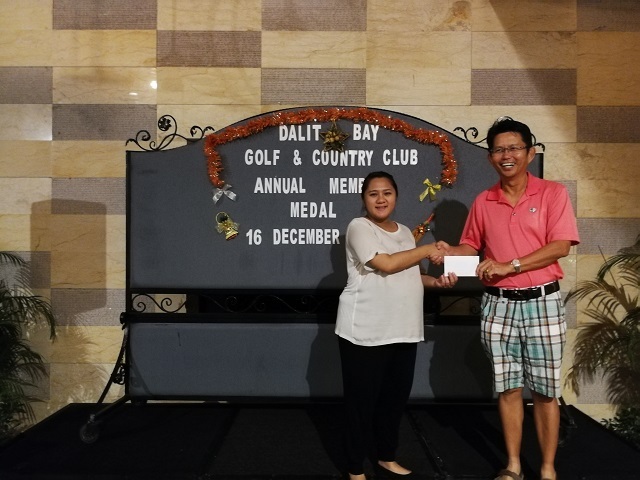 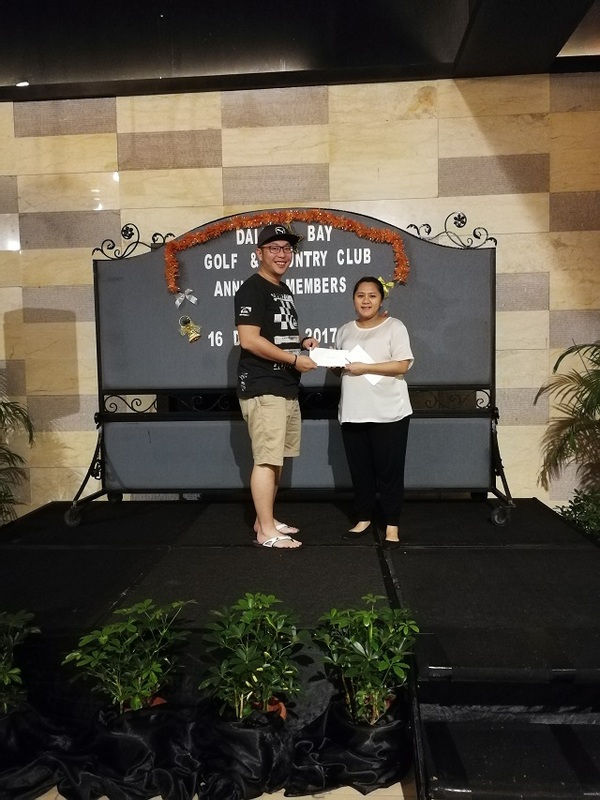 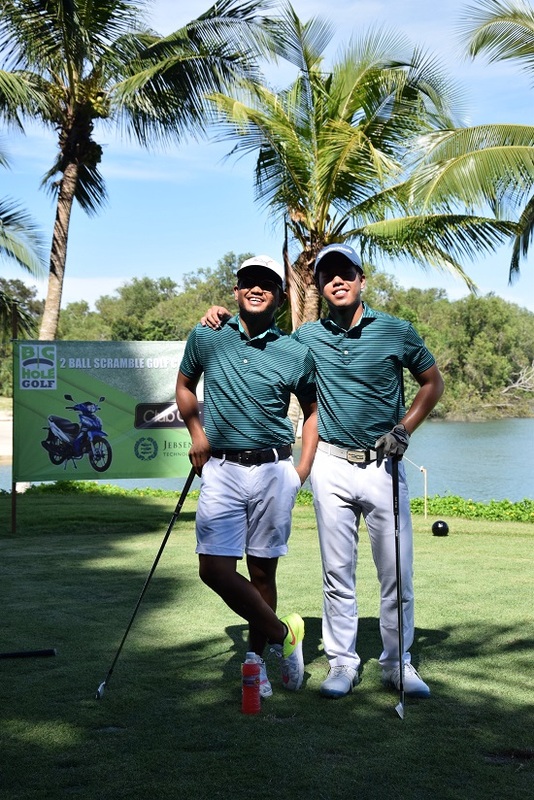 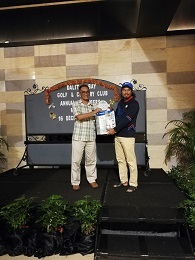 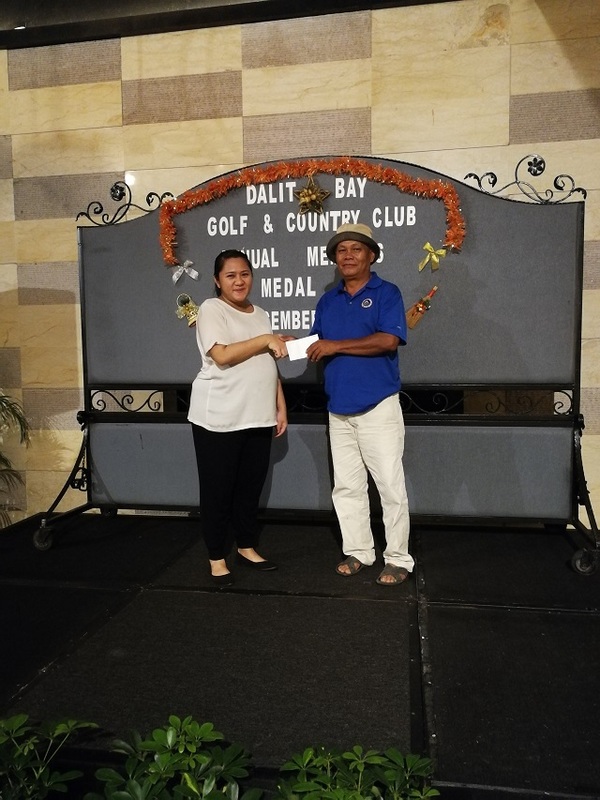 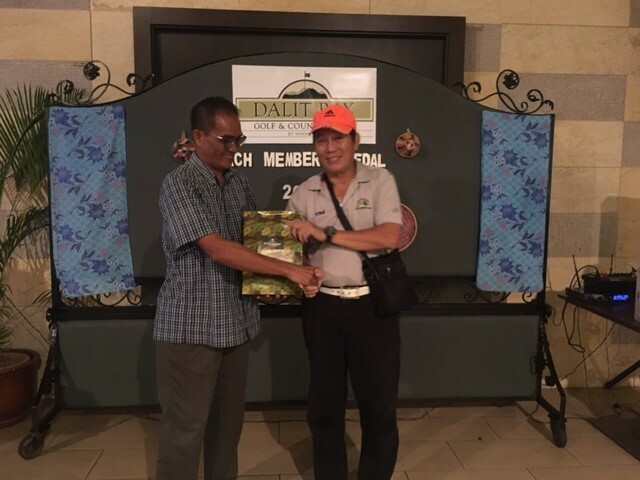 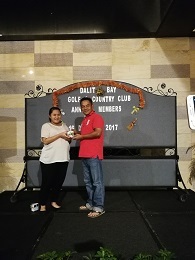 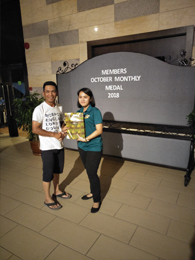 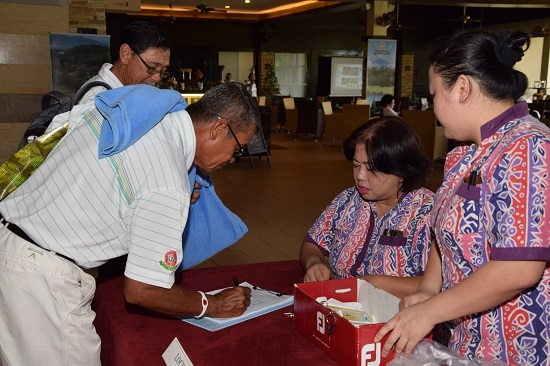 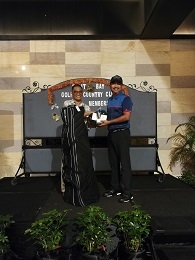 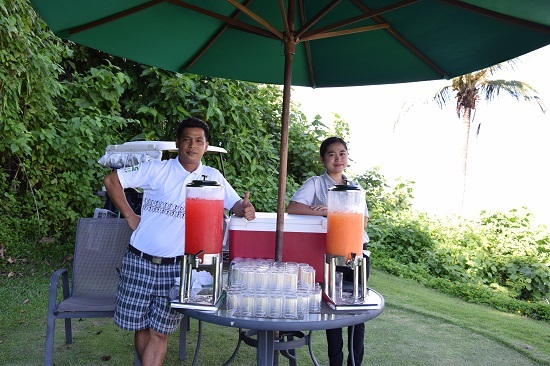 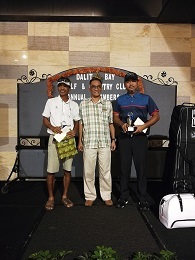 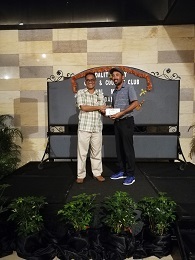 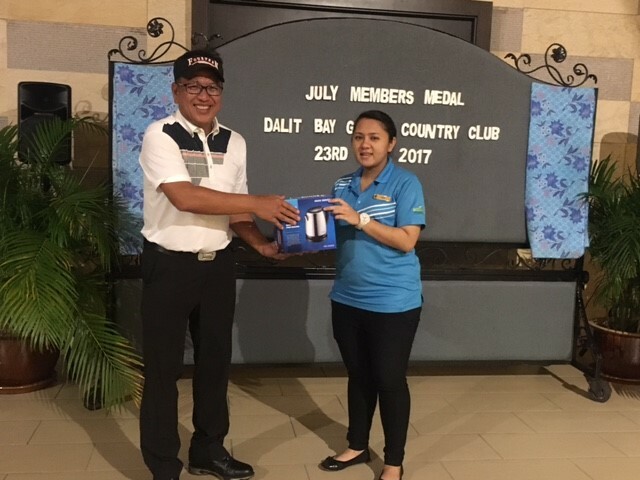 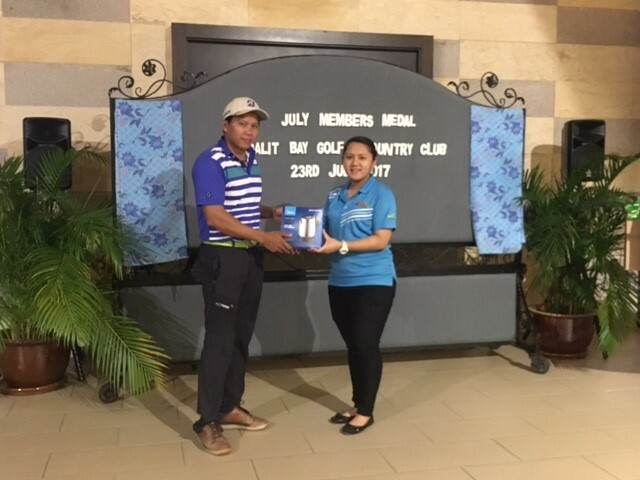 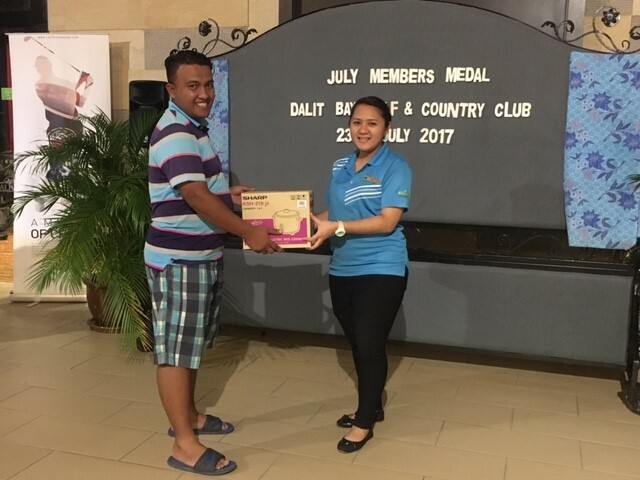 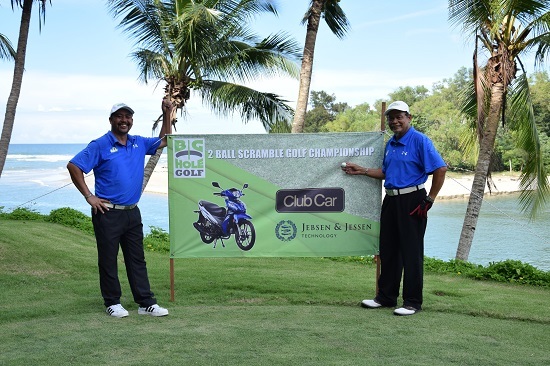 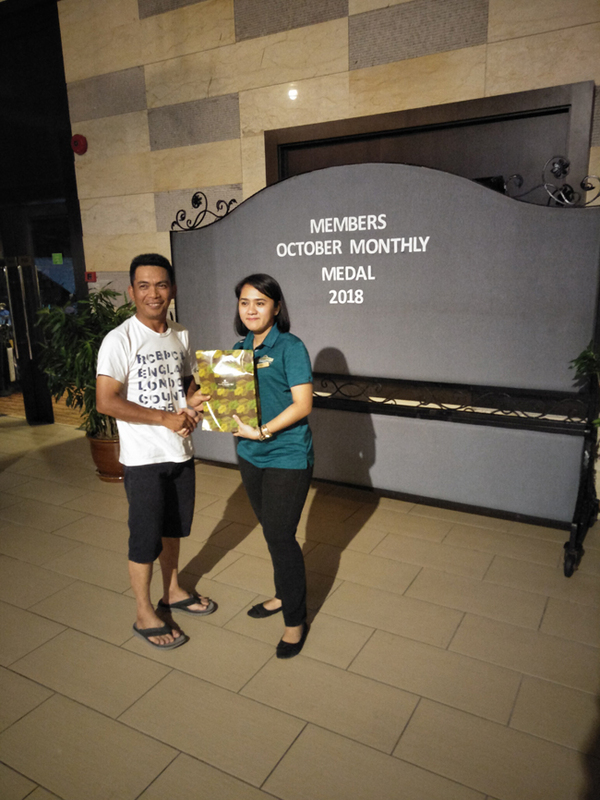 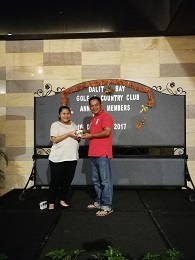 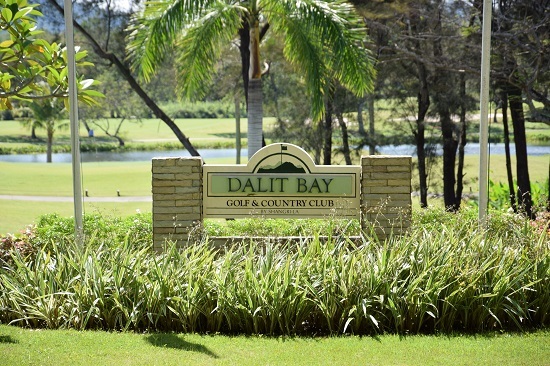 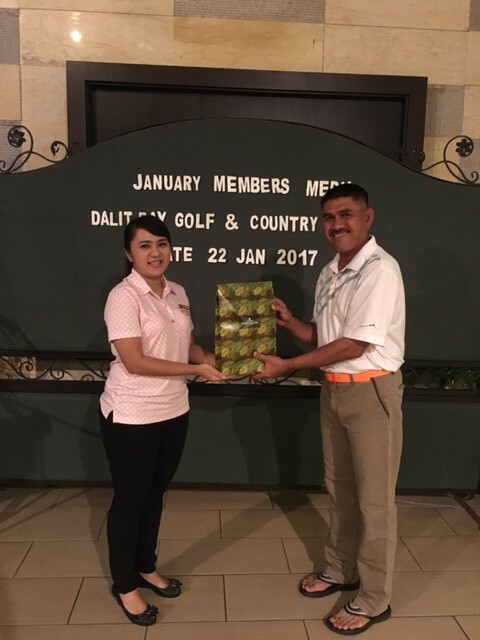 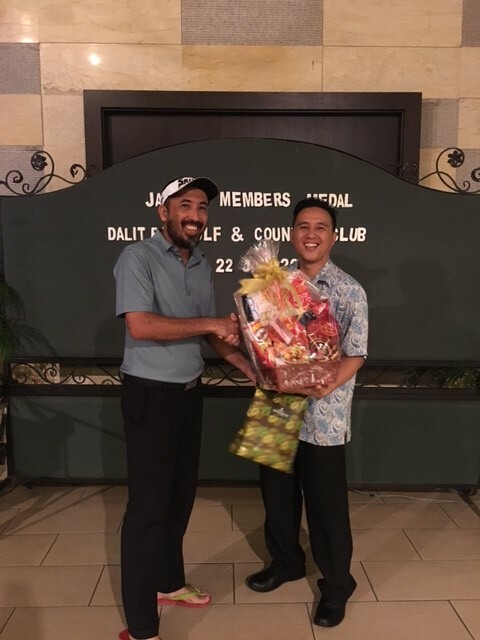 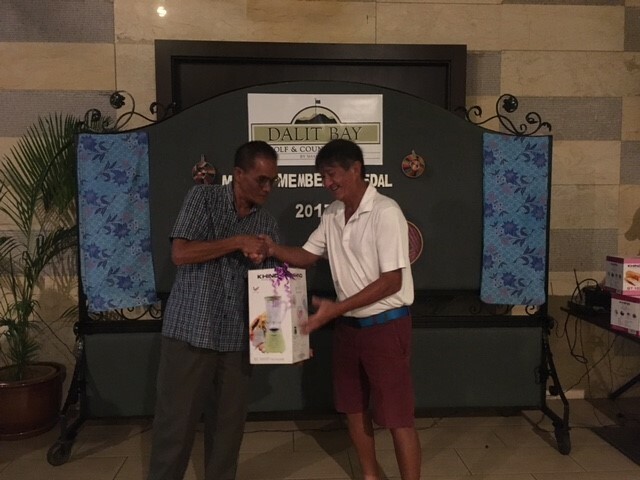 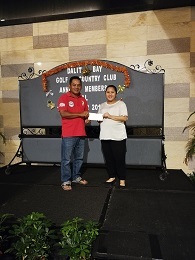 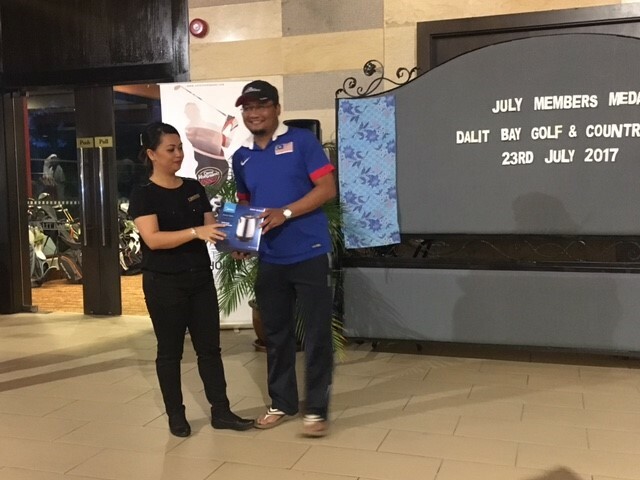 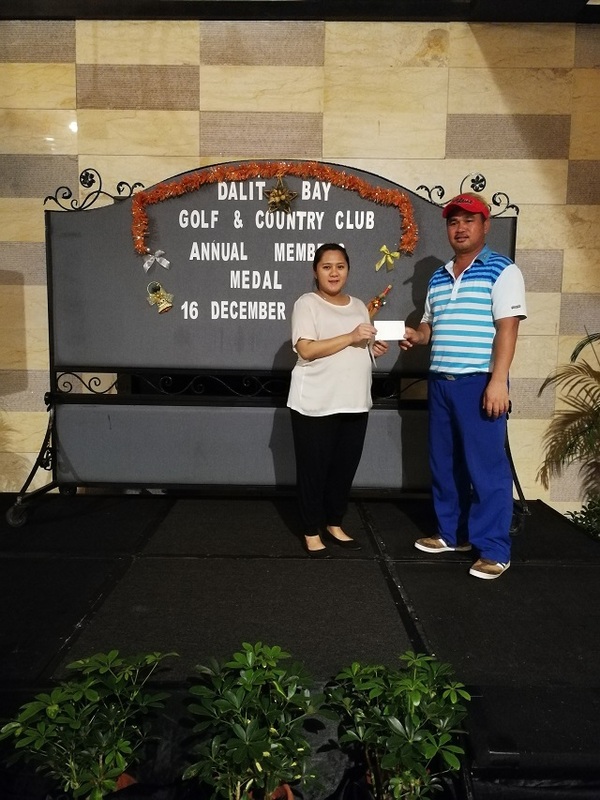 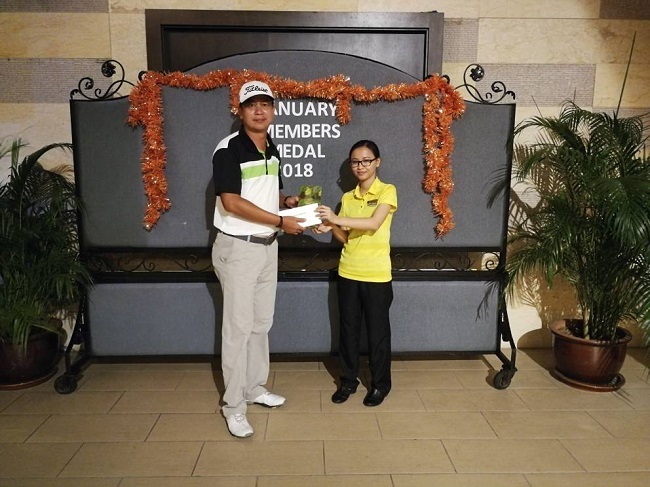 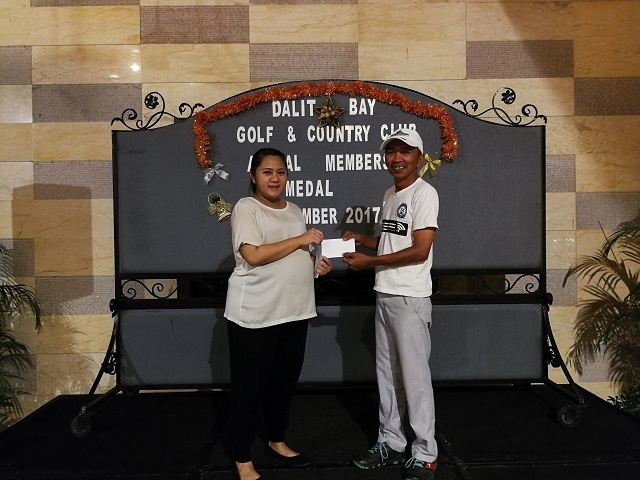 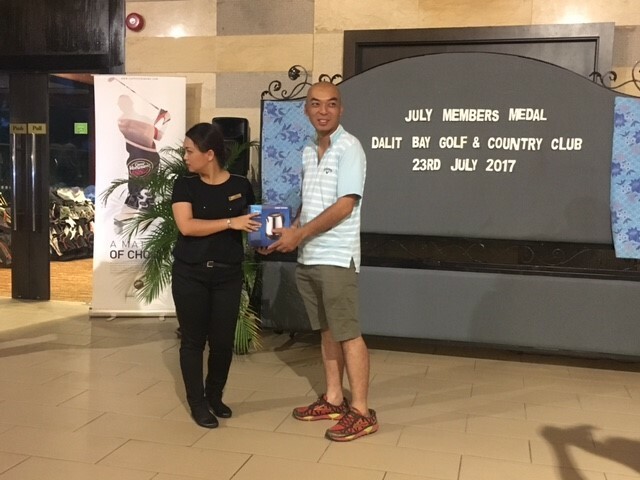 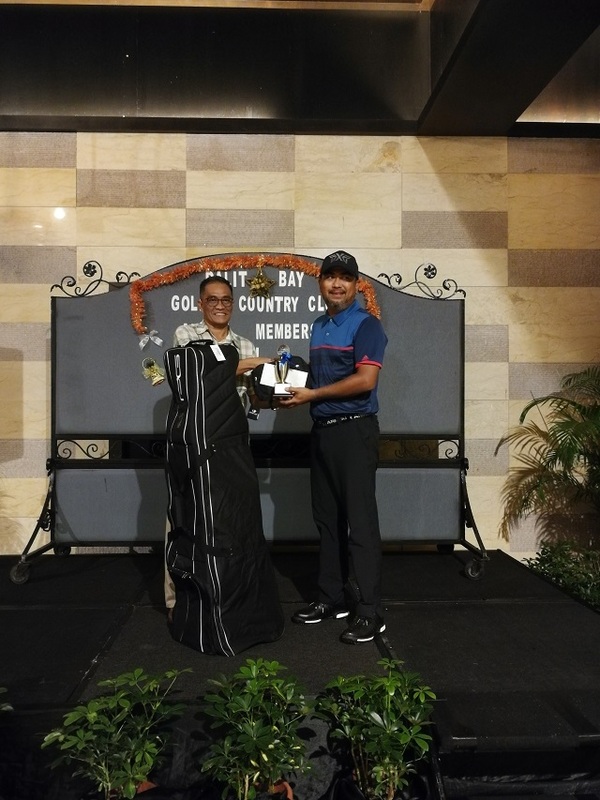 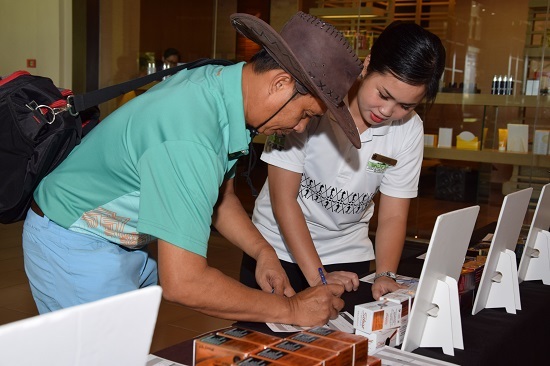 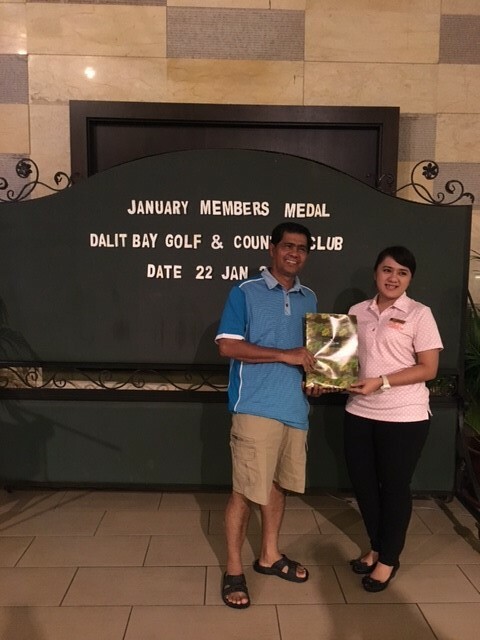 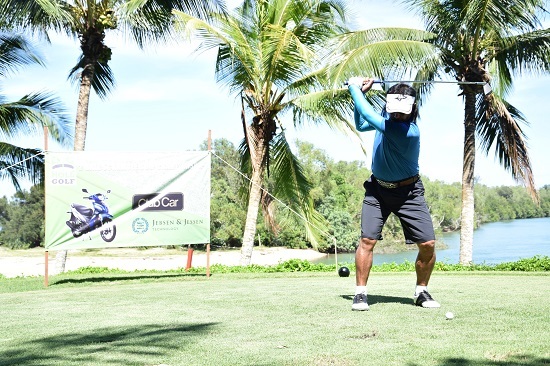 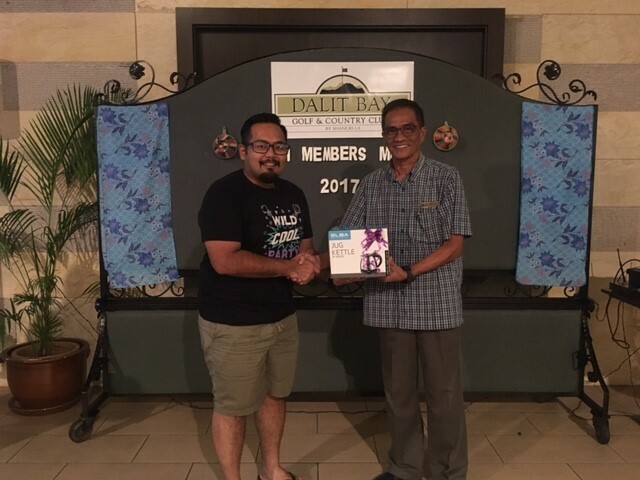 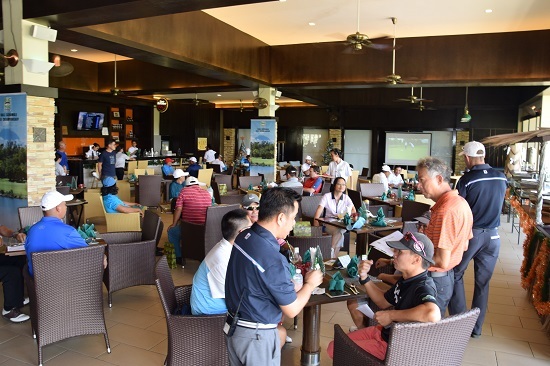 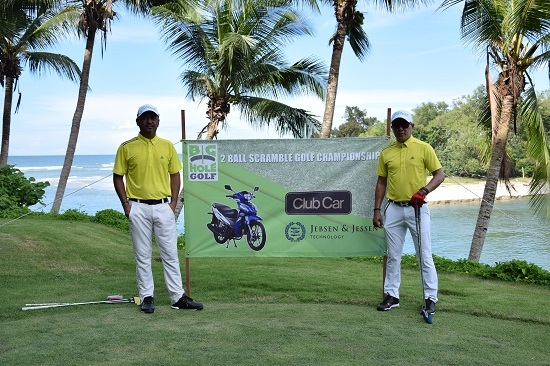 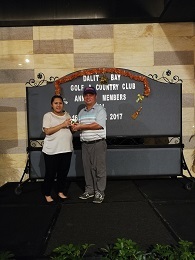 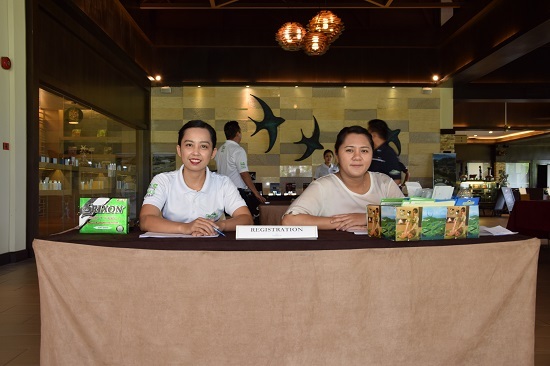 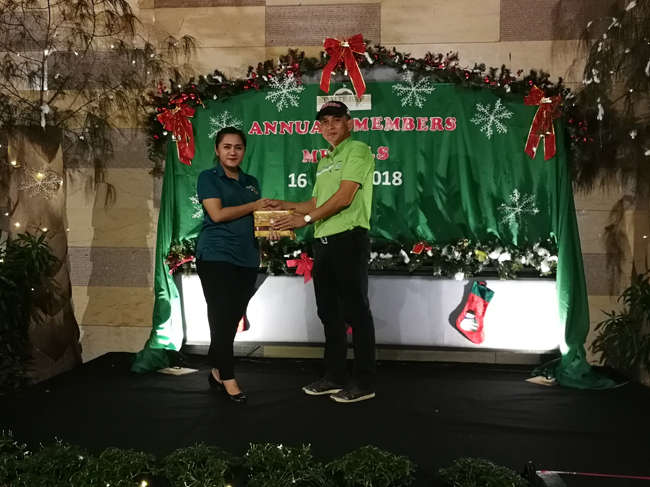 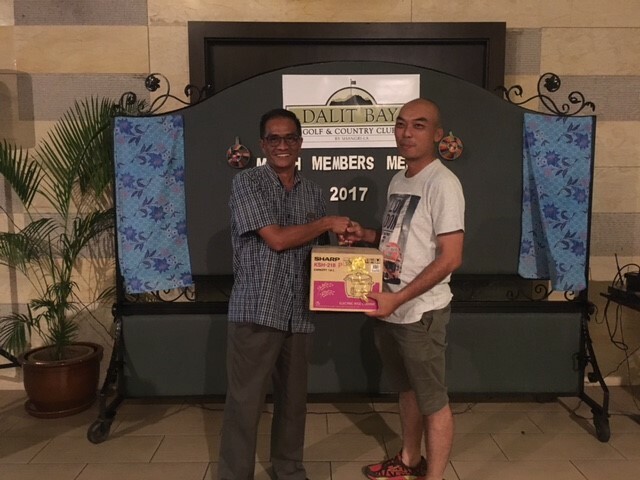 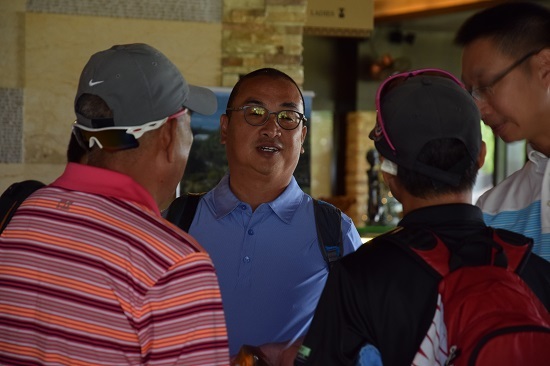 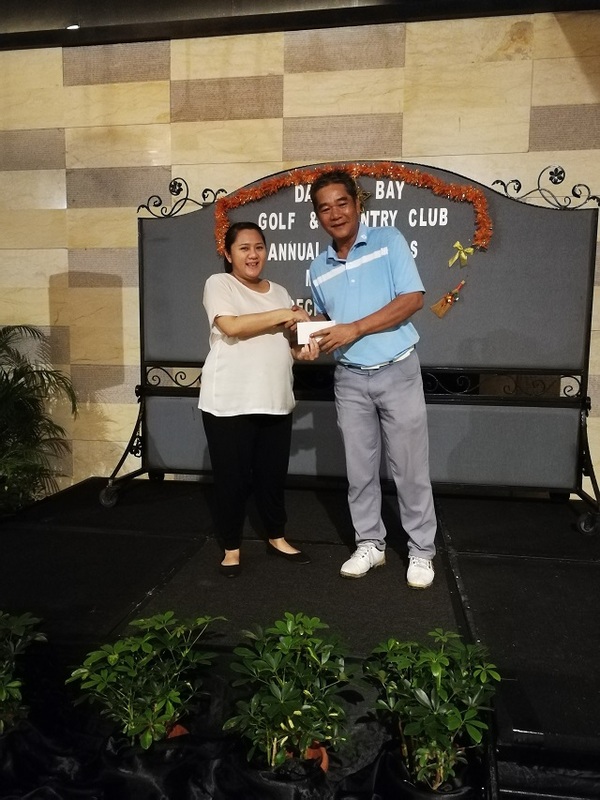 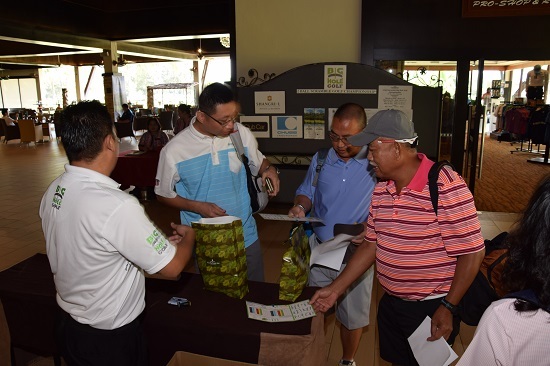 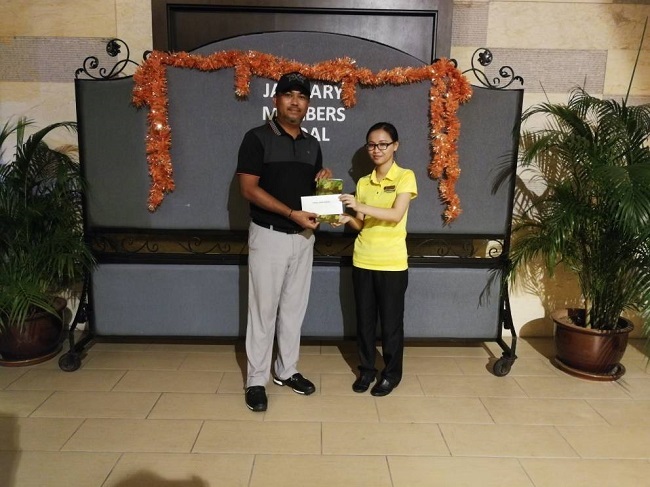 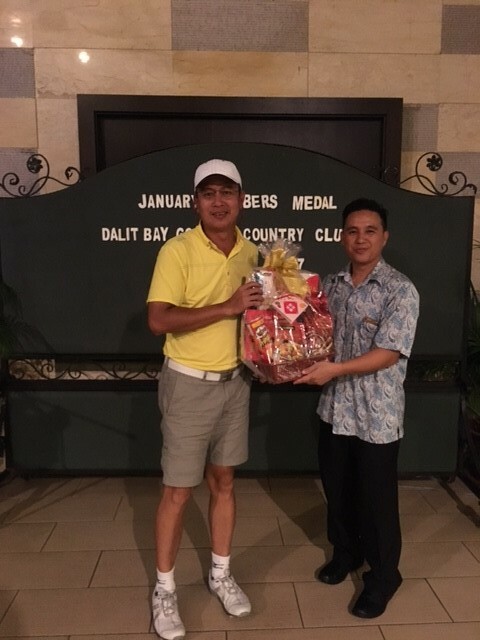 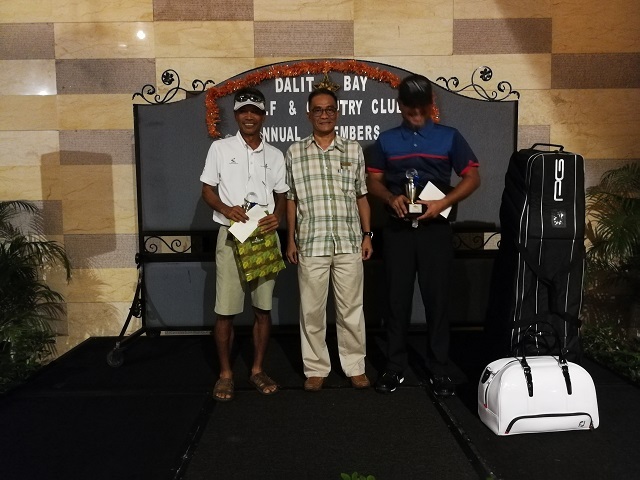 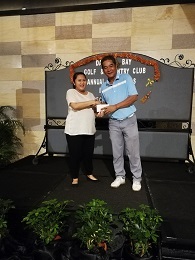 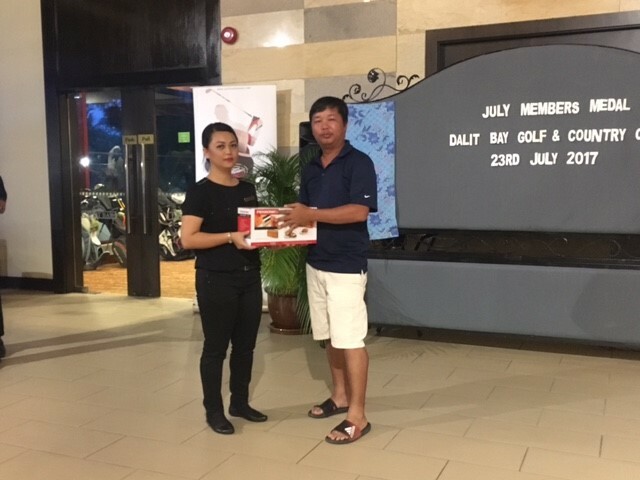 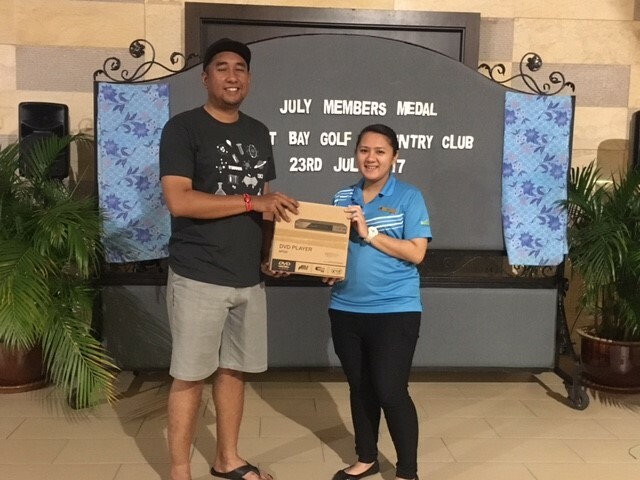 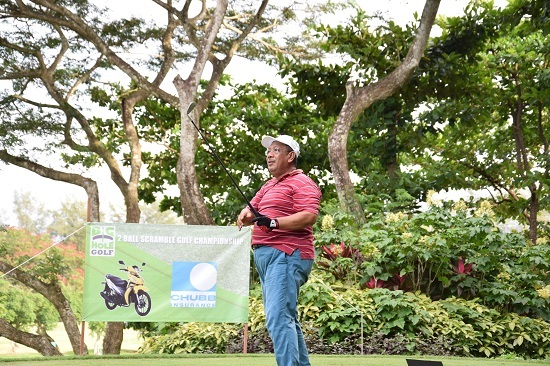 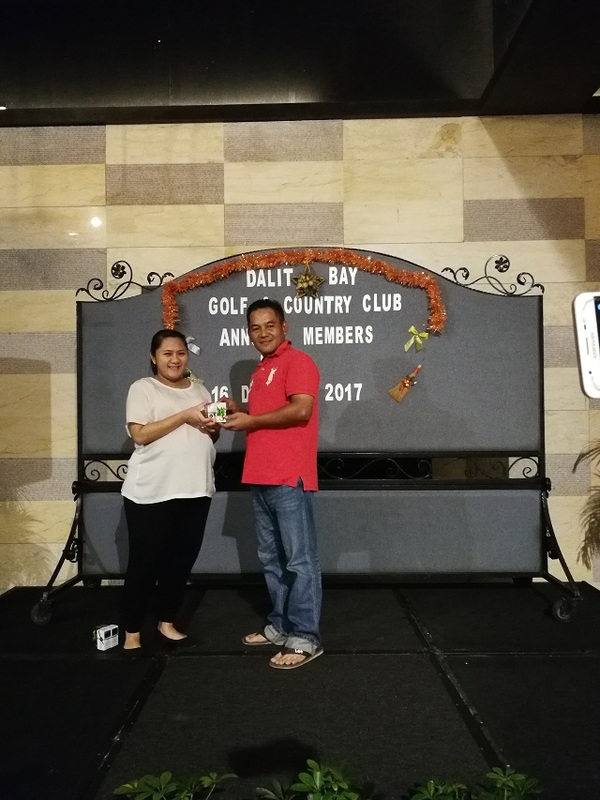 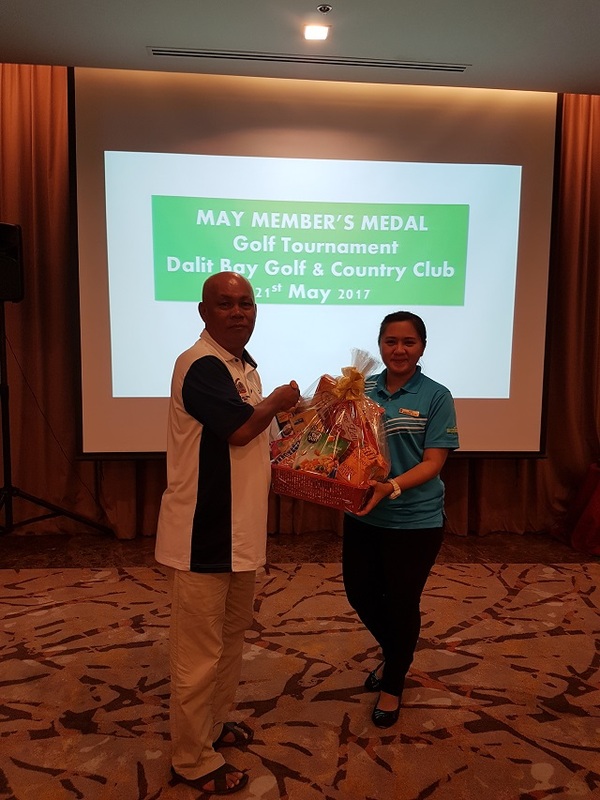 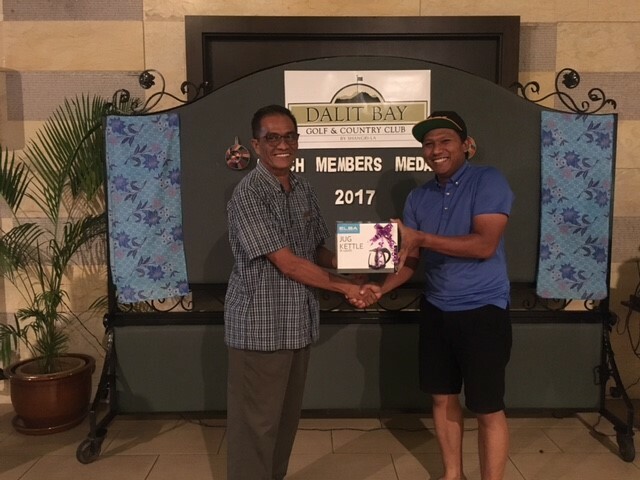 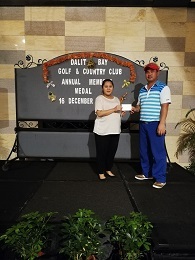 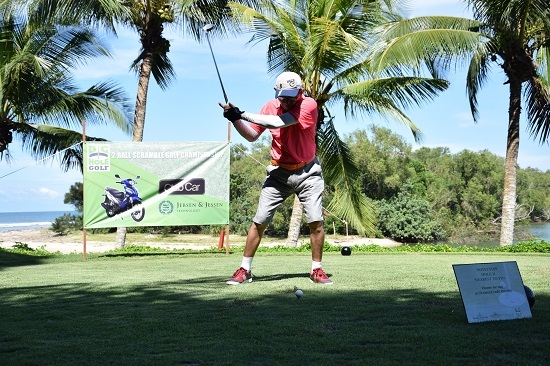 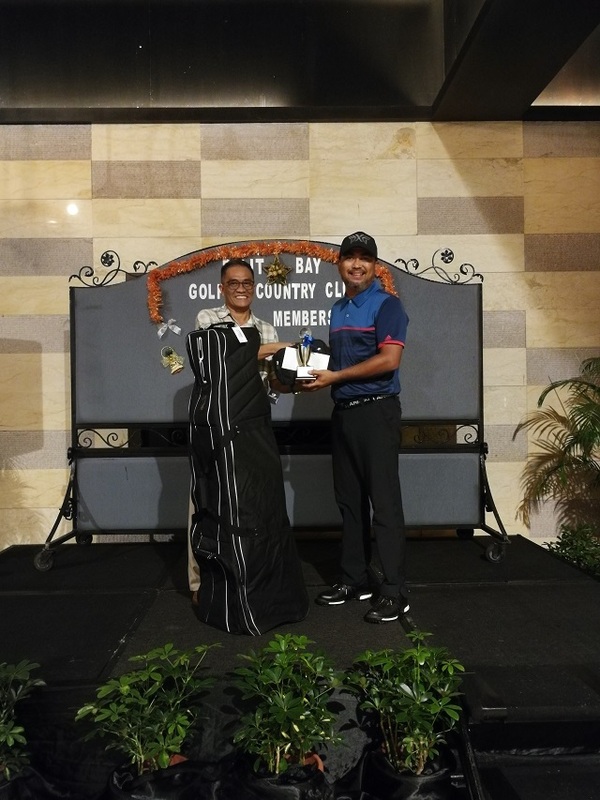 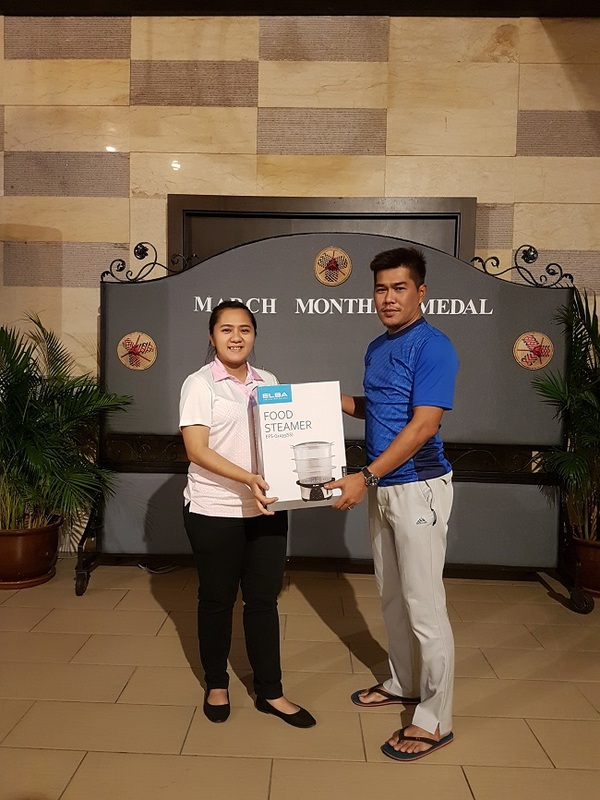 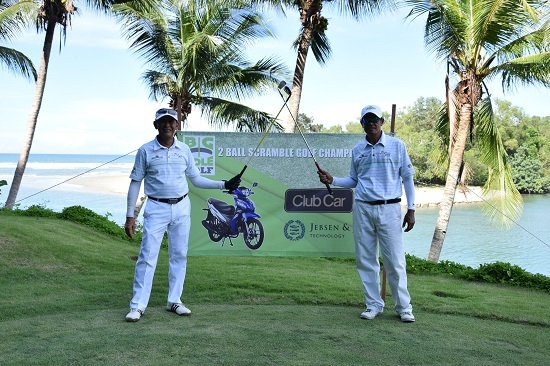 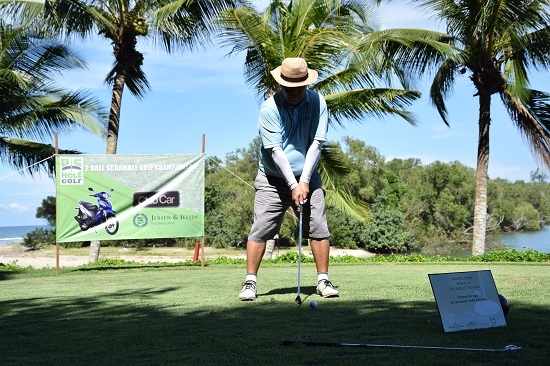 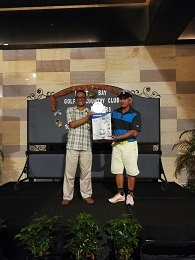 Keeping abreast with current trends, Dalit Bay Golf & Country Club showcased its new initiative to club members, corporate clients, travel partners and meeting organisers during the event. 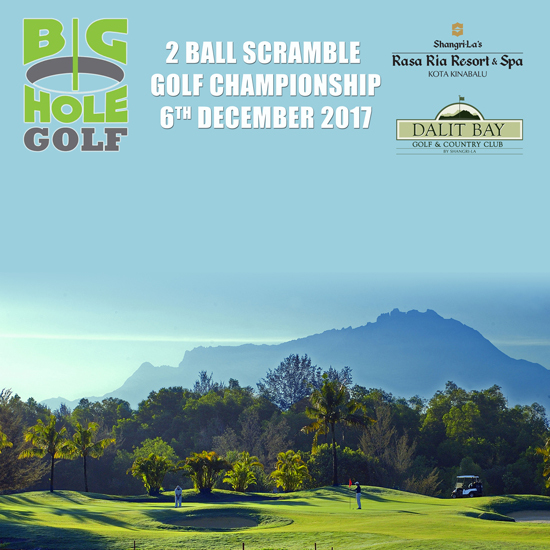 The main difference between big-hole golf and traditional golf is the cup size of the hole – 8 inches, compared with 4.25 inches. 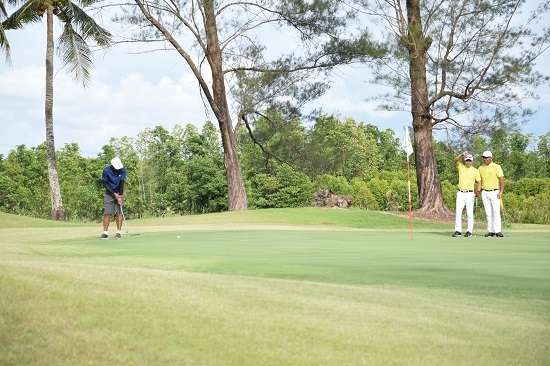 Another rule that breaks the tradition is having the flagstick remain in the hole, making it a fast-paced format of the game. 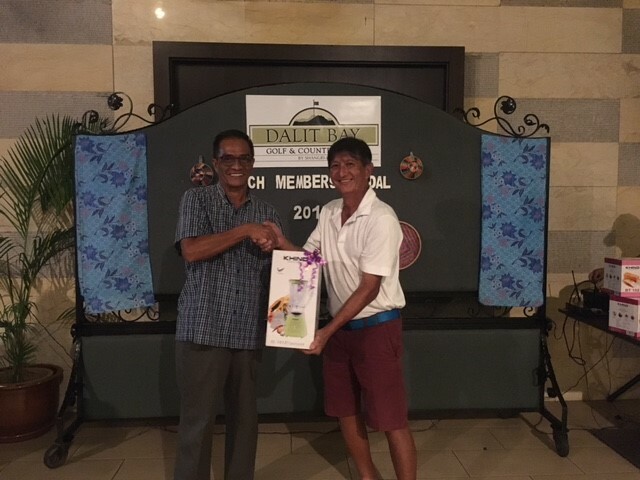 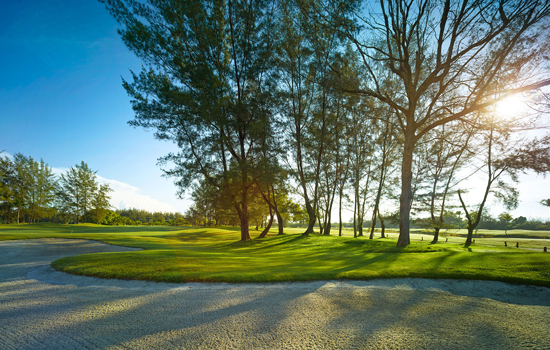 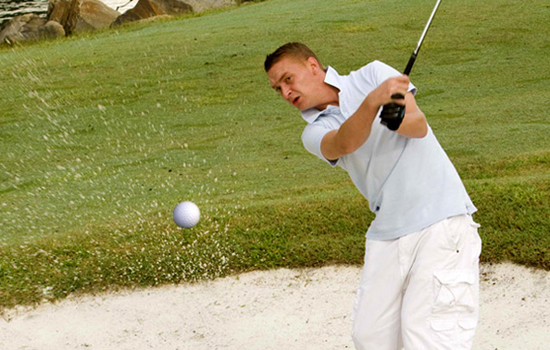 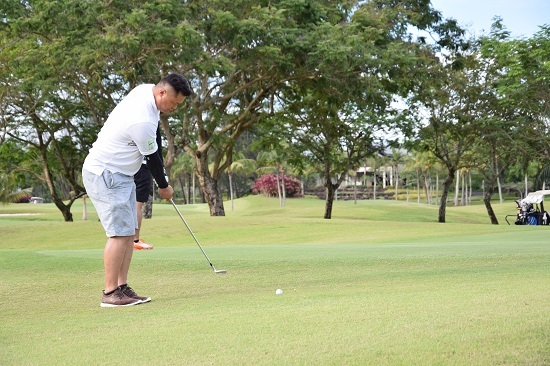 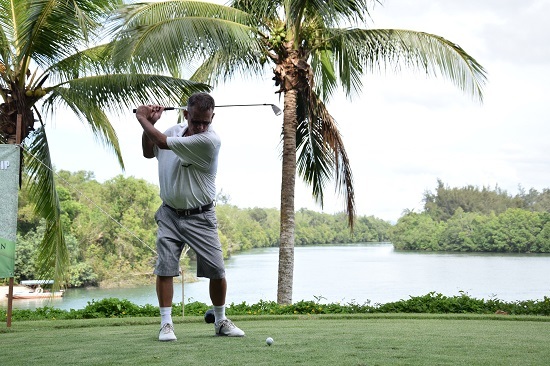 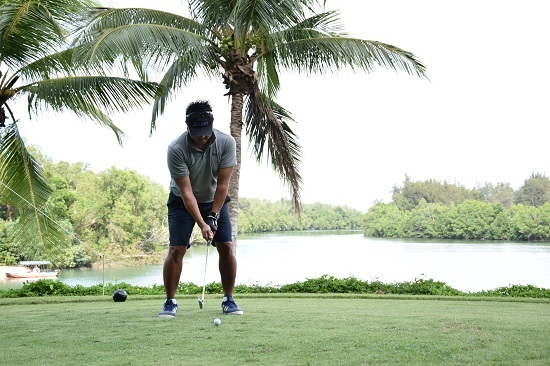 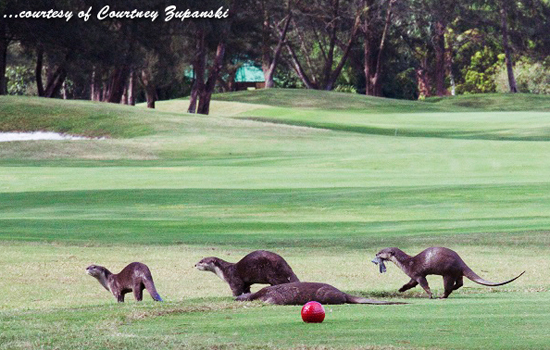 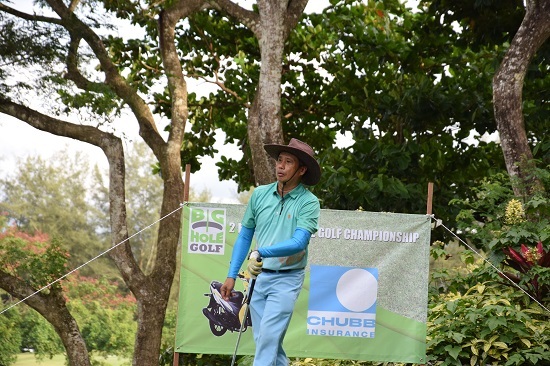 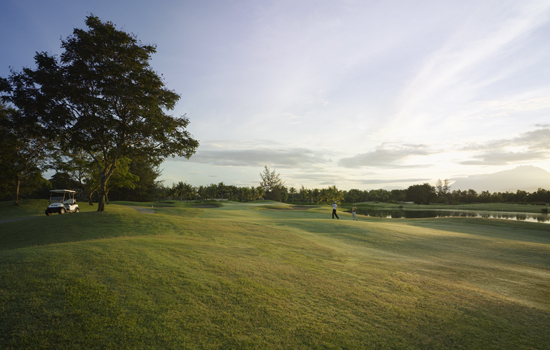 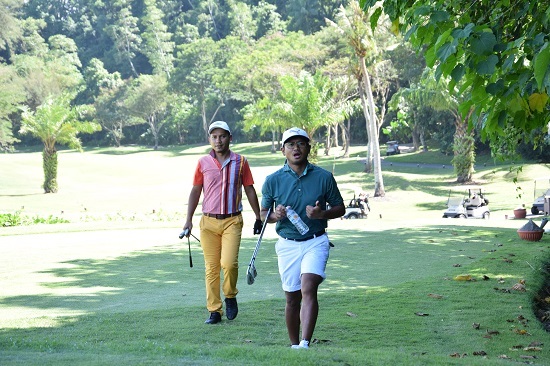 Dalit Bay Golf & Country Club will offer big-hole golf as an added option for golf tournaments for those wanting something different by mixing big holes with normal holes. 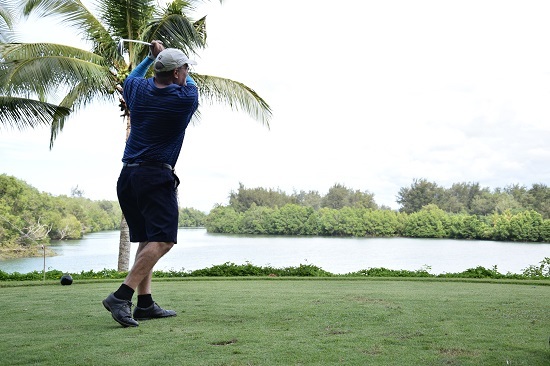 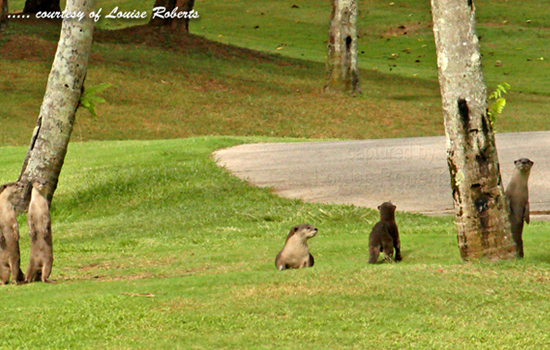 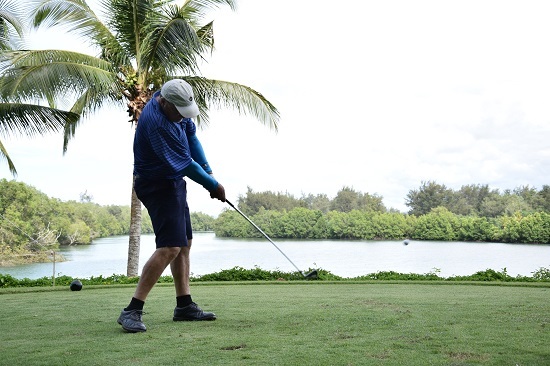 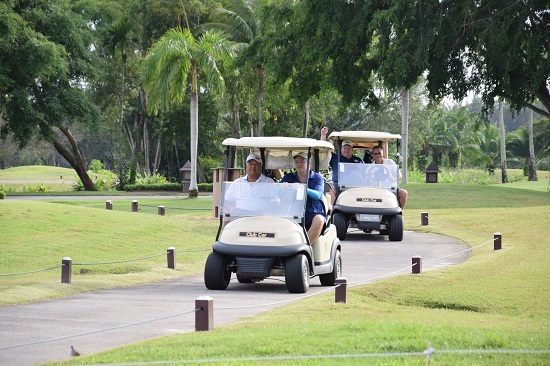 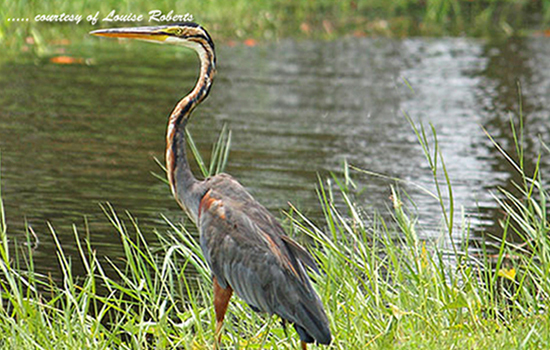 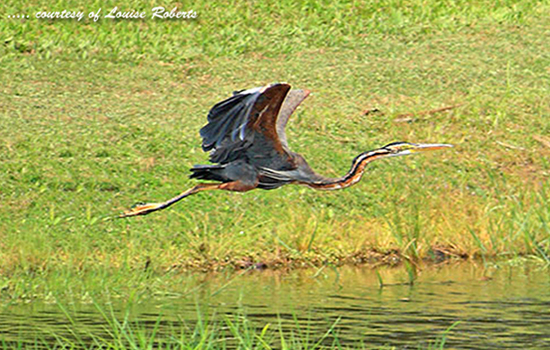 The regular-sized cup remains at the 18-hole championship golf course; big-hole golf is only available on request and during the monthly Big Hole Golf Day on the first Thursday of every calendar month.